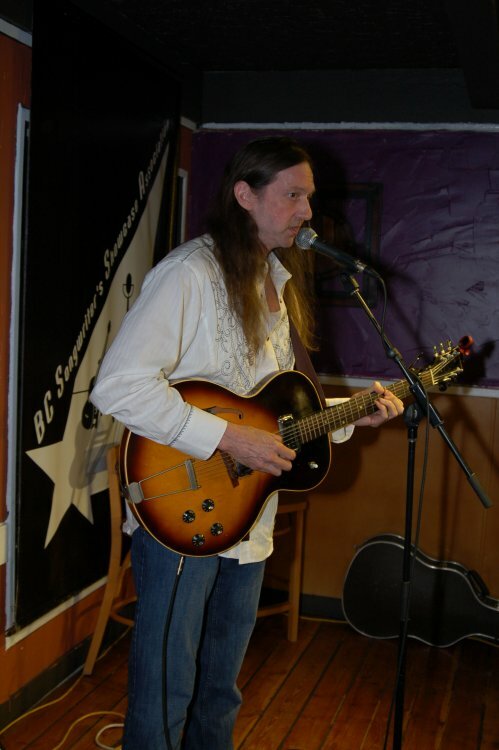 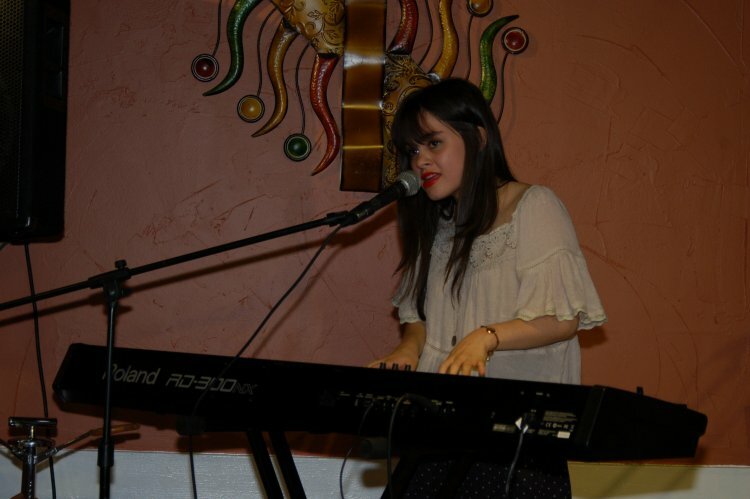 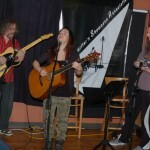 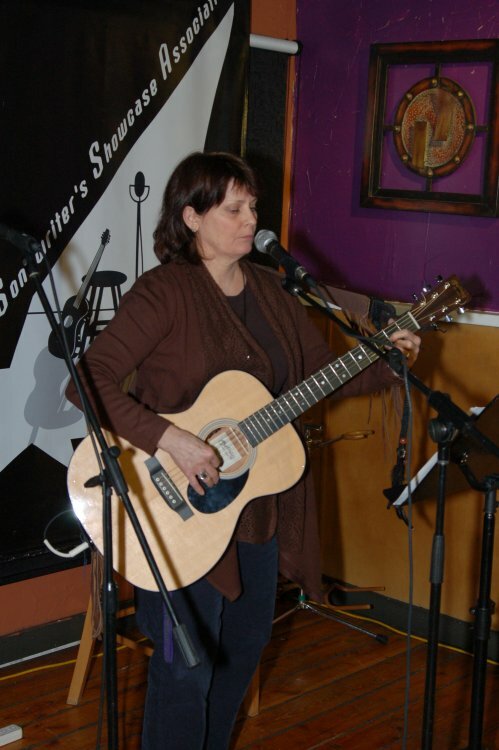 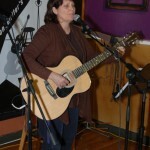 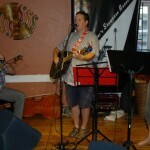 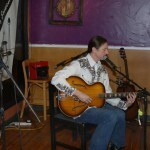 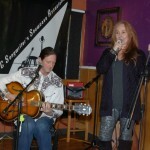 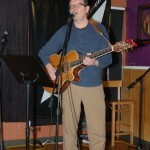 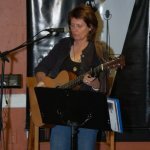 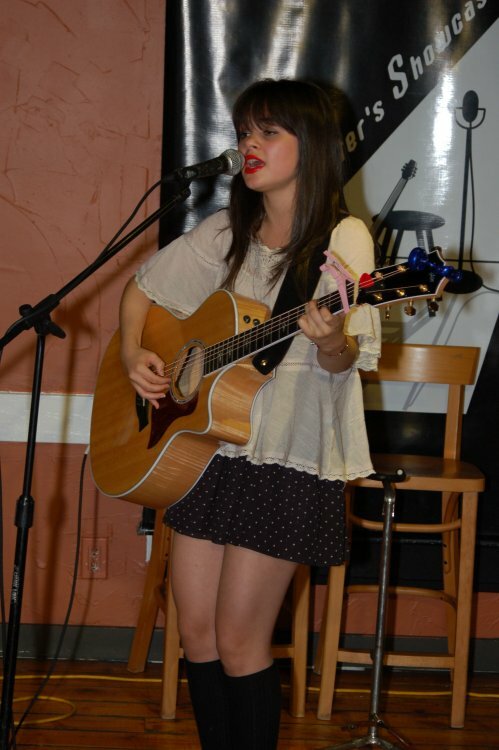 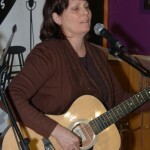 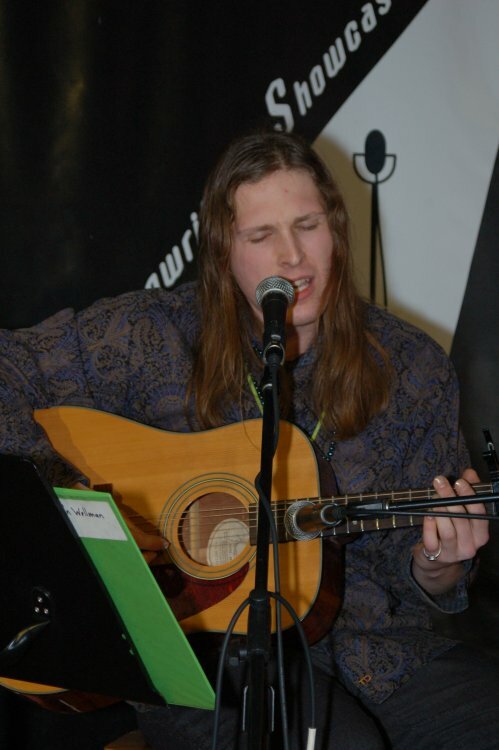 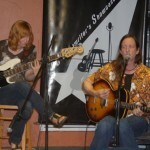 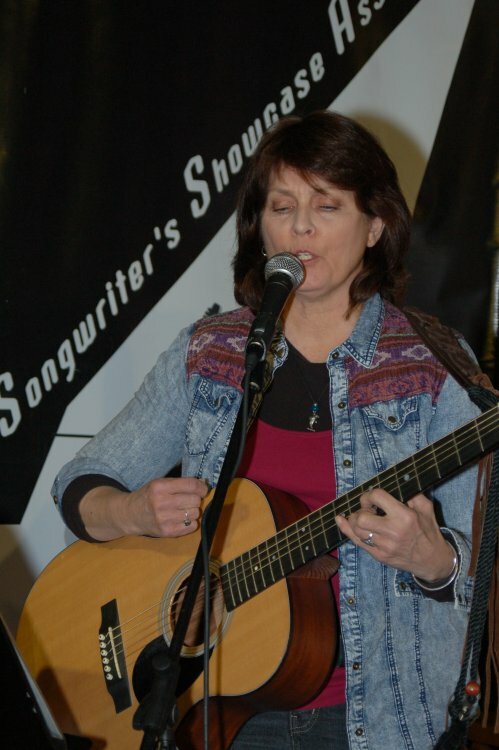 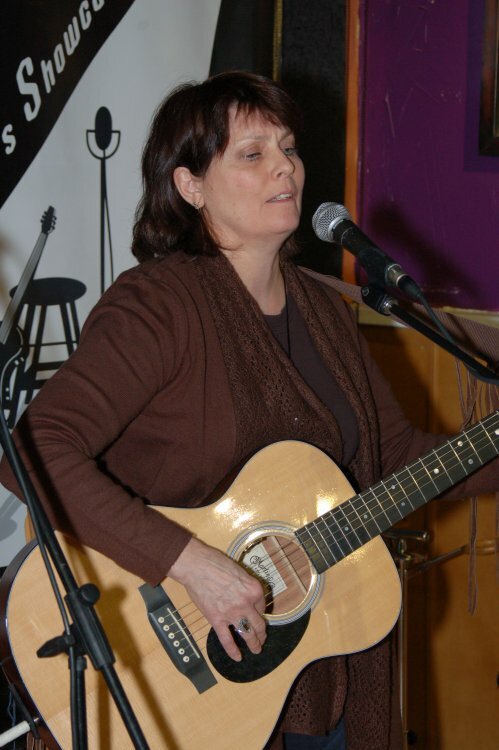 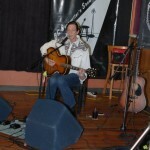 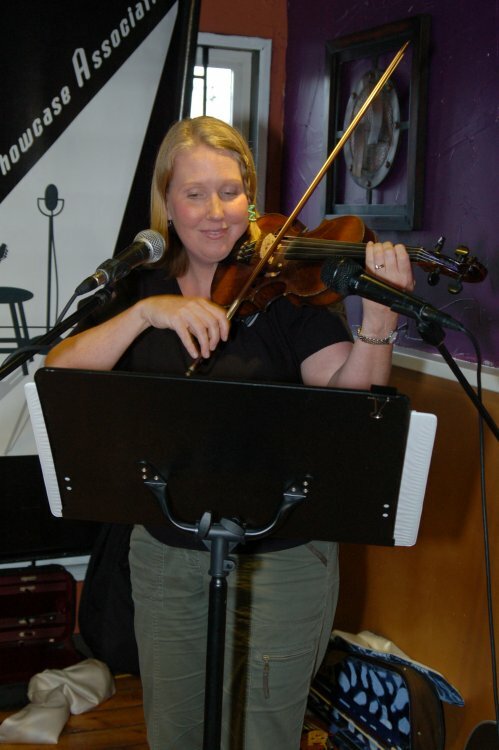 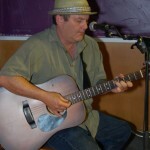 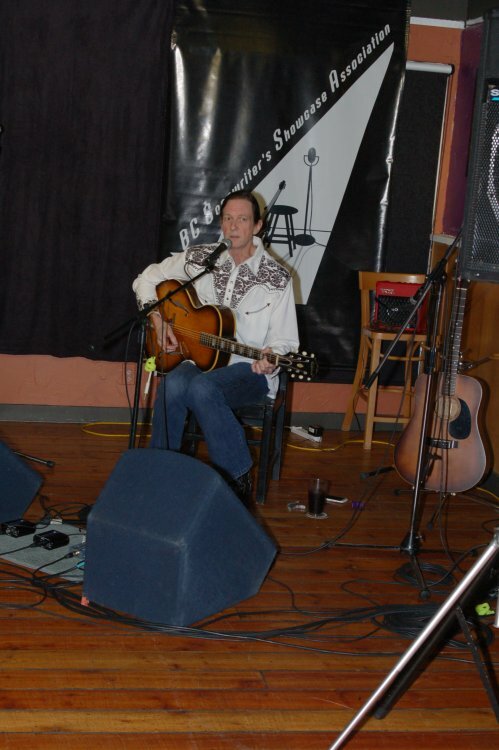 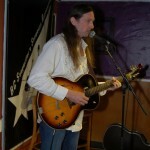 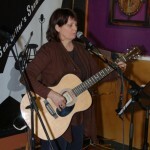 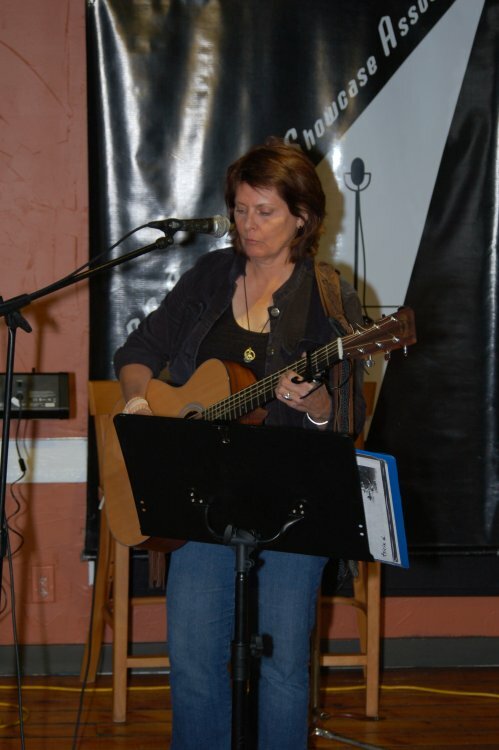 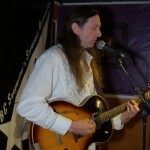 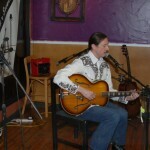 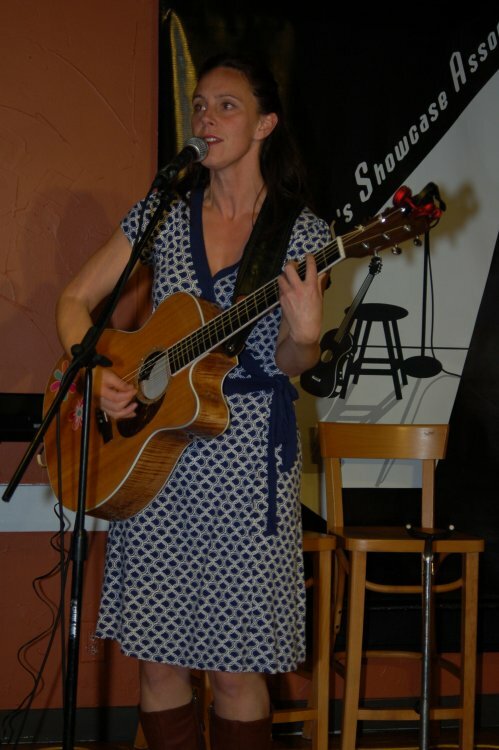 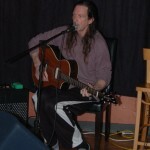 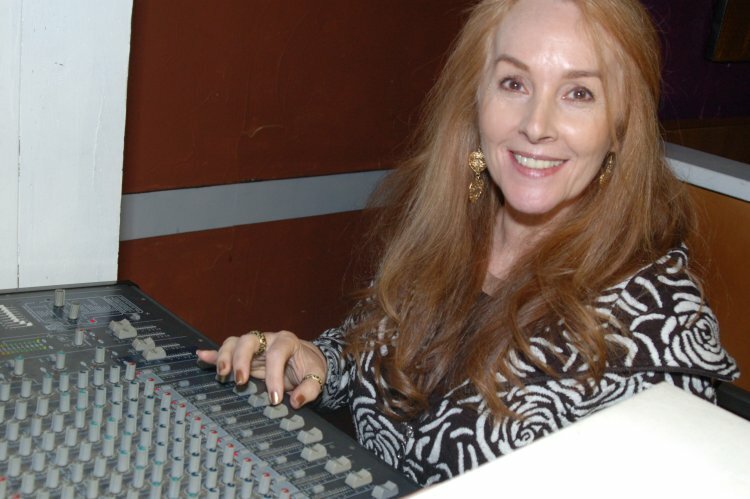 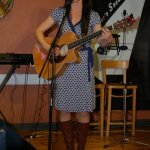 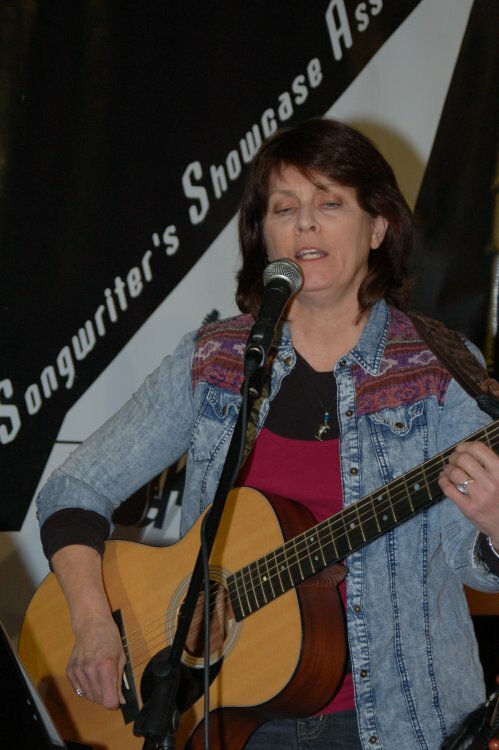 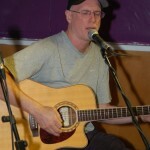 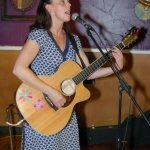 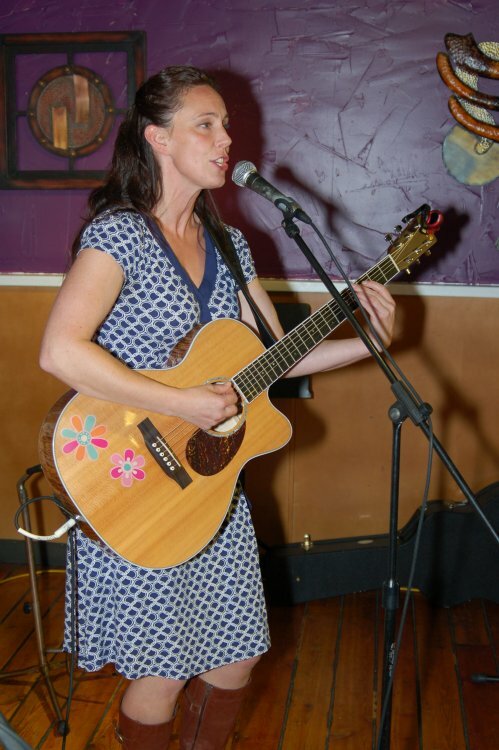 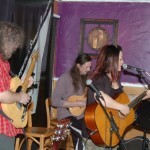 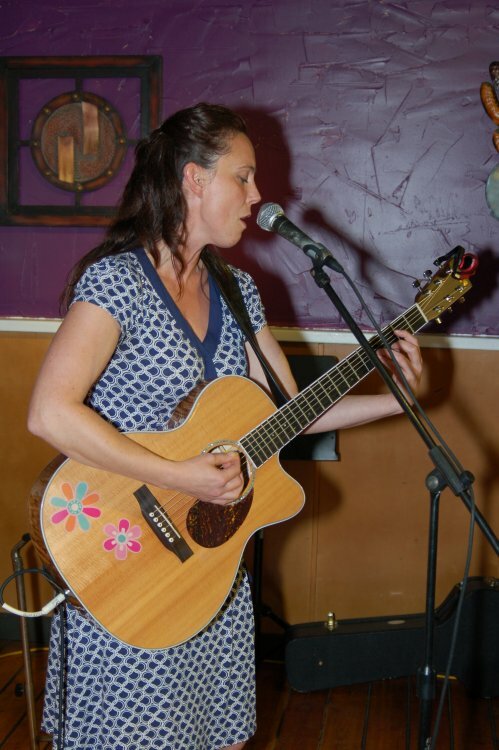 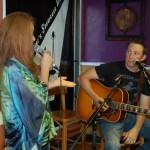 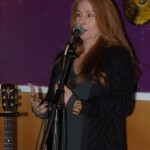 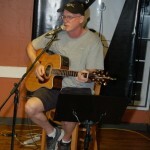 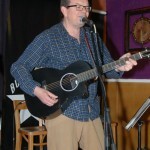 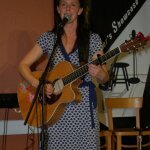 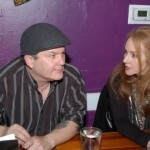 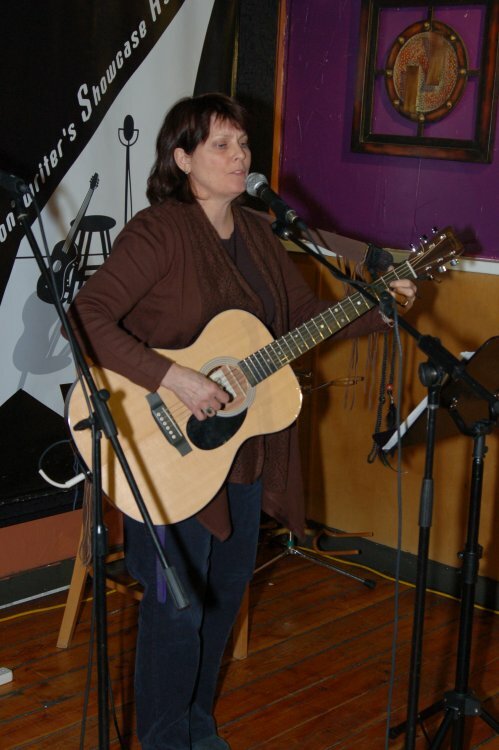 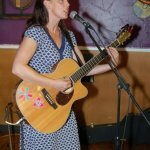 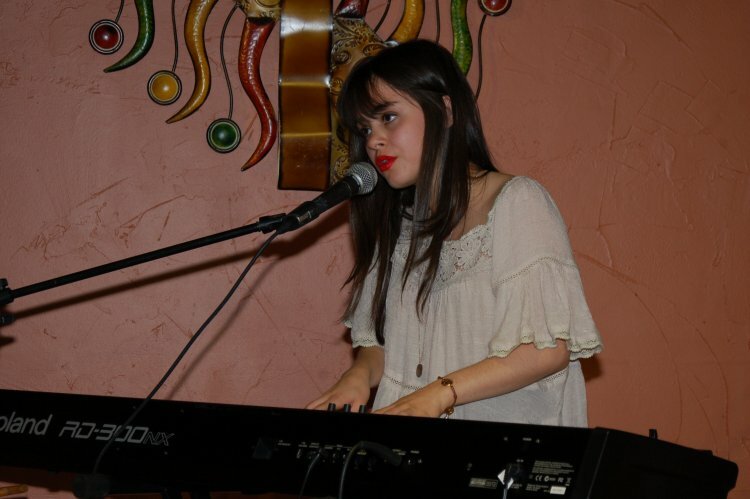 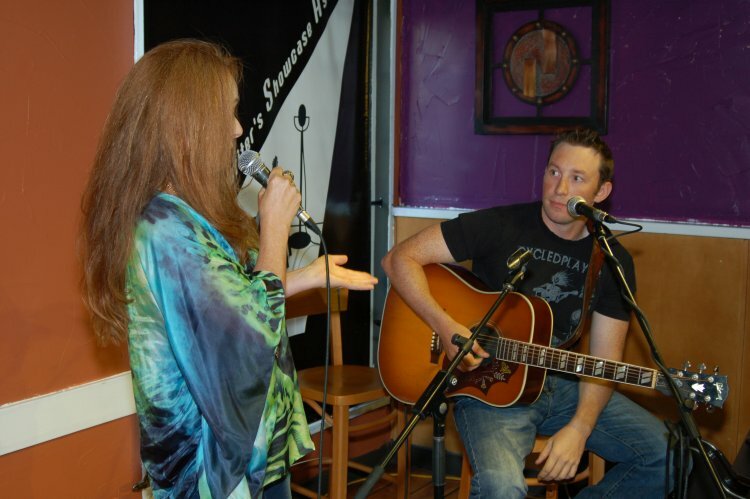 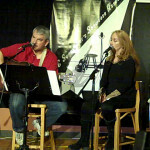 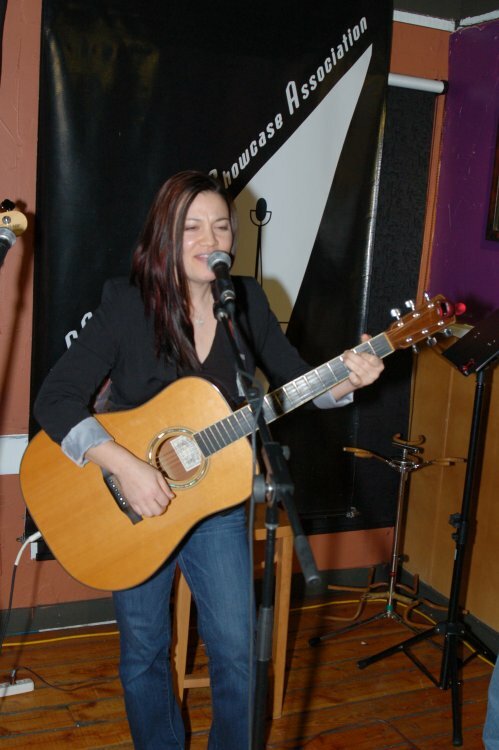 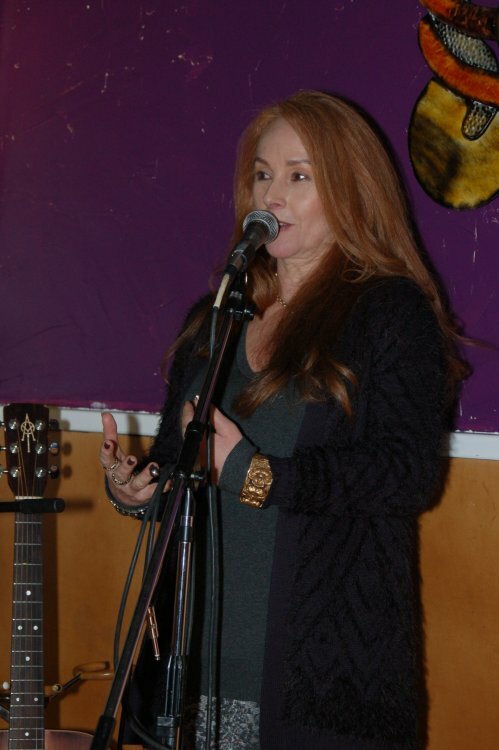 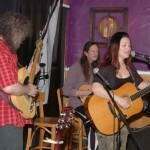 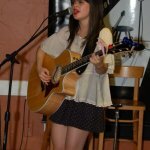 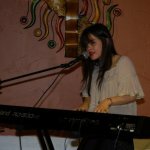 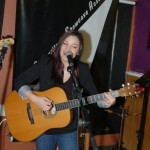 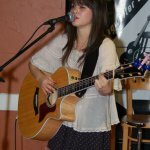 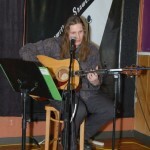 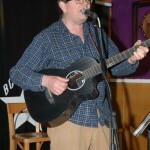 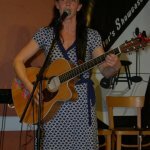 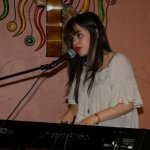 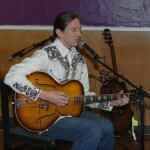 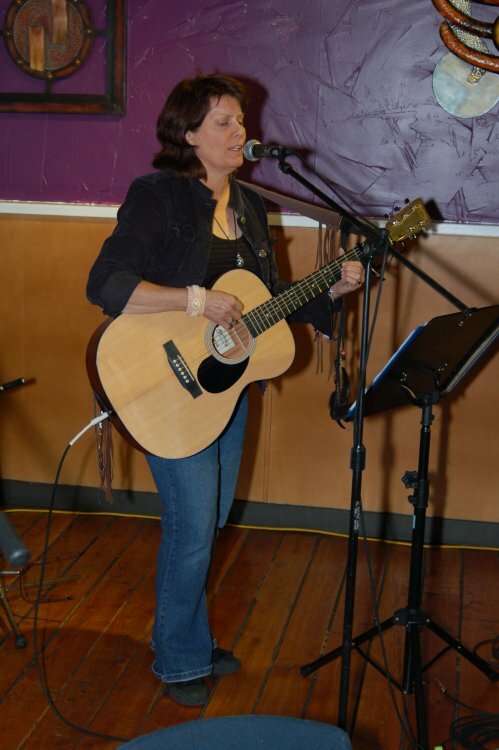 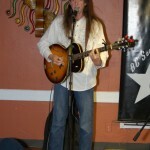 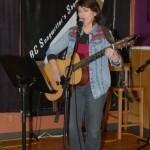 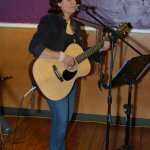 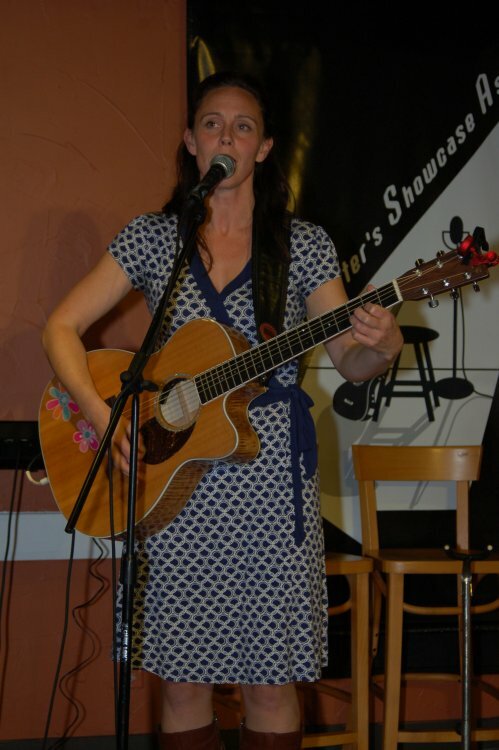 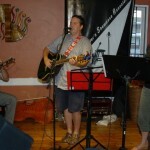 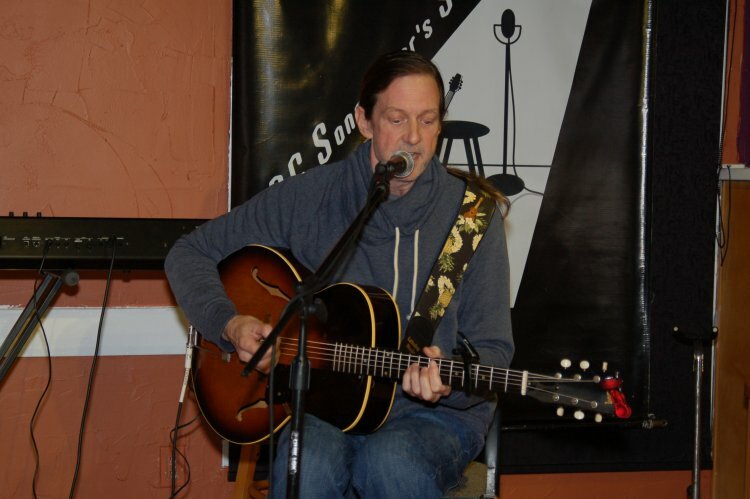 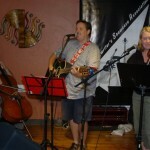 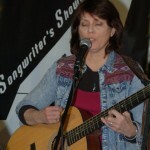 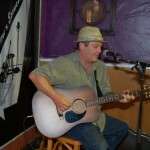 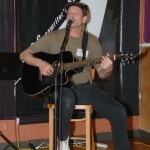 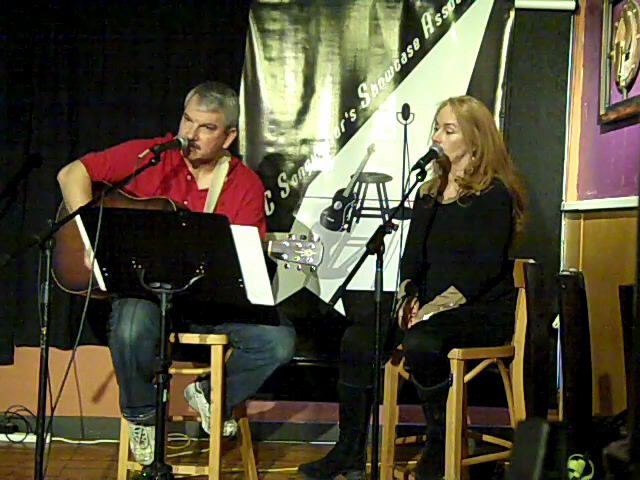 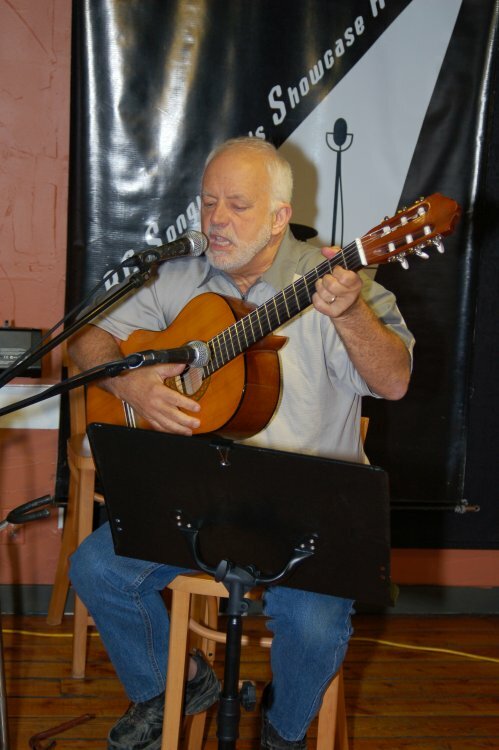 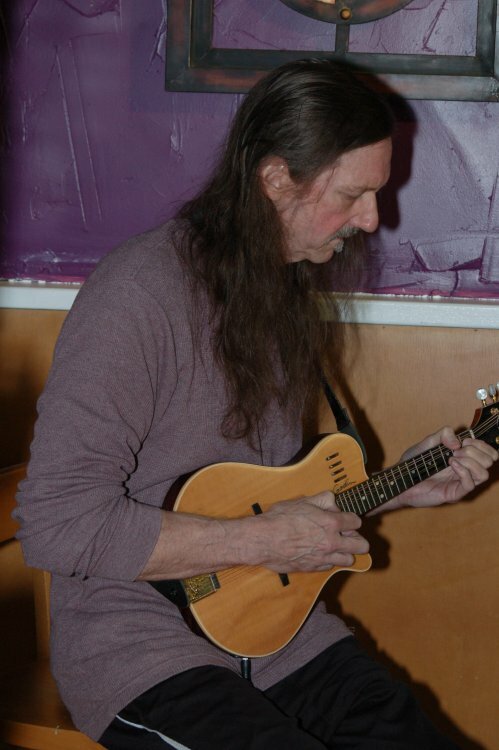 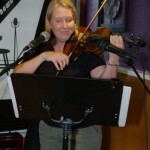 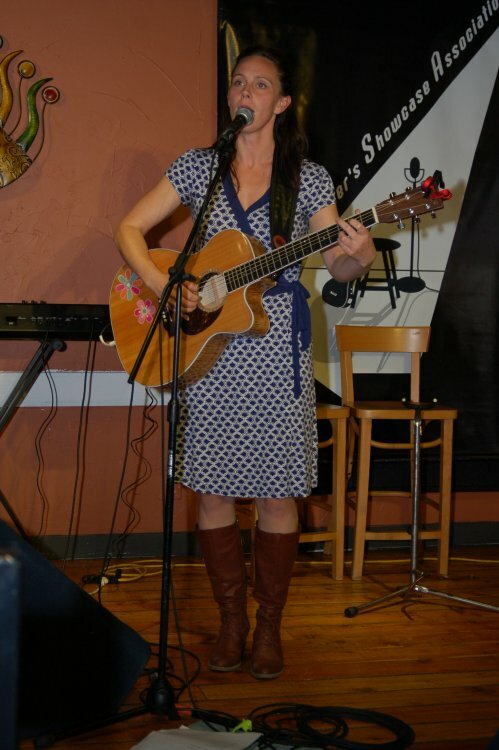 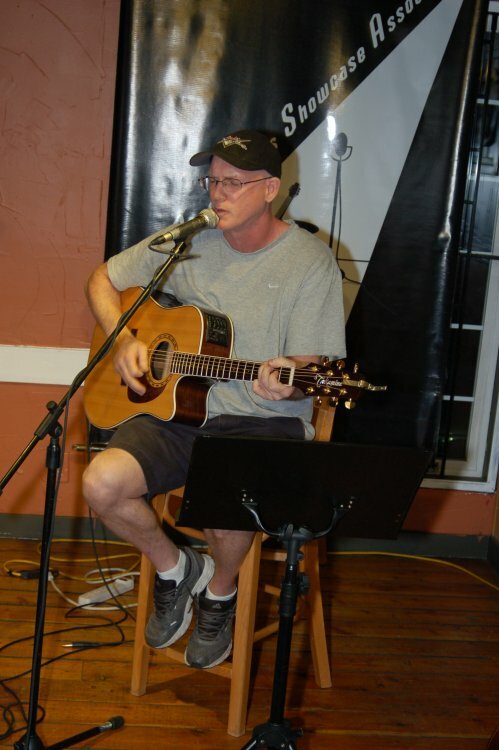 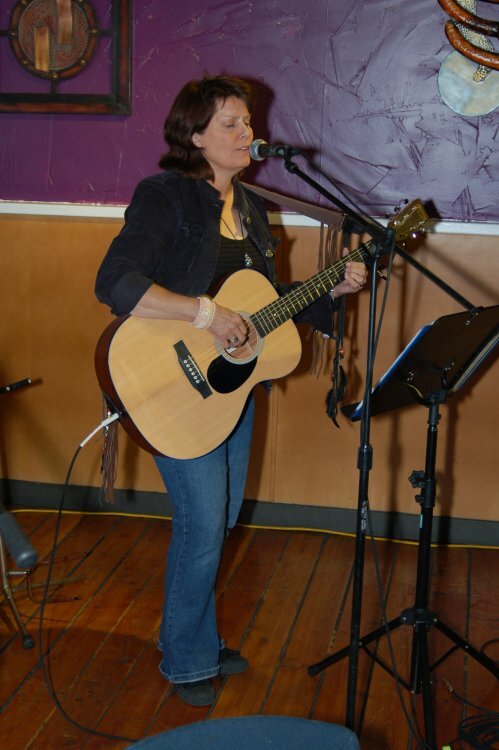 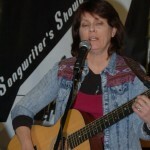 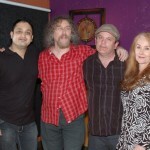 On April 15th, we had a two hour Open Mic, with a variety of singer/songwriters sharing their songs. 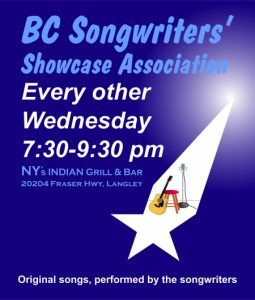 Songwriters performing included Bob Gray, John Haynes, Feona Lim (accompanied by John Haynes & Bob Batyi), Poul Bech, and Earl Travis Taylor (accompanied by Bob Batyi)… a fun evening at BC Songwriters was had by all! 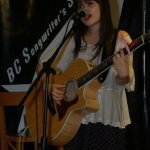 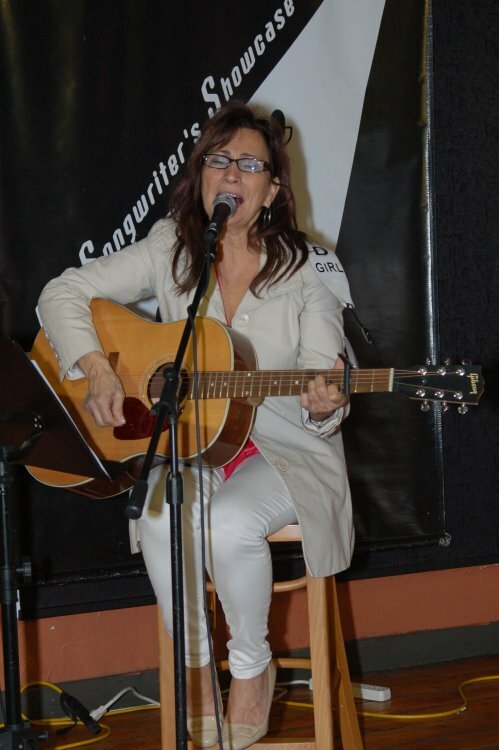 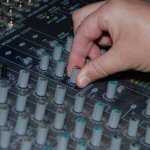 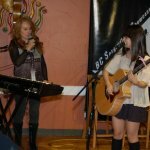 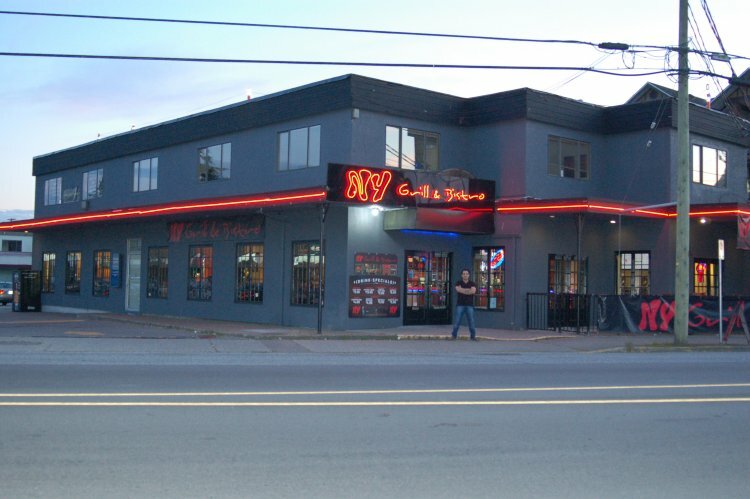 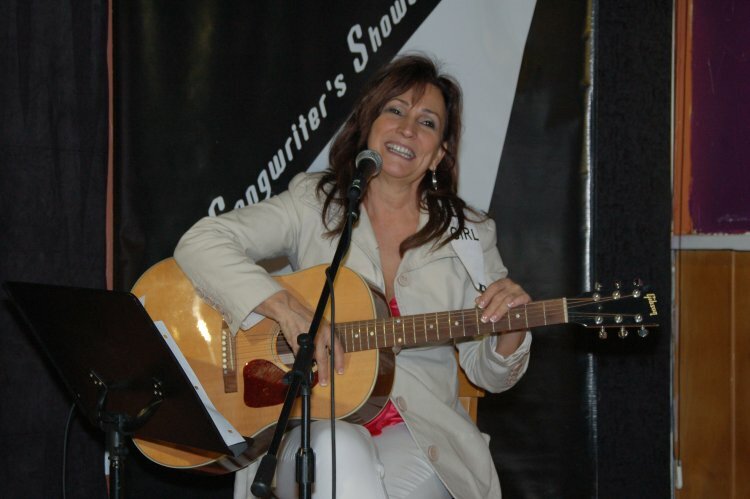 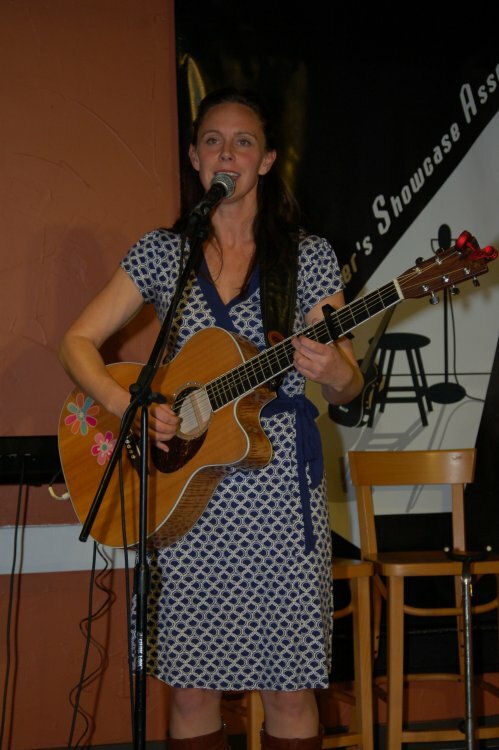 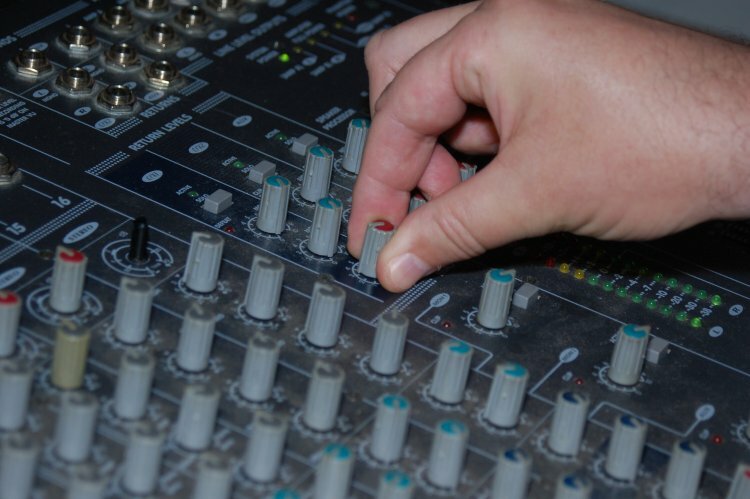 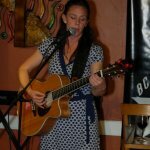 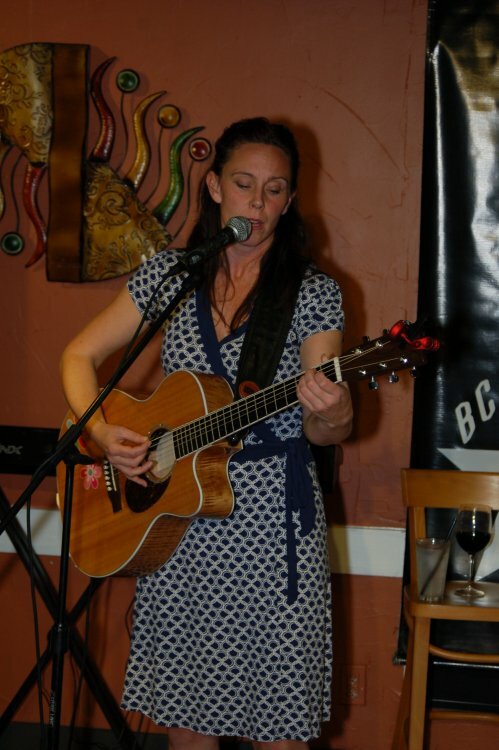 As always, the BC Songwriters’ Showcase & Open Mic evenings are held, every second Wednesday, at NY Grill & Bistro – 20204 Fraser Hwy, Langley. 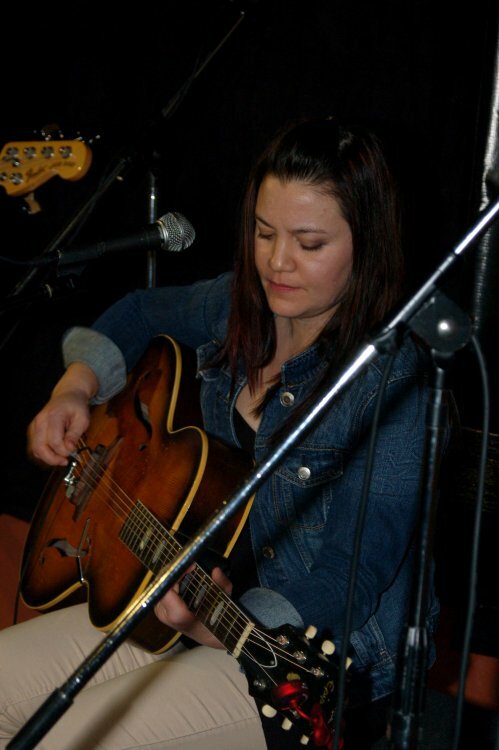 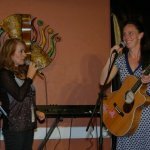 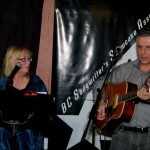 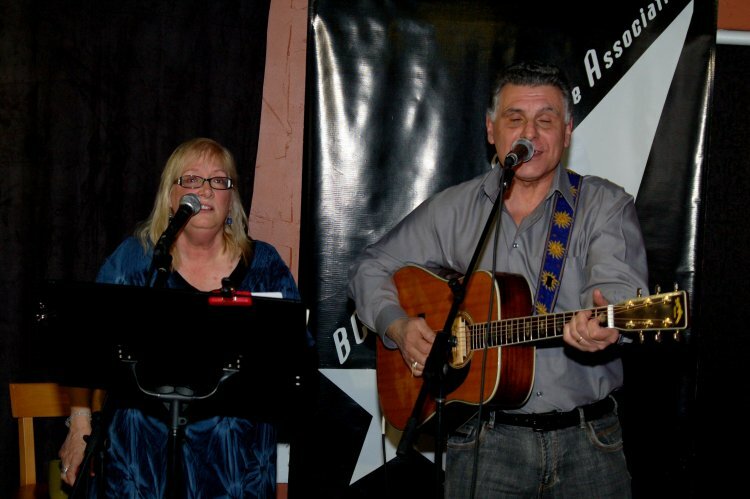 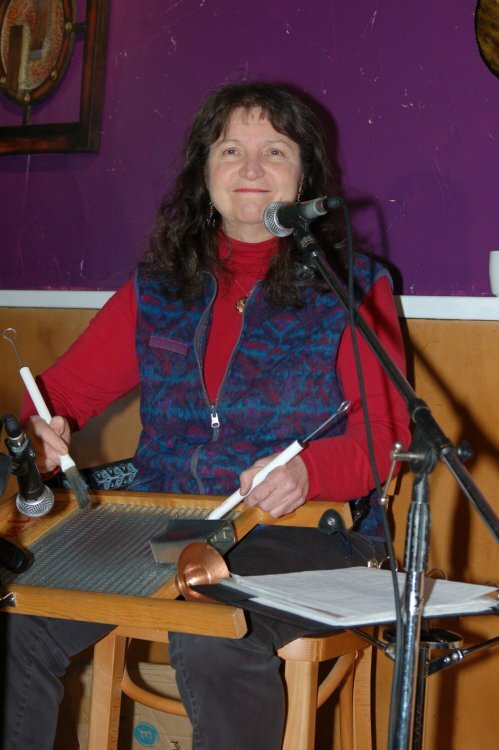 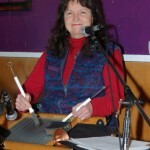 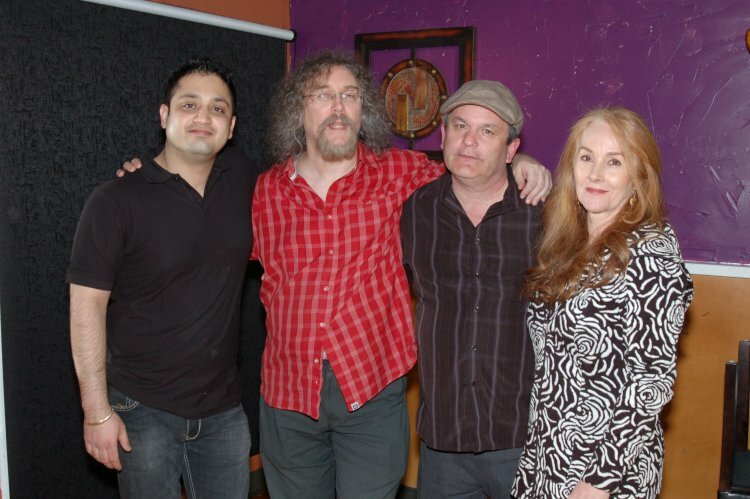 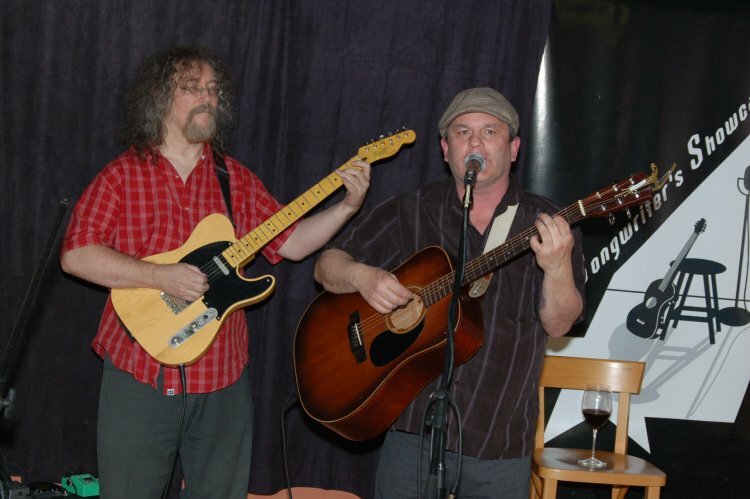 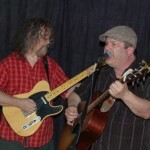 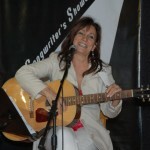 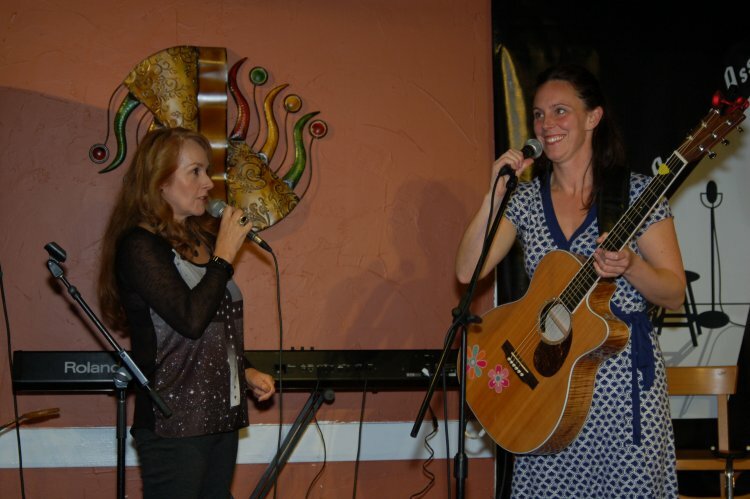 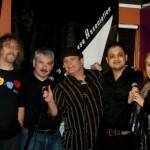 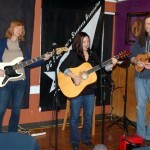 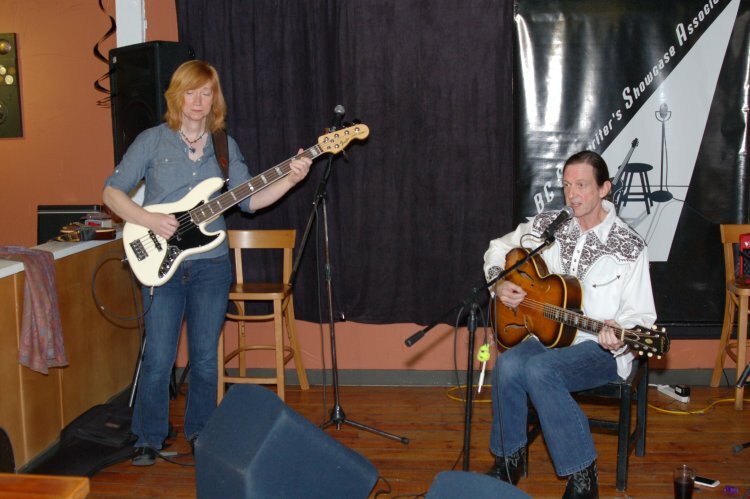 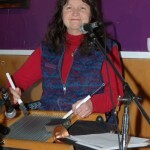 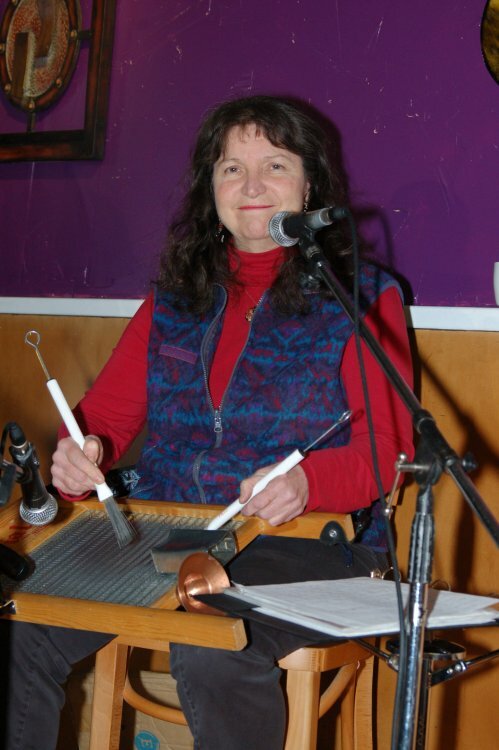 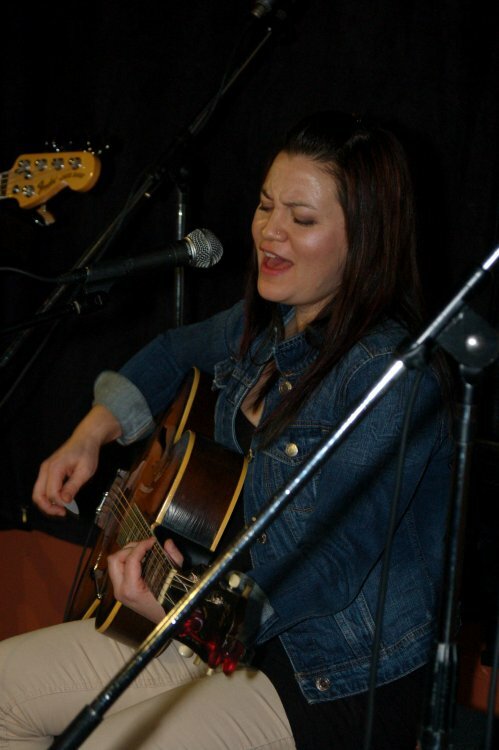 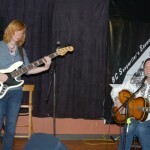 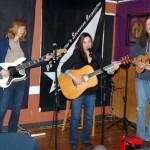 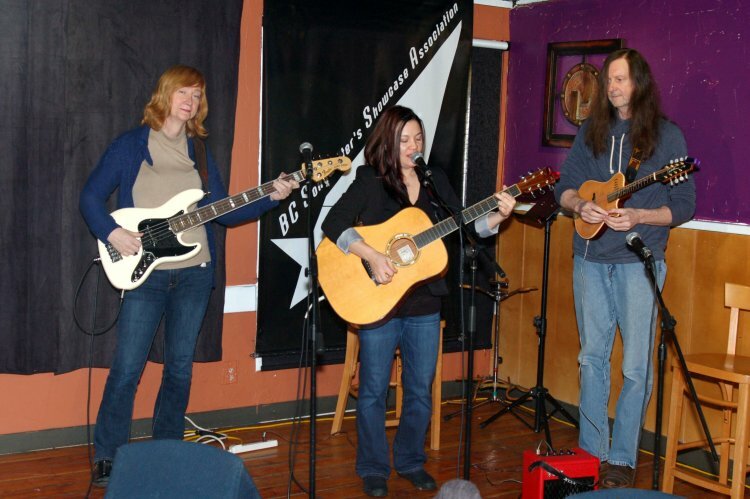 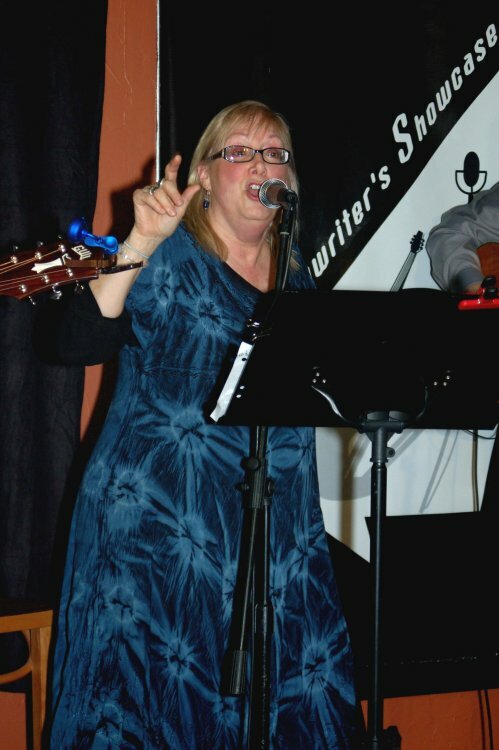 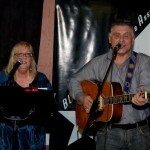 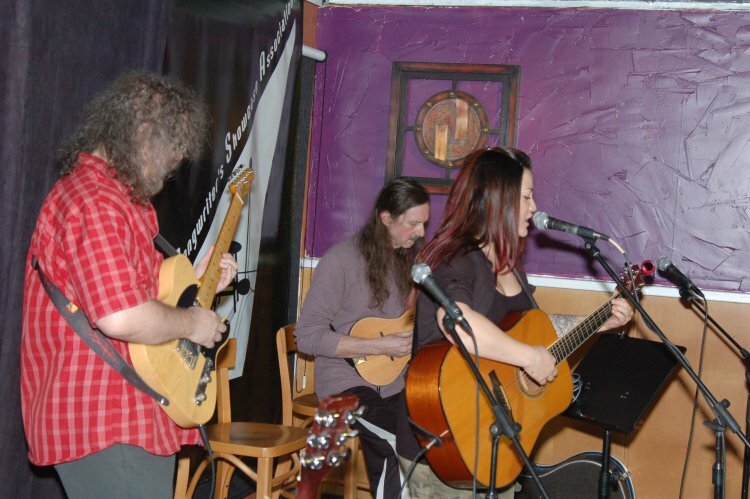 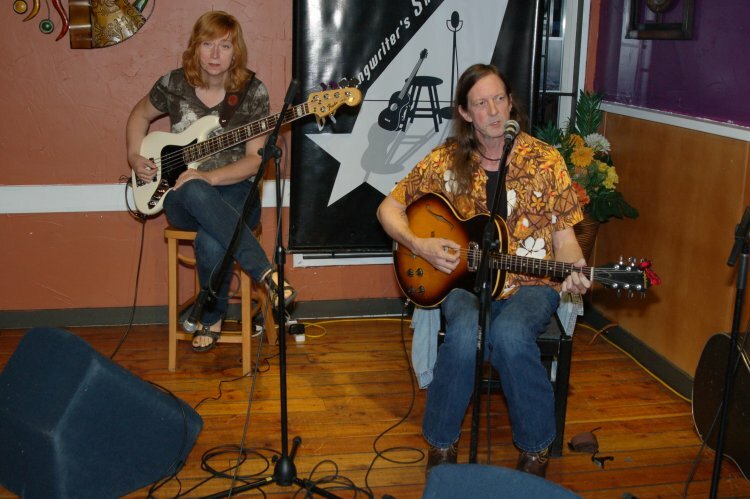 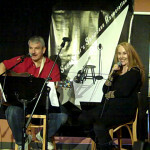 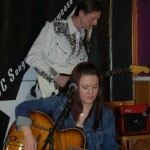 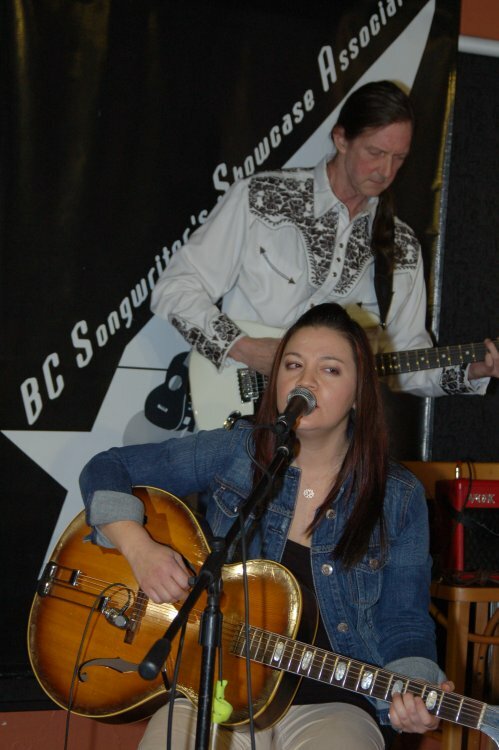 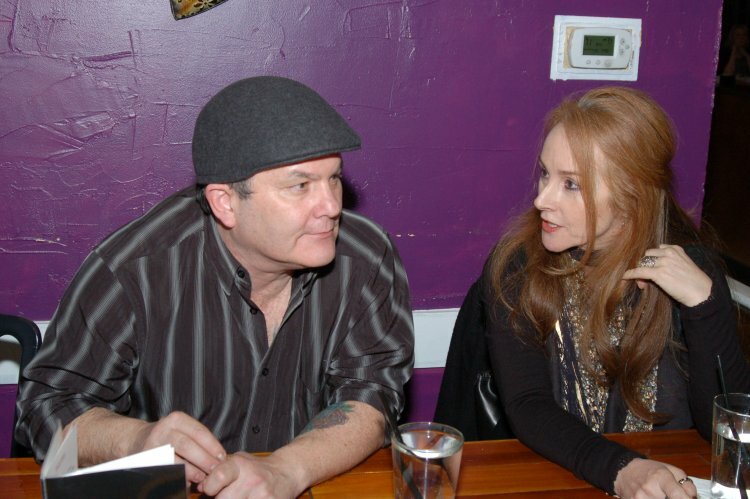 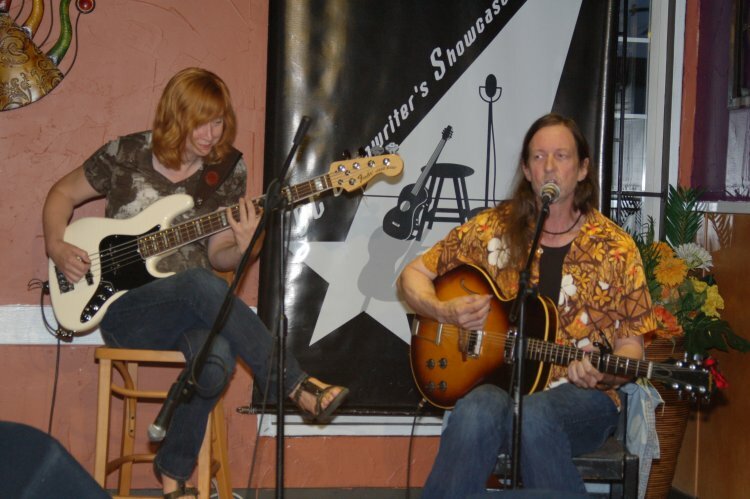 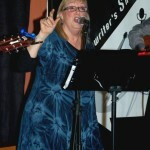 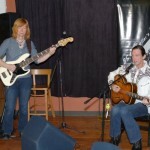 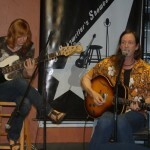 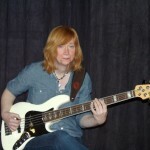 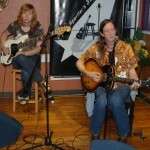 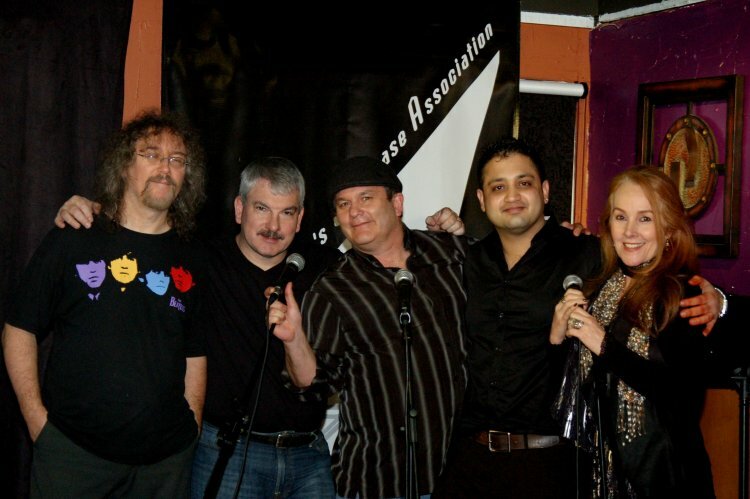 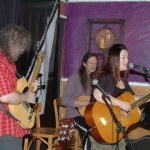 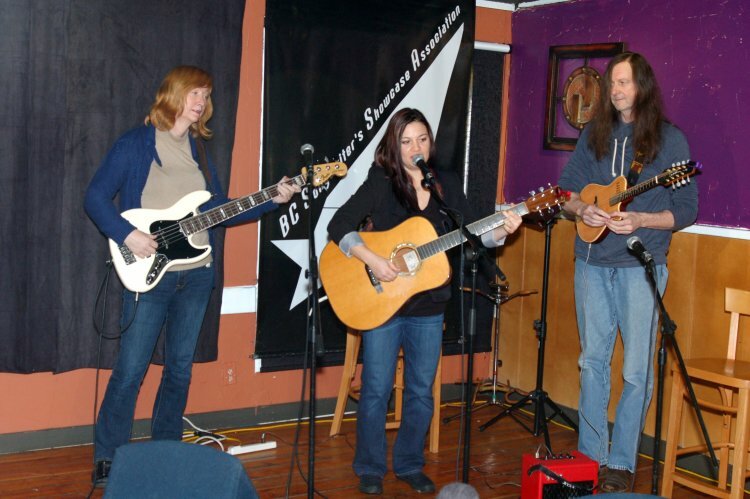 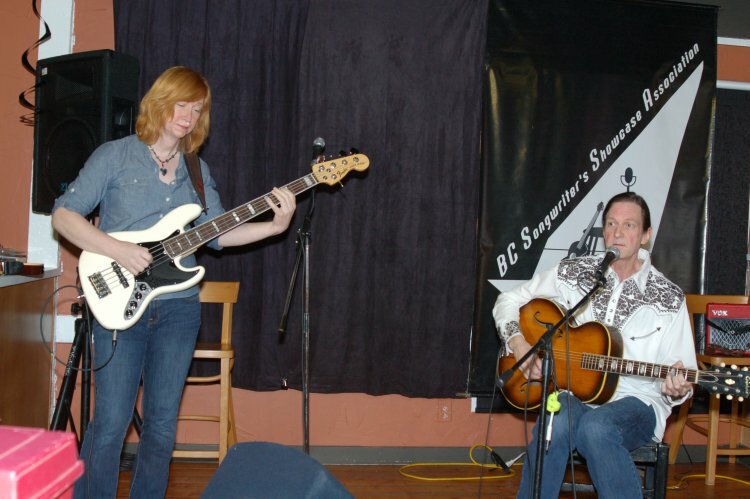 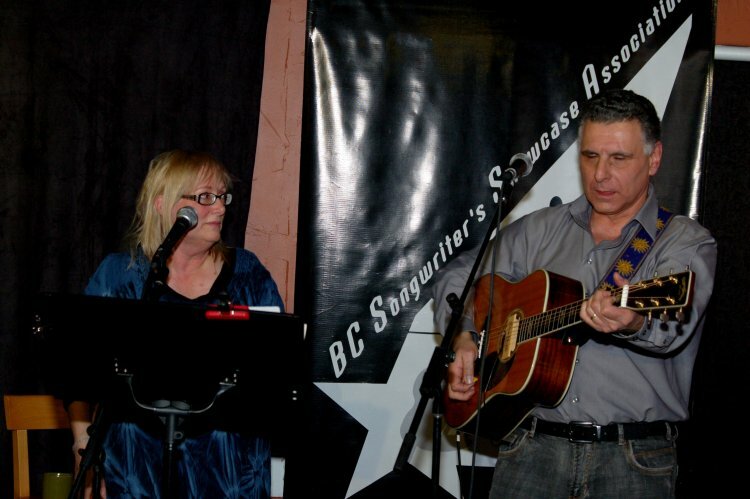 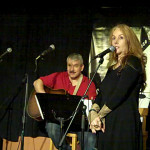 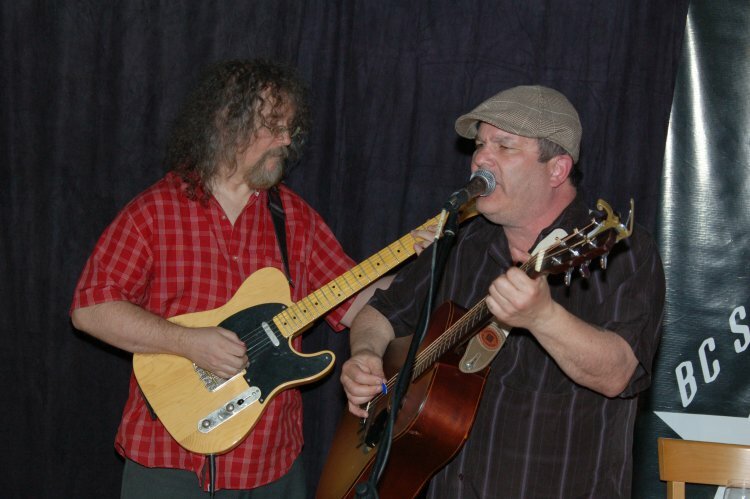 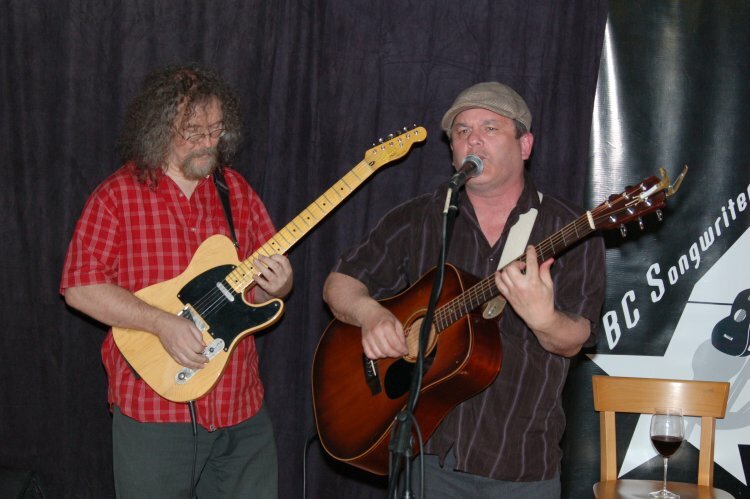 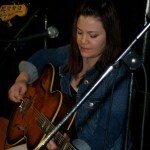 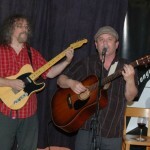 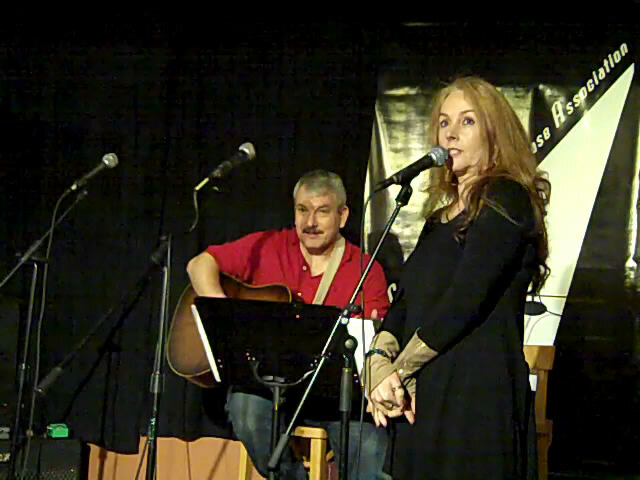 “The Flying Ritas” were the group featured at the BC Songwriters’ Showcase on Wednesday, February 4th. 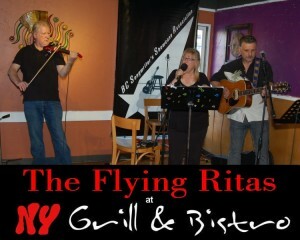 The Flying Ritas are: Susanne Tryphena, Dale Lot, Will Firstbrook and Laurie Firstbrook. 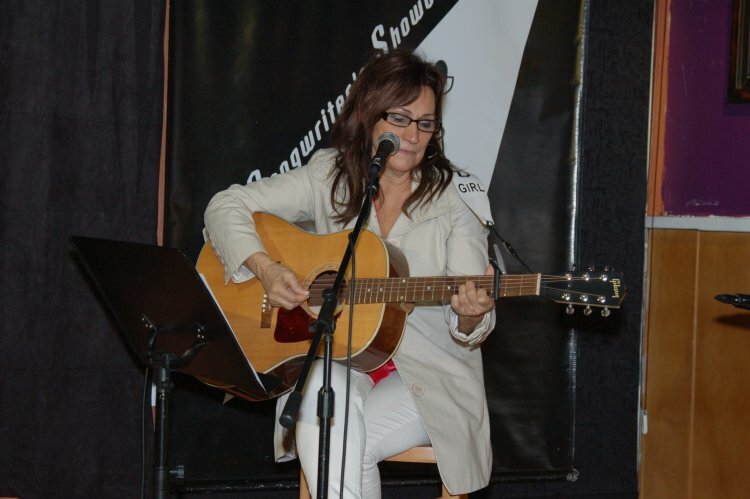 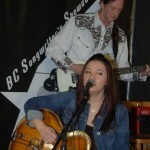 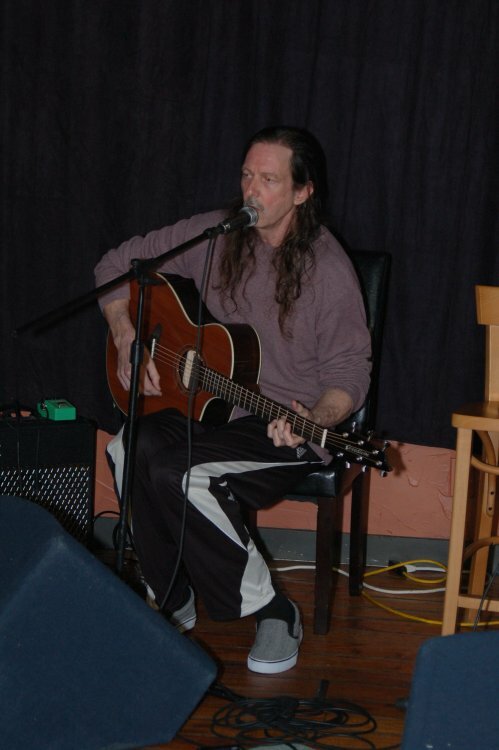 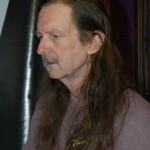 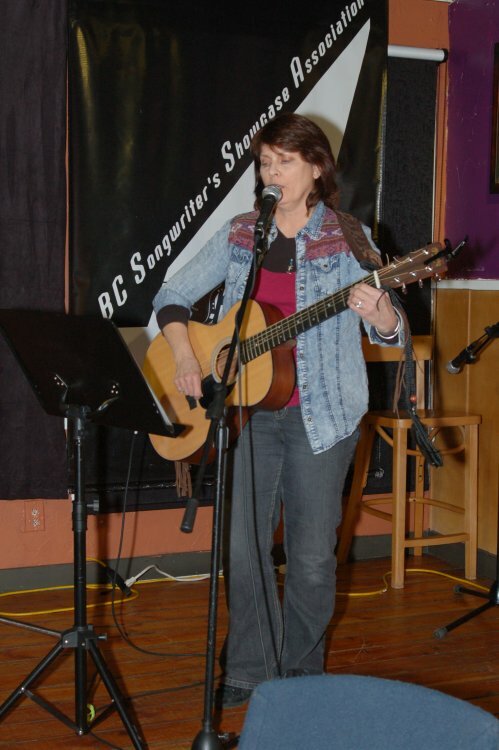 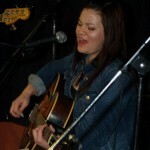 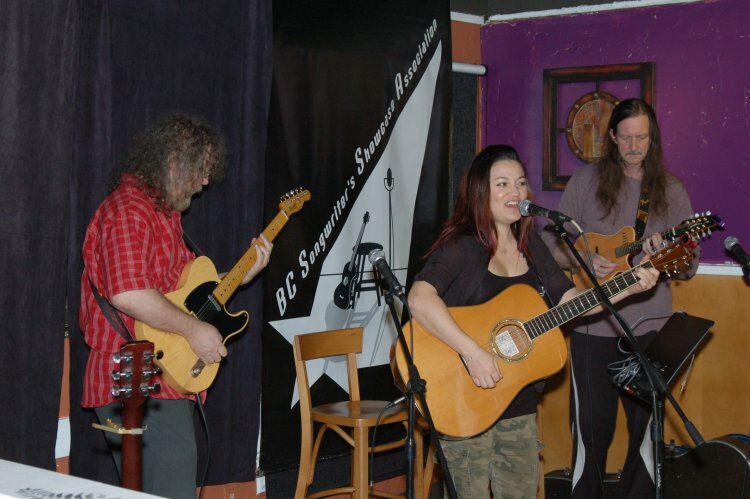 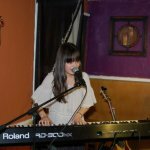 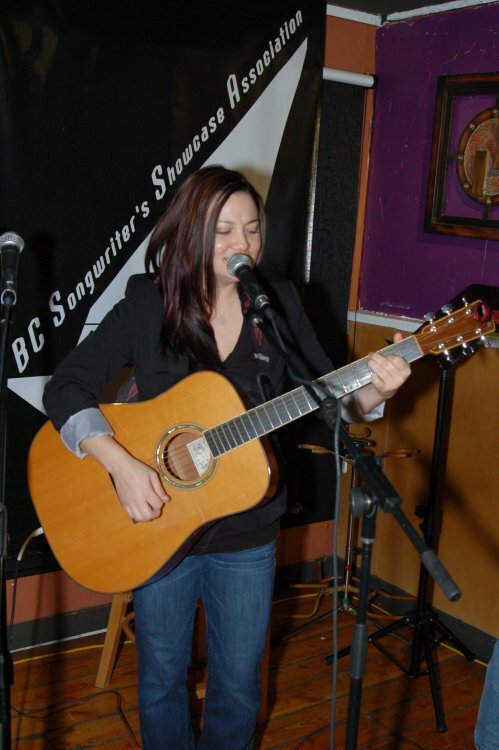 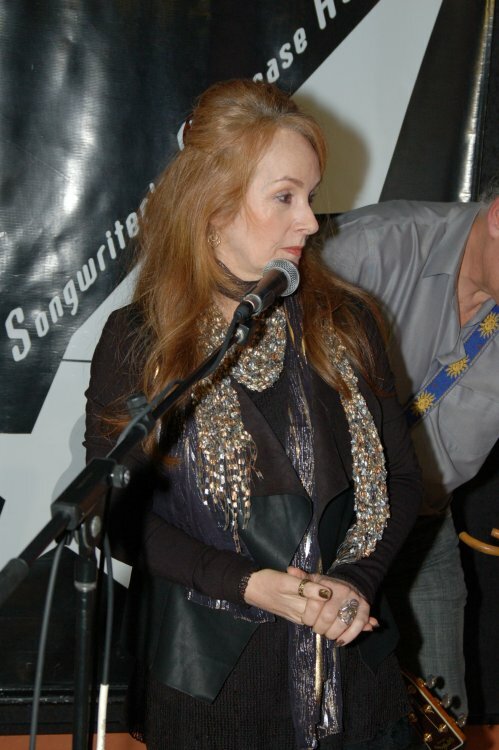 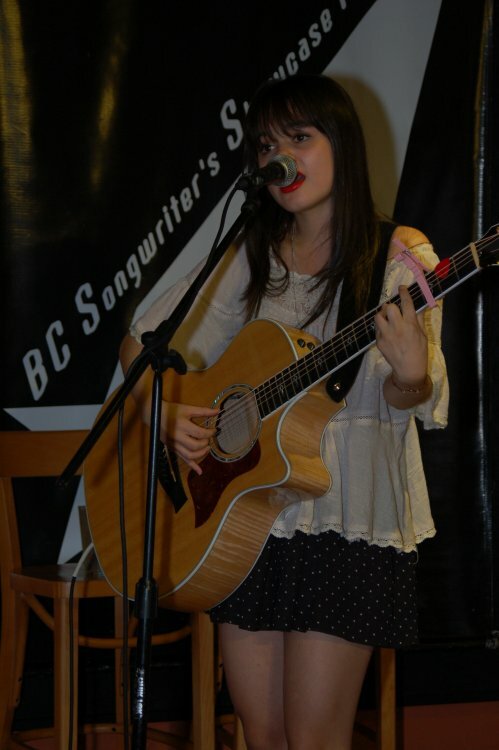 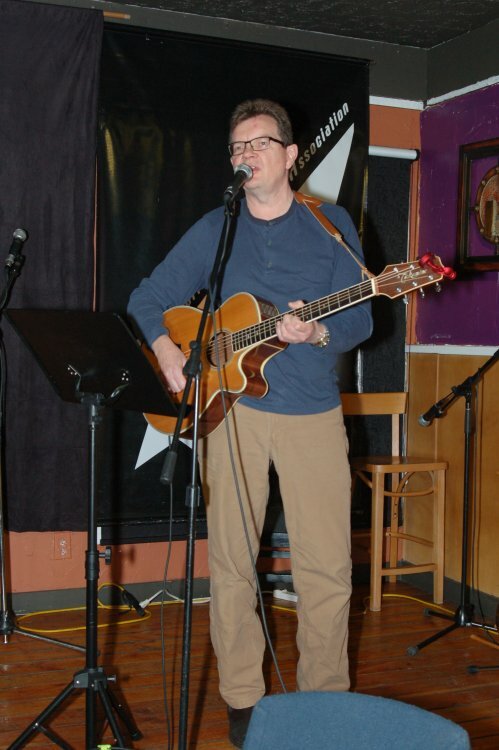 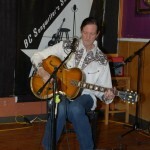 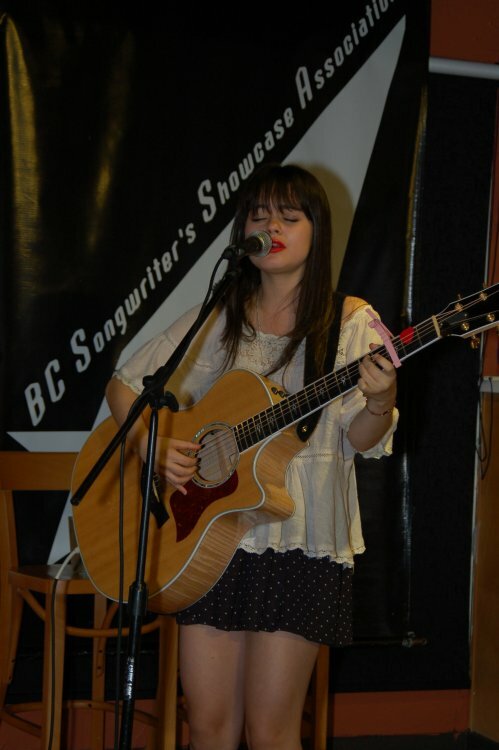 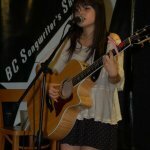 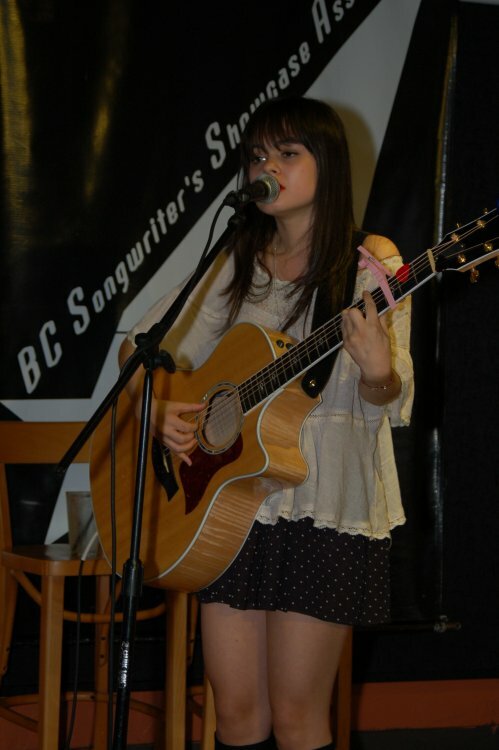 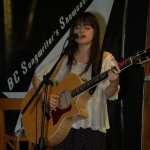 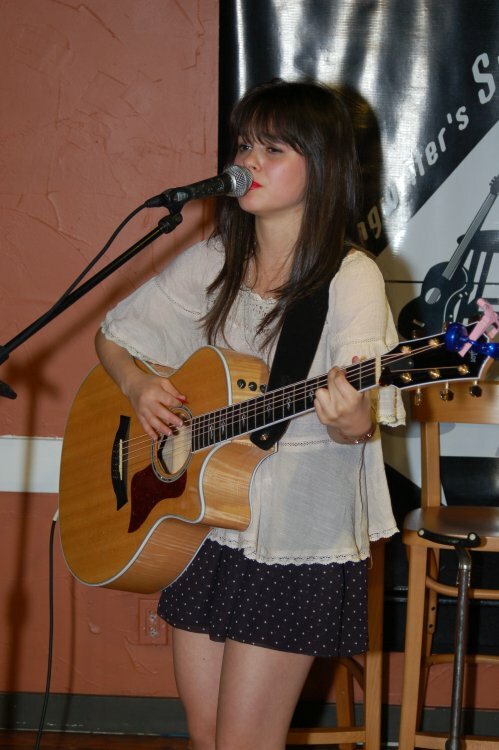 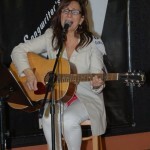 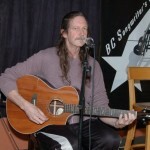 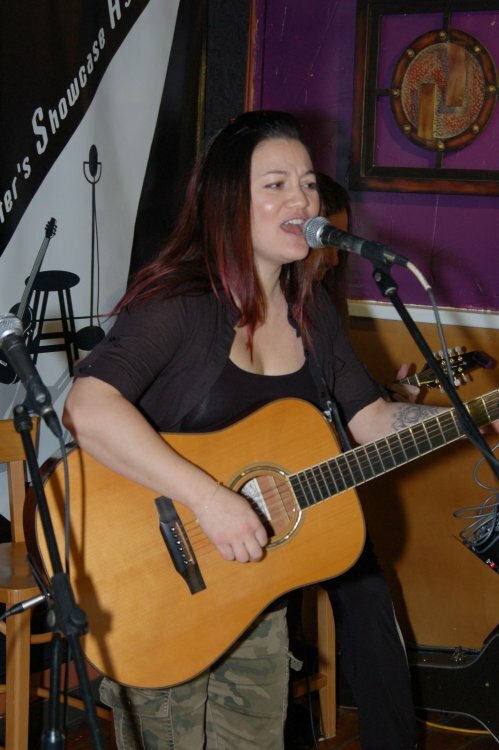 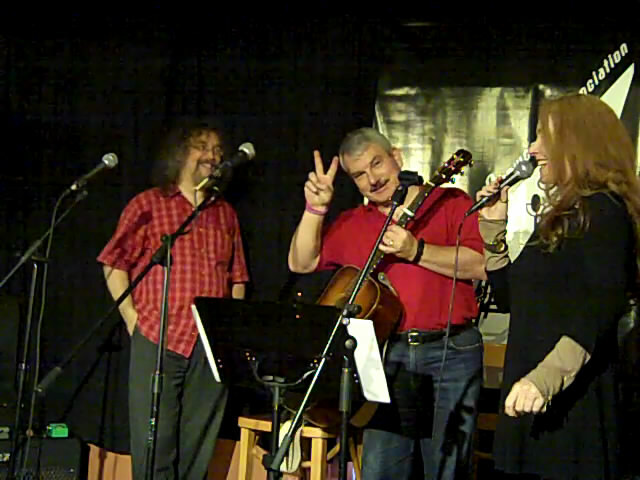 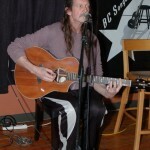 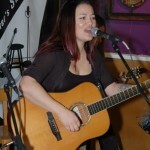 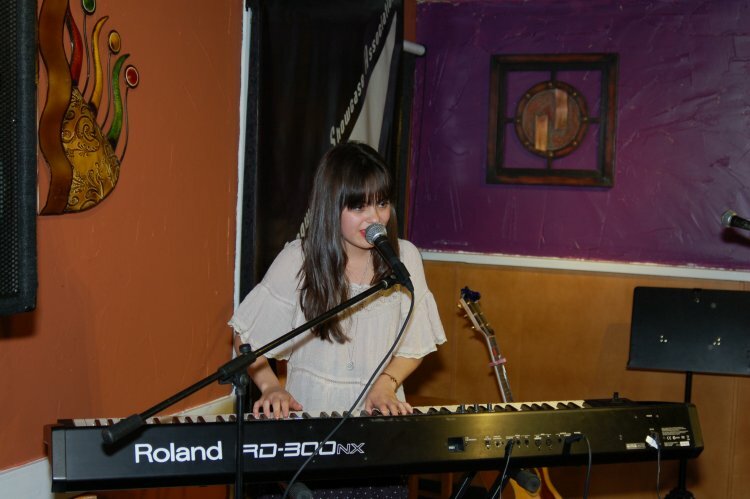 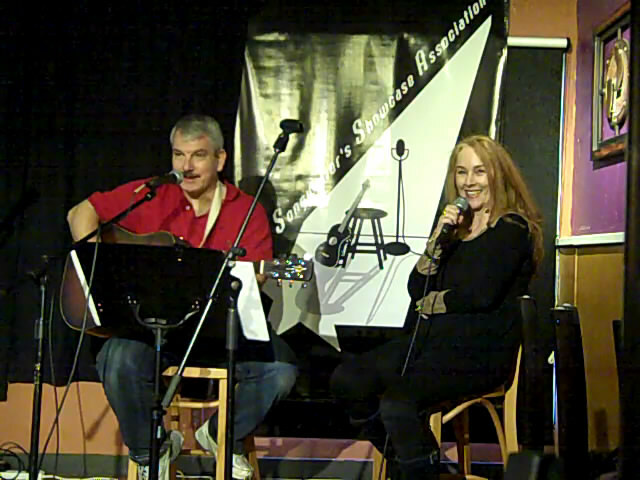 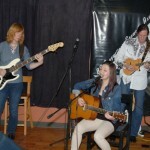 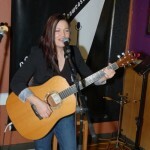 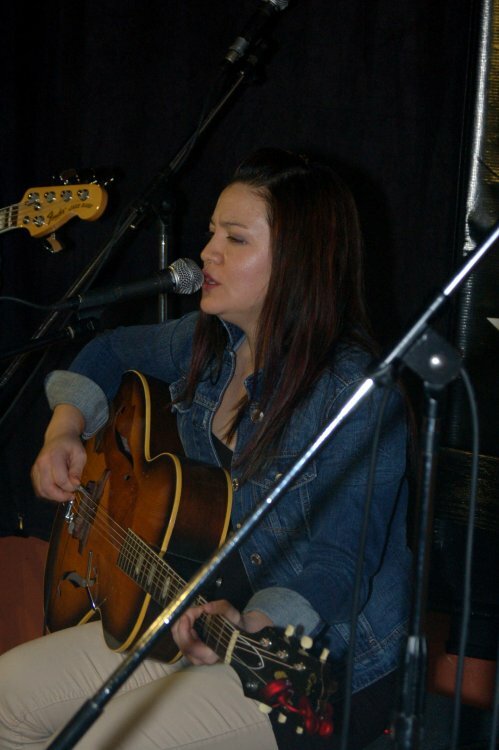 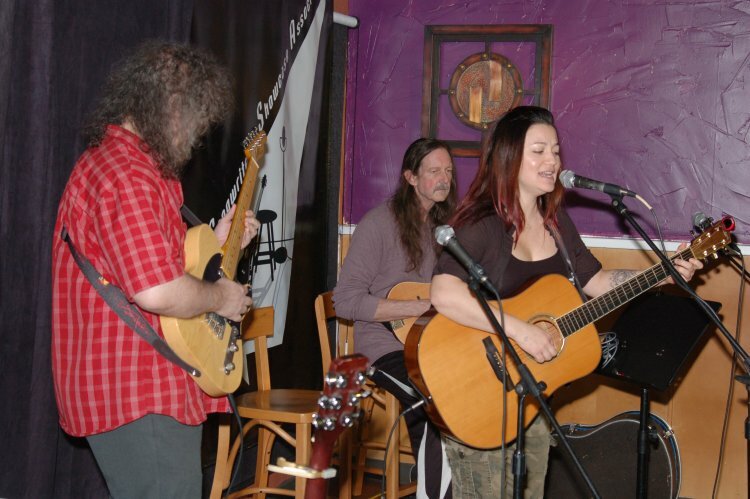 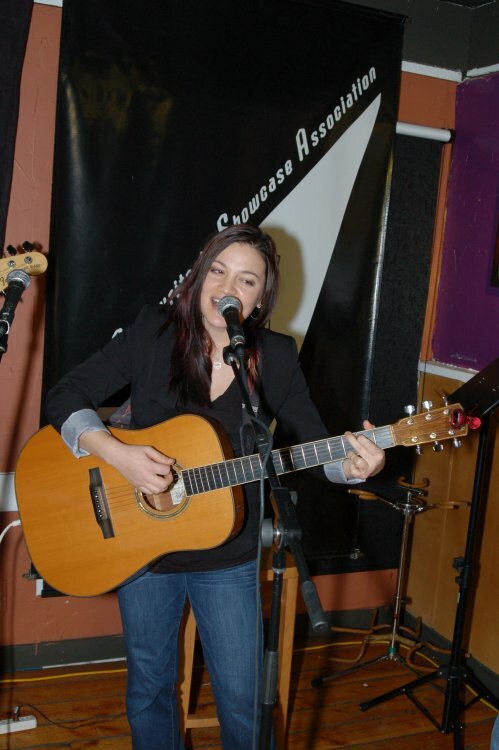 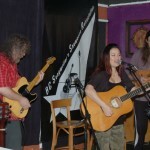 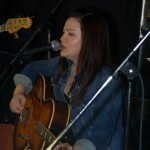 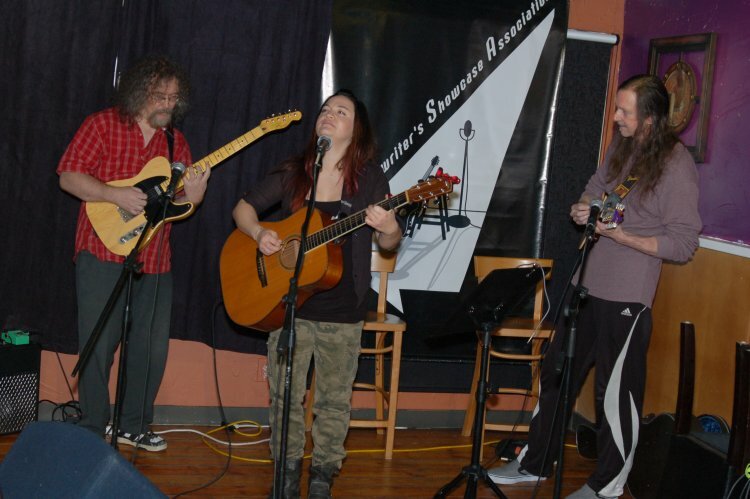 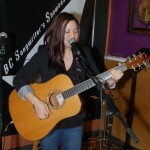 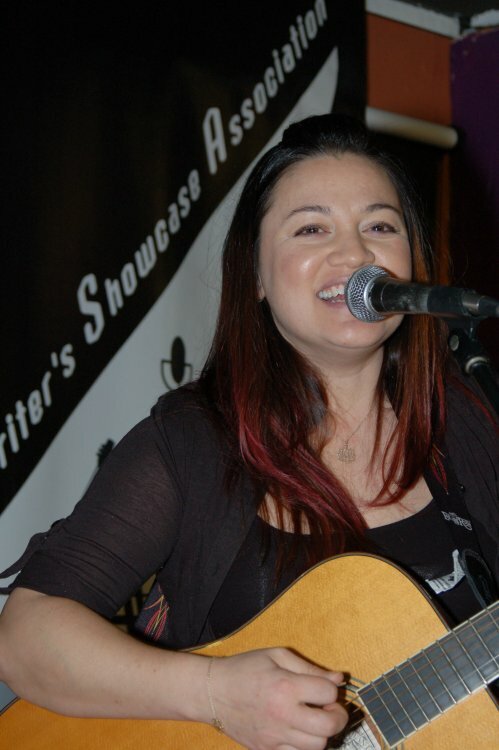 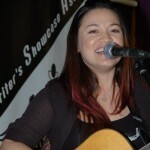 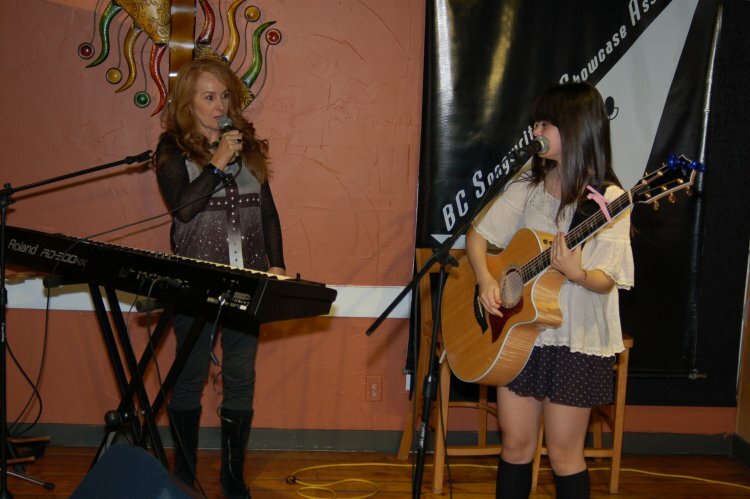 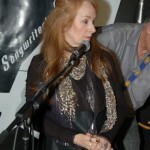 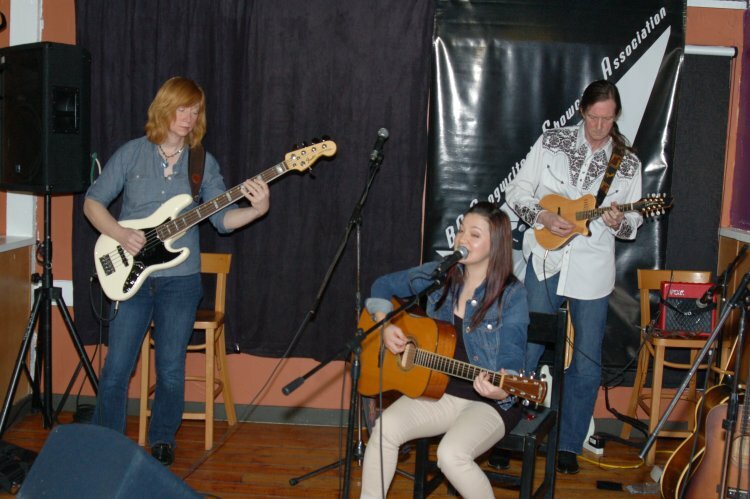 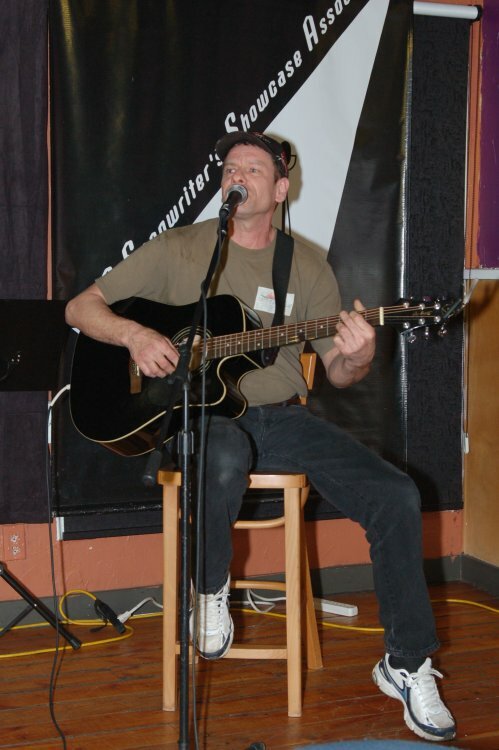 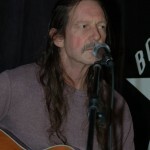 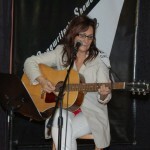 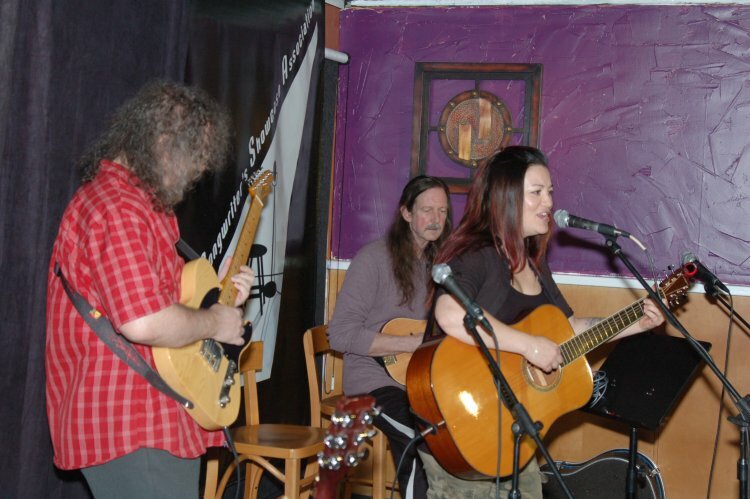 At the BC Songwriters’ Open Mic… performers included Delaney Rose, Feona Lim, Patricia Dunphy & Bruce W. Rudolph. 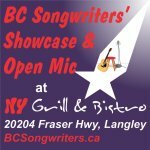 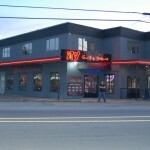 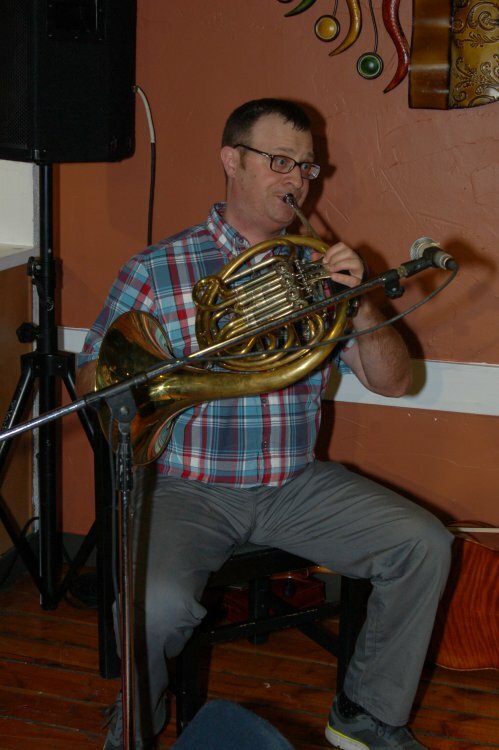 As always, the fun took place at NY Grill & Bistro – 20204 Fraser Hwy, Langley! 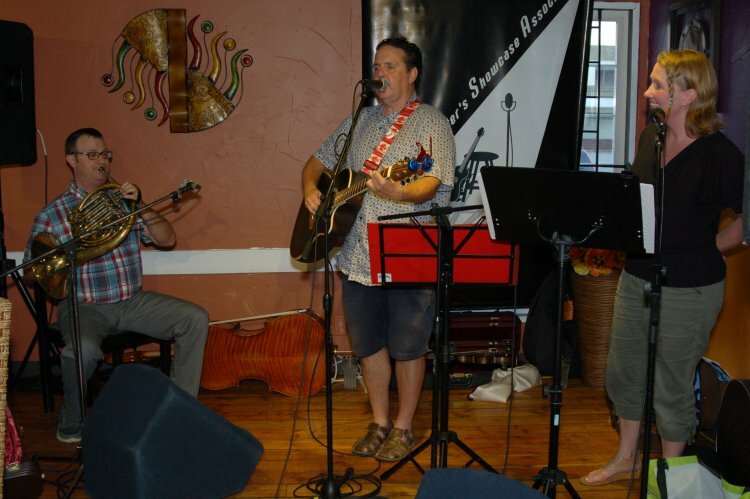 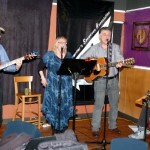 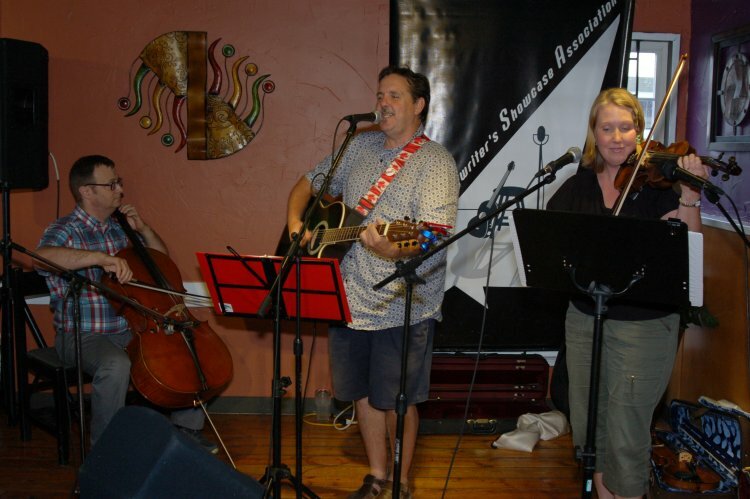 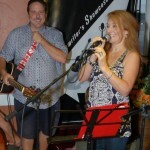 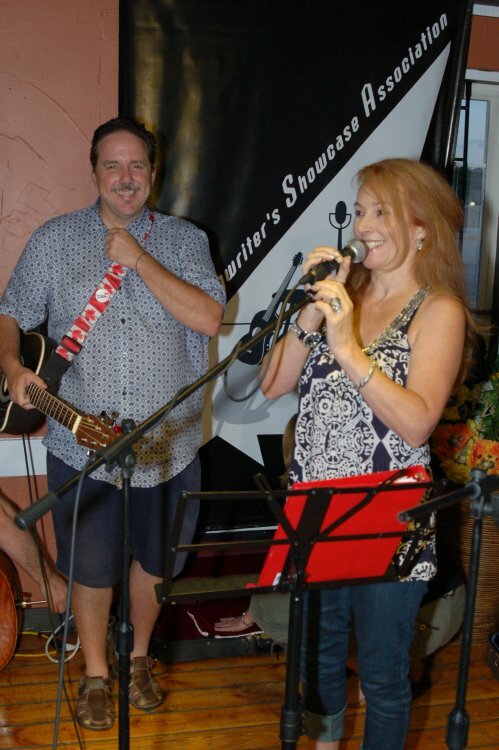 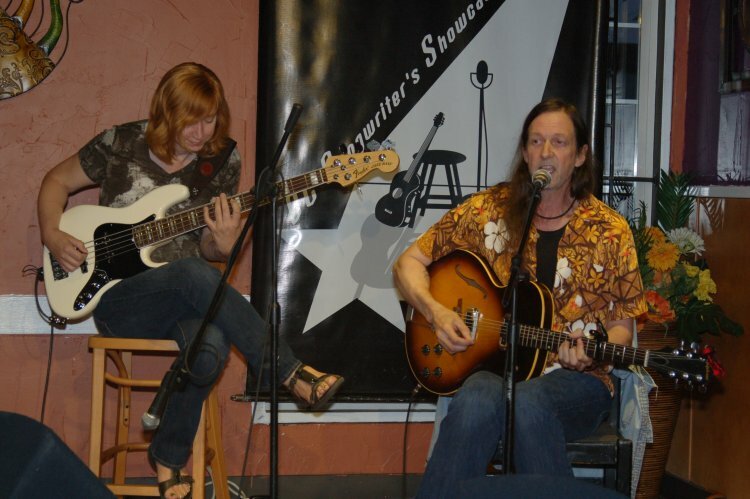 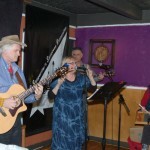 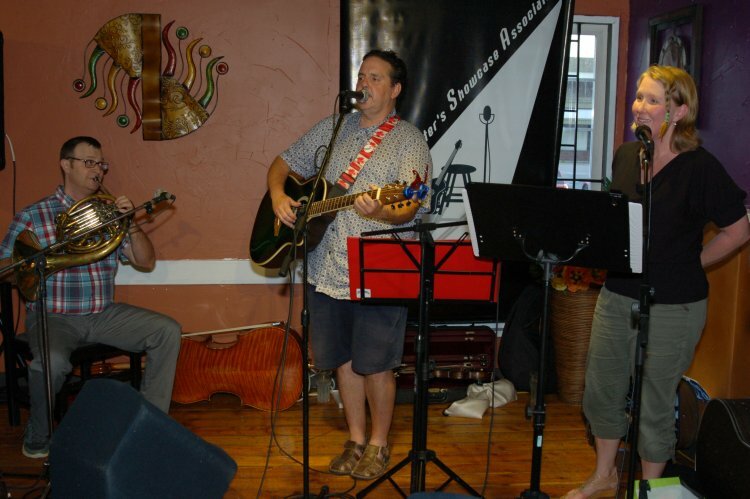 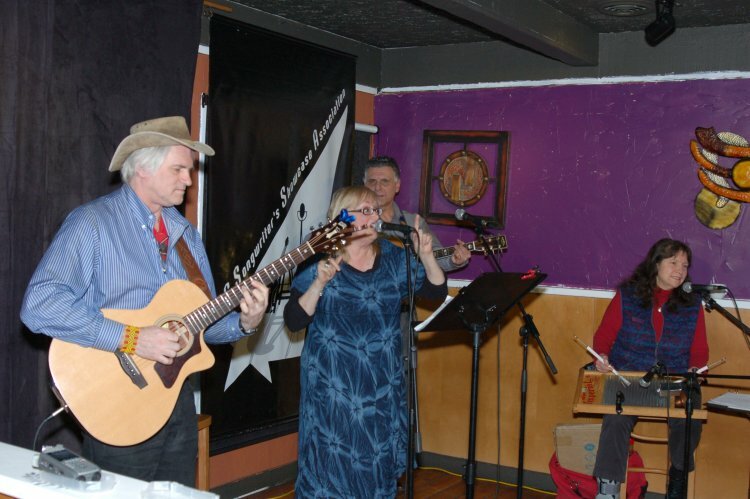 Their talent inspired the crowd, and the show continued for the second hour, with Dan Beer, Tricia Dunphy, Bruce W. Rudolph and John Haynes playing the Open Mic. 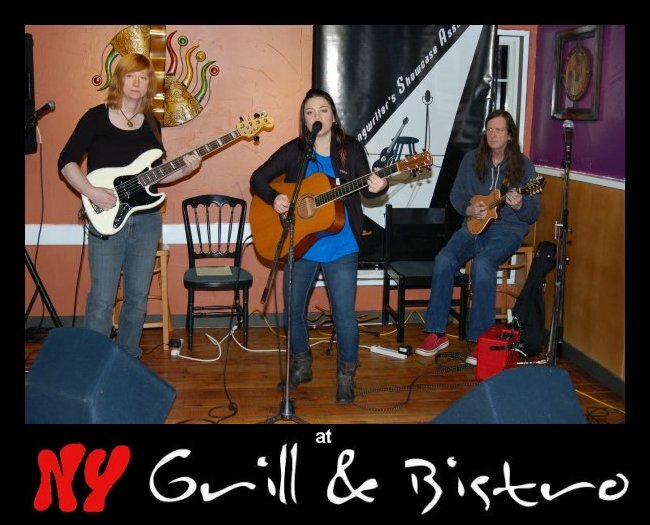 Mani and Christina from NY Grill & Bistro made sure everyone had the food and drink they needed, while the songwriters kept the crowd entertained! 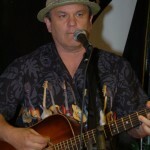 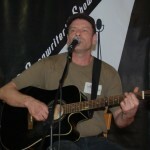 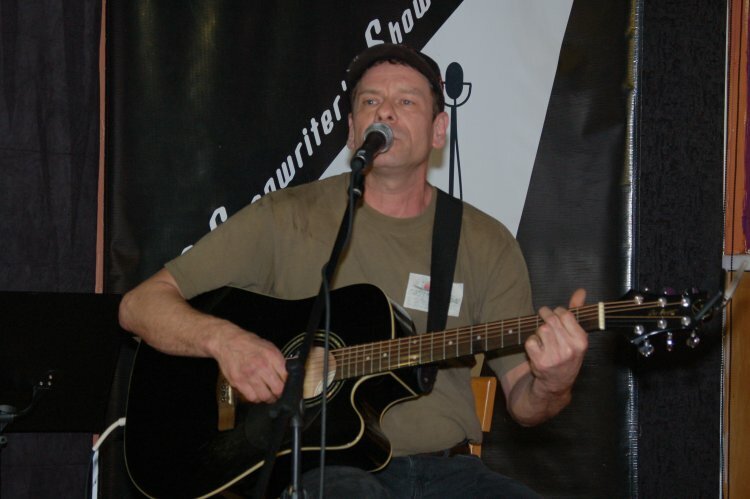 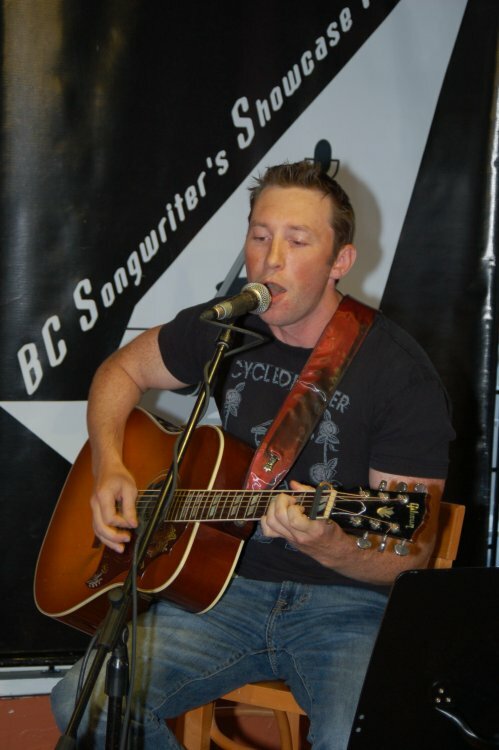 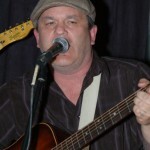 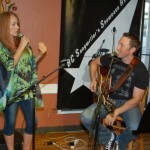 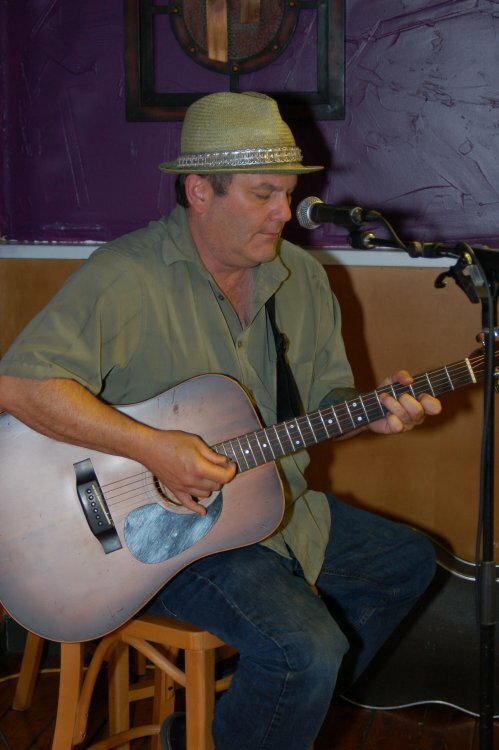 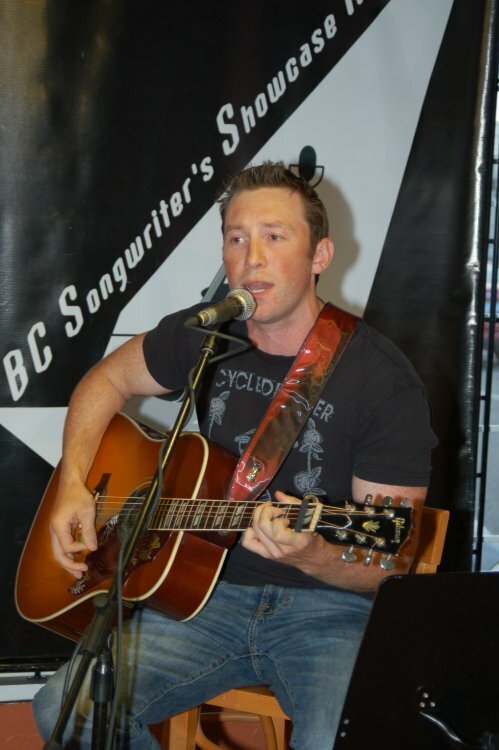 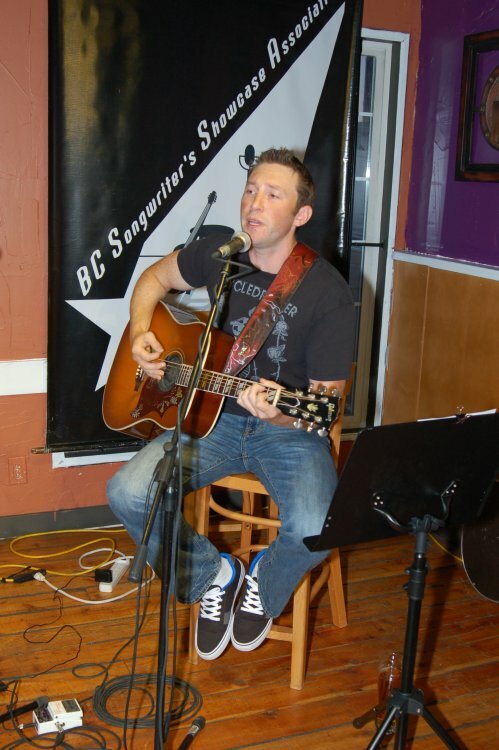 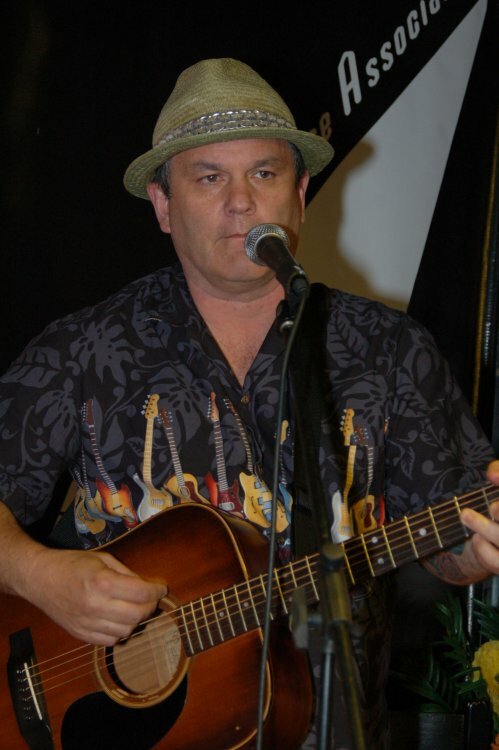 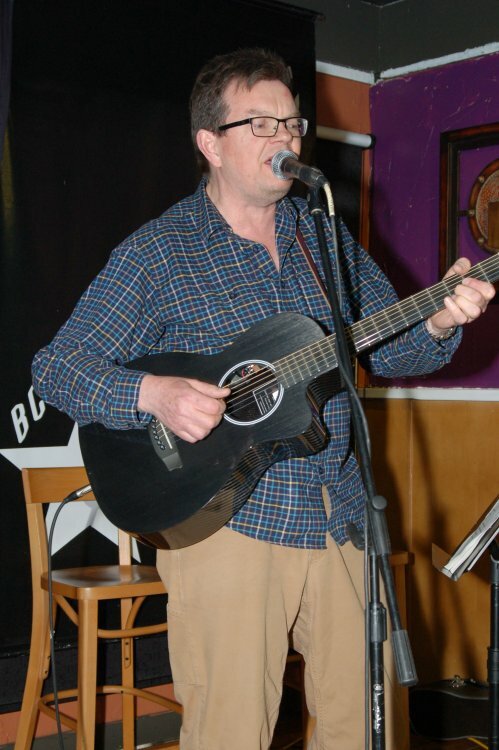 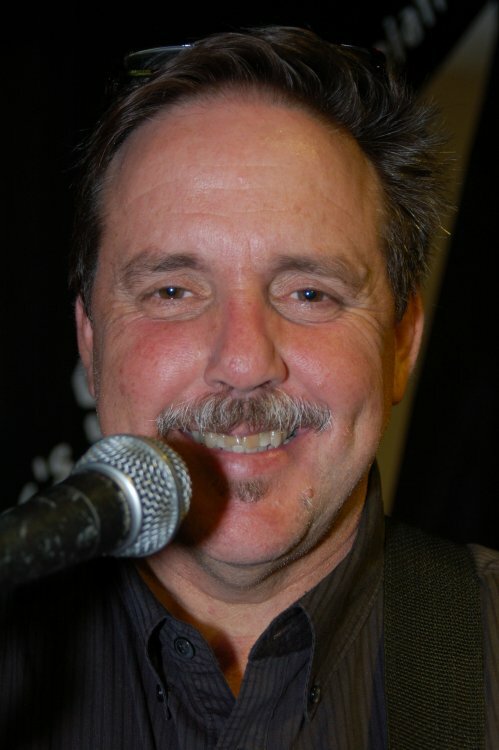 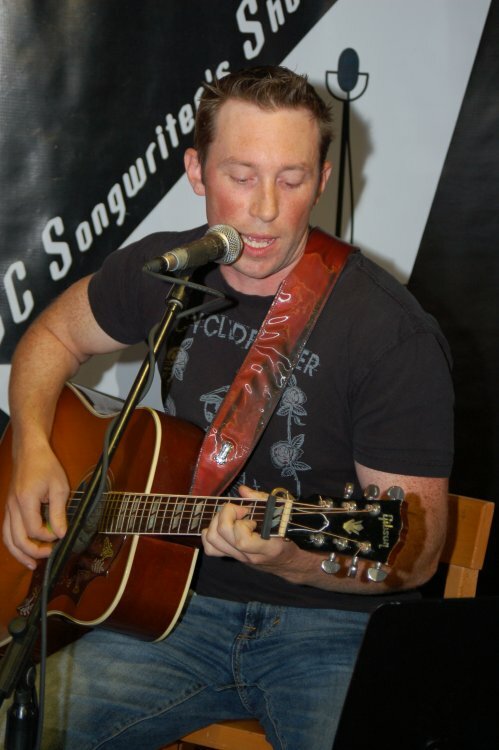 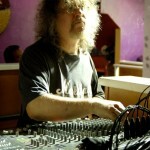 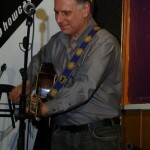 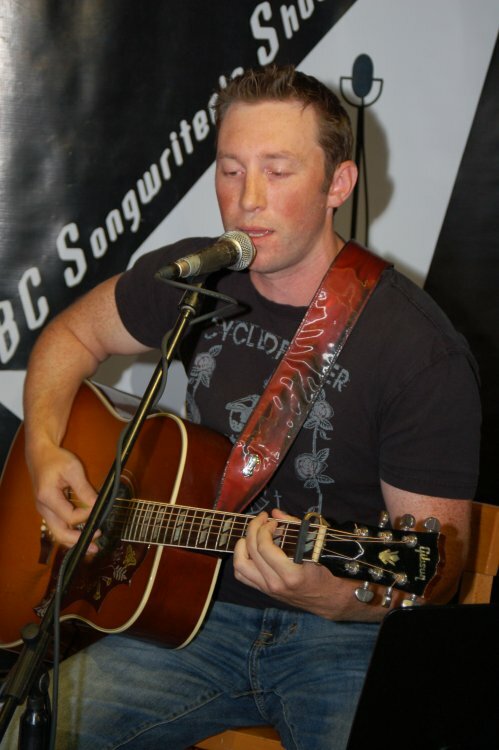 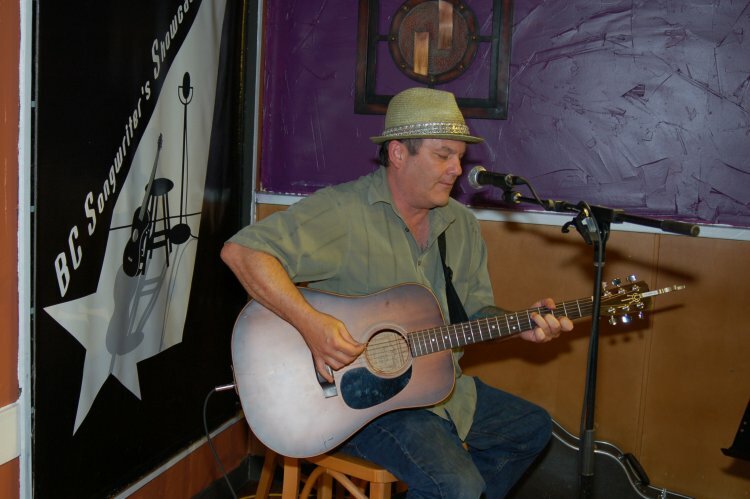 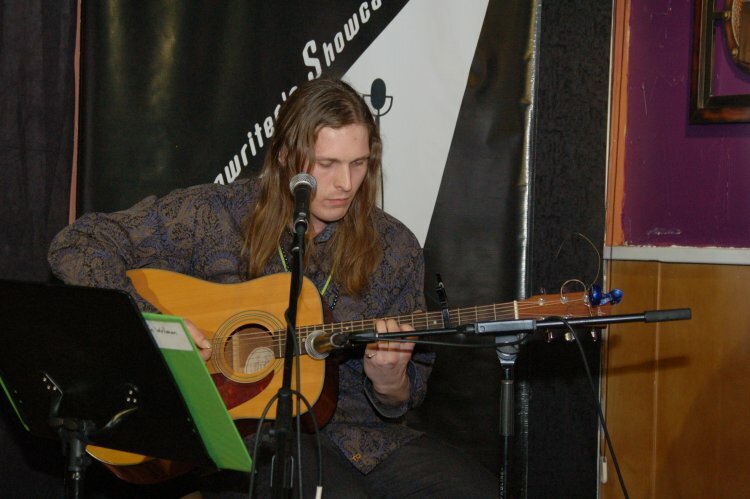 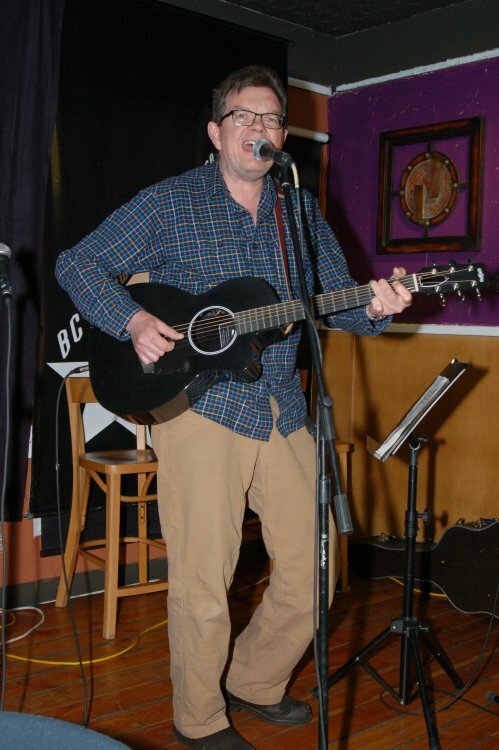 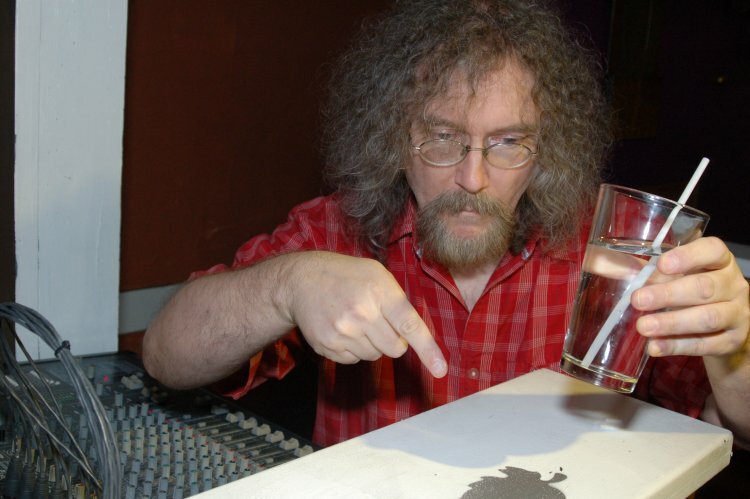 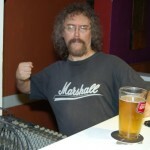 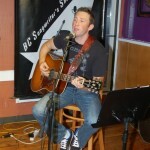 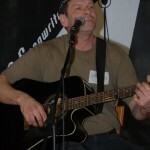 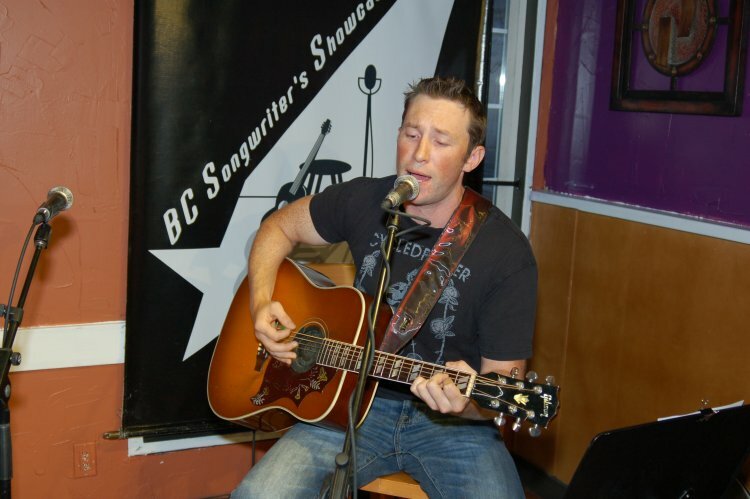 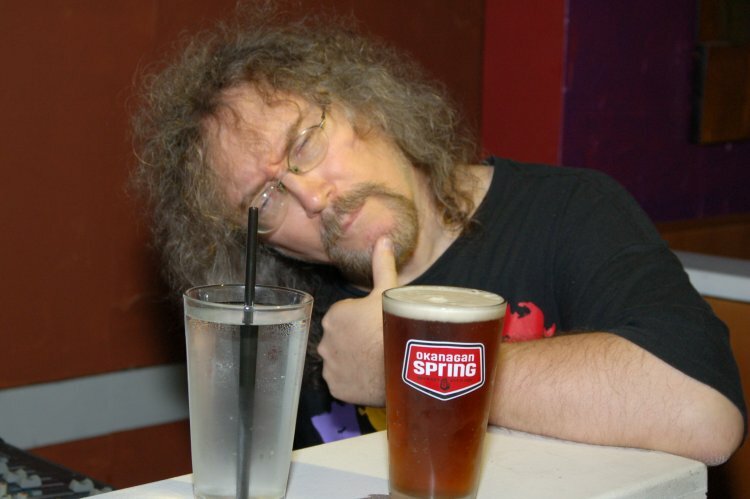 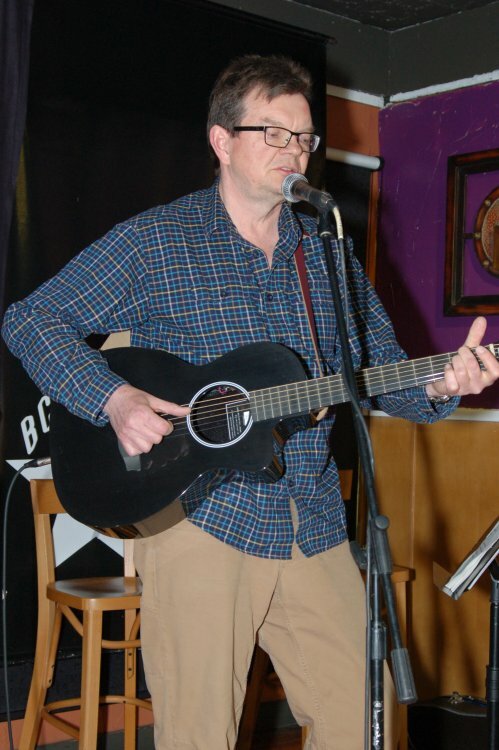 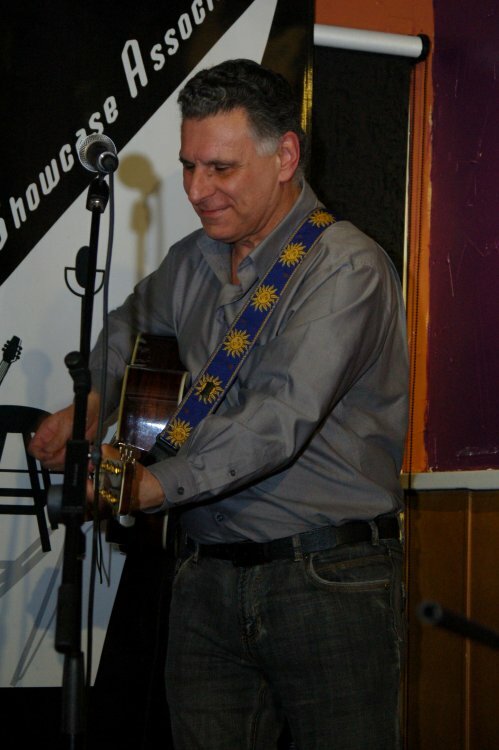 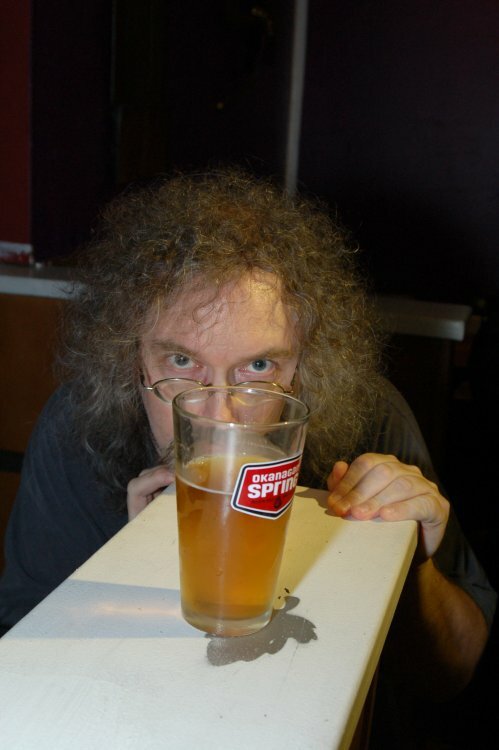 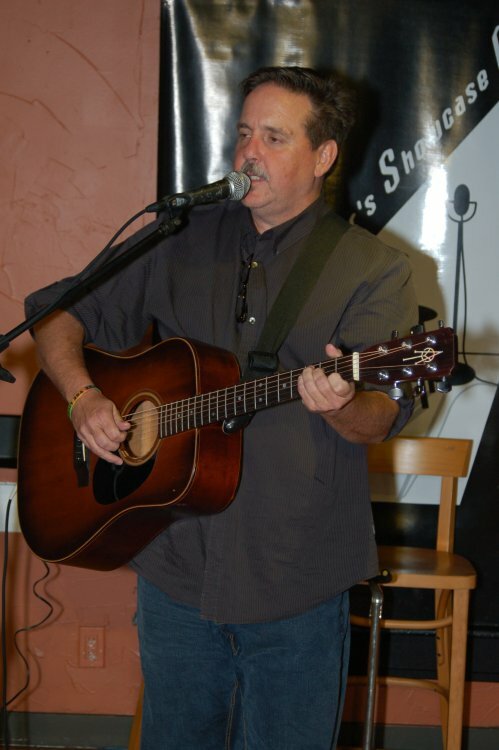 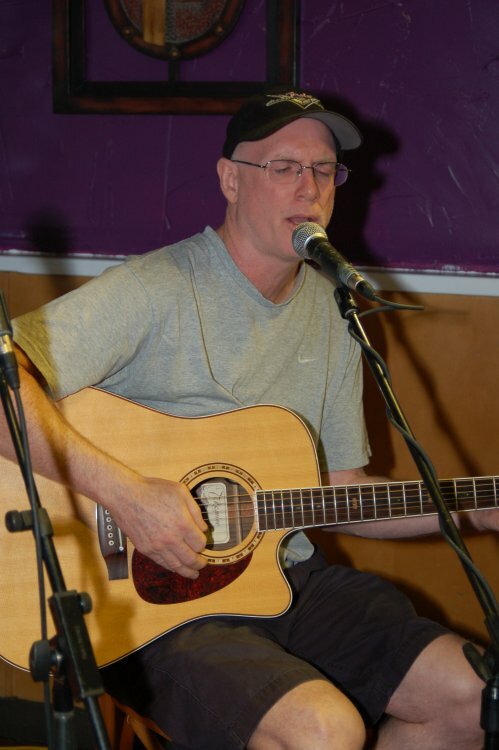 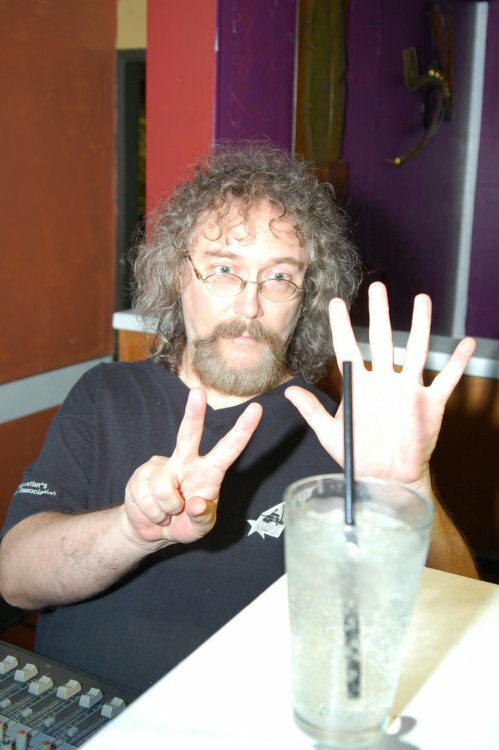 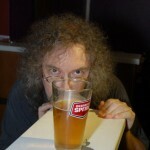 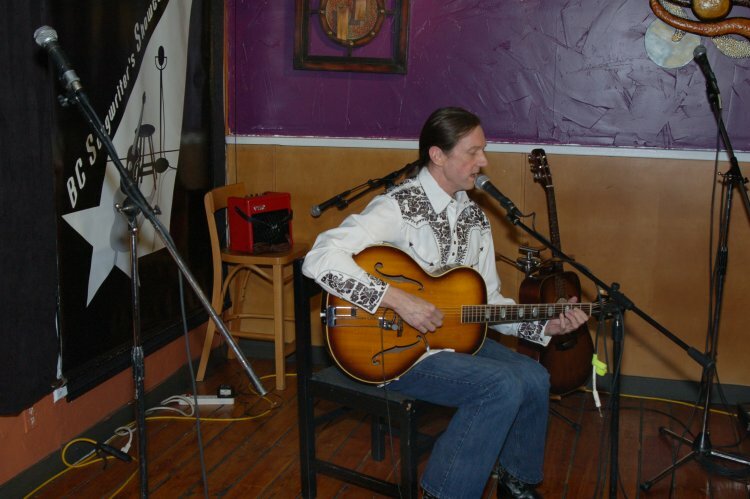 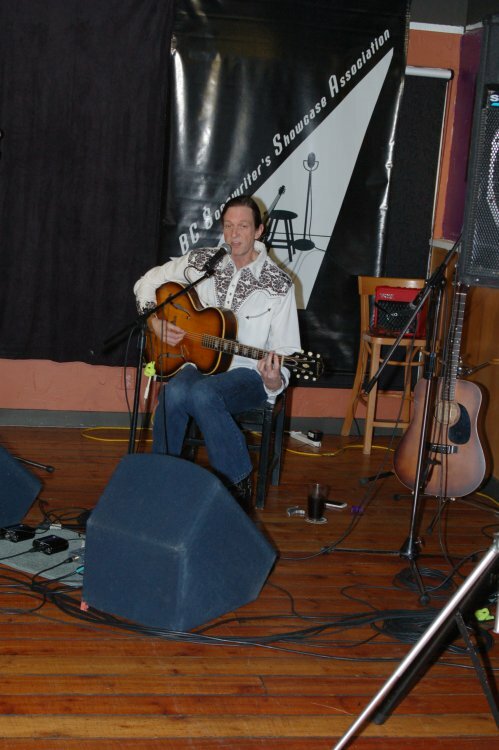 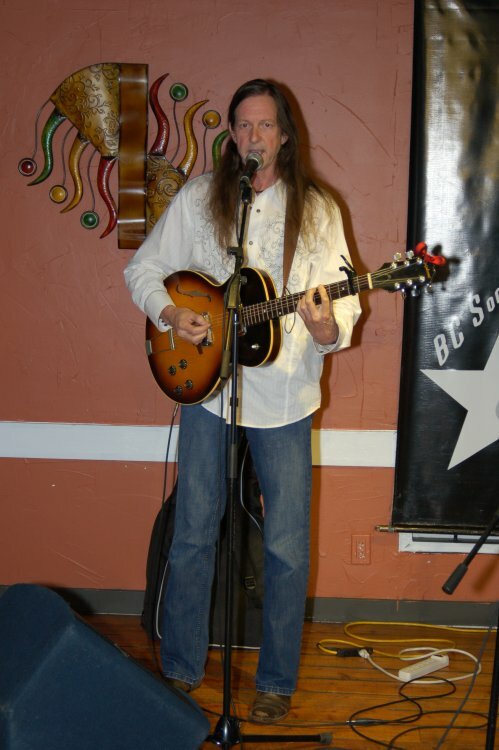 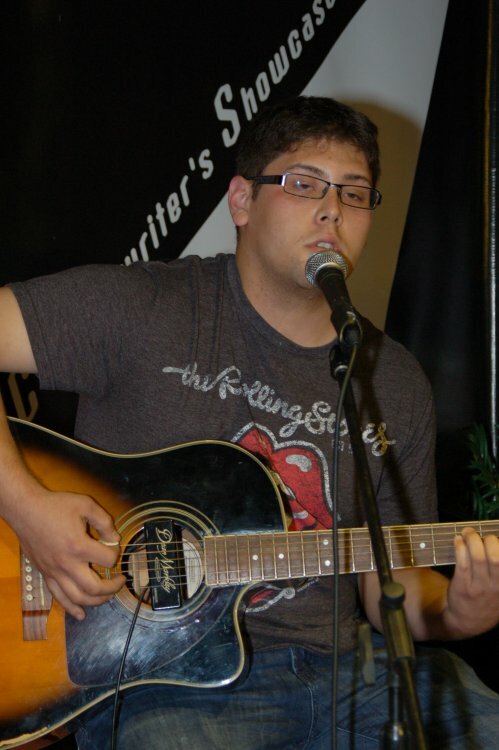 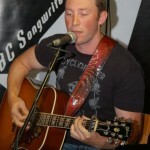 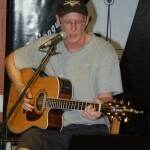 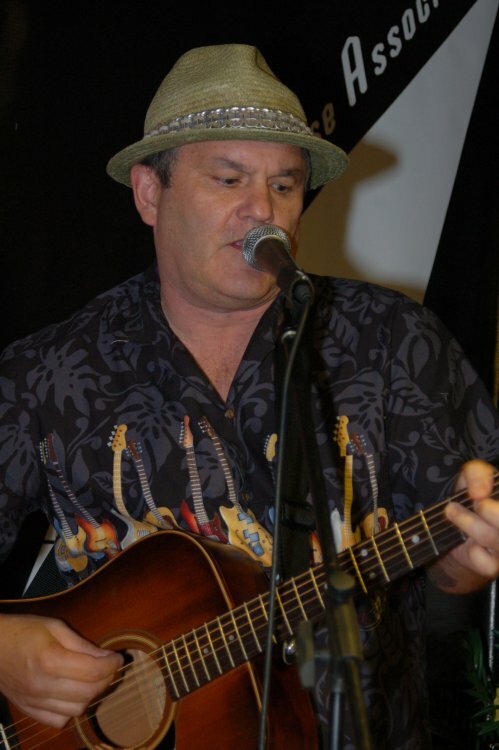 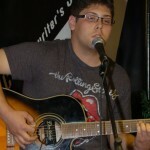 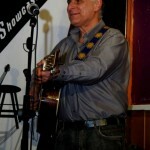 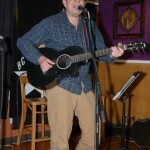 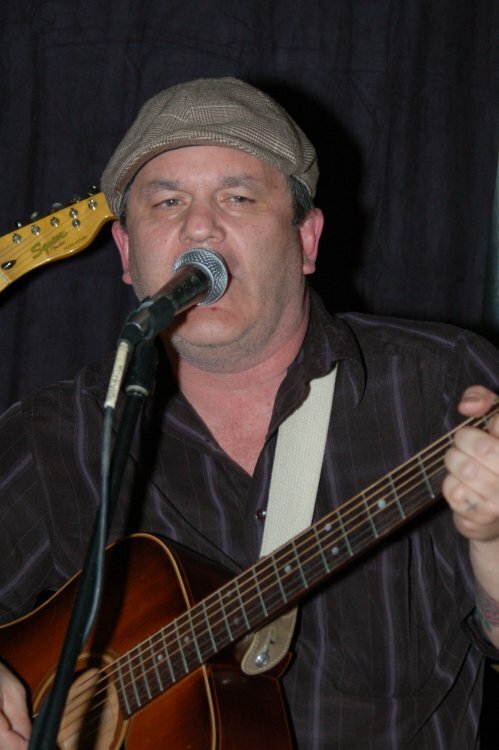 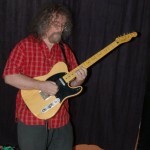 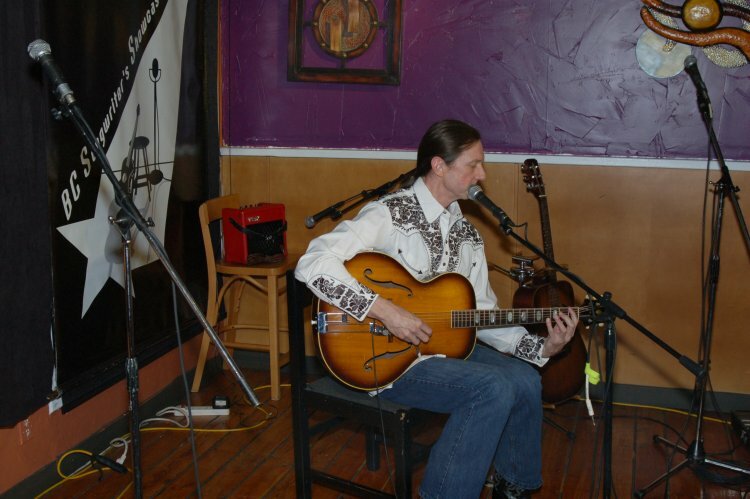 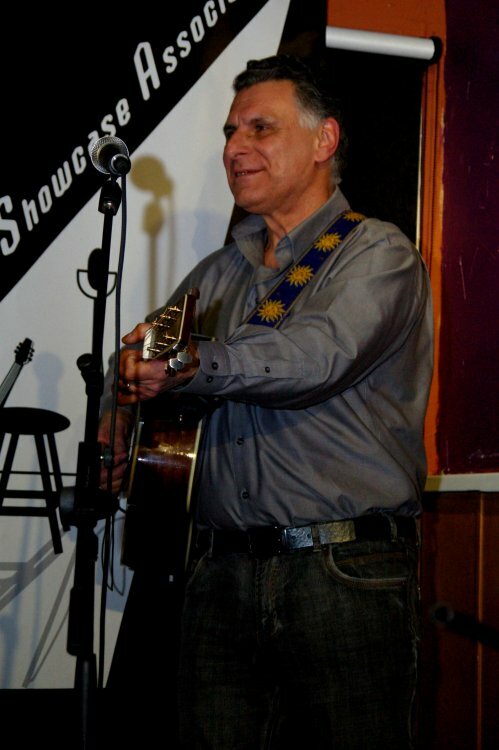 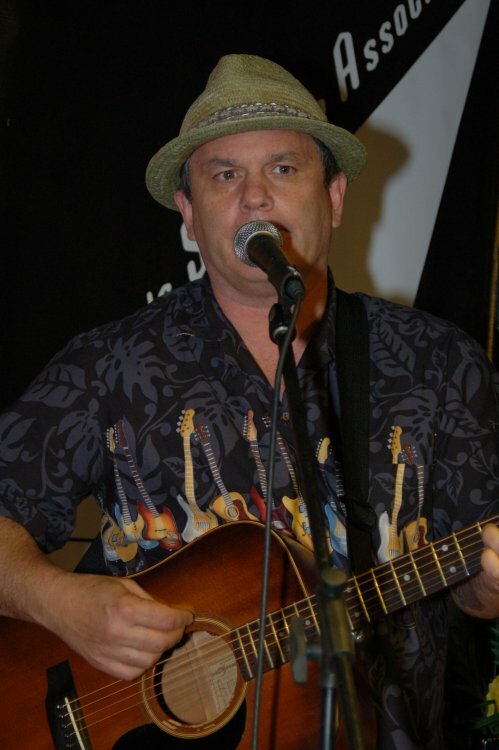 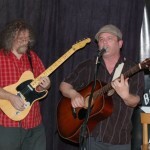 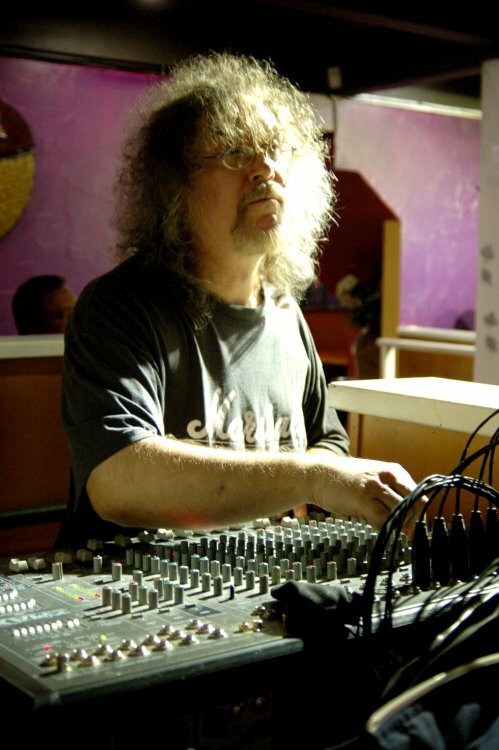 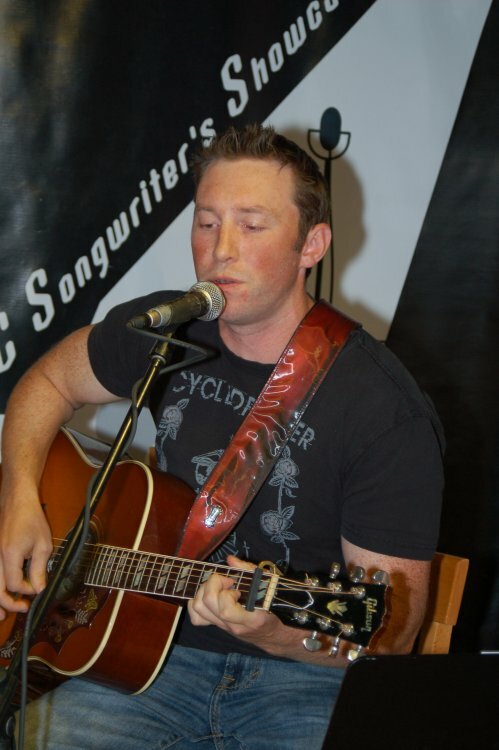 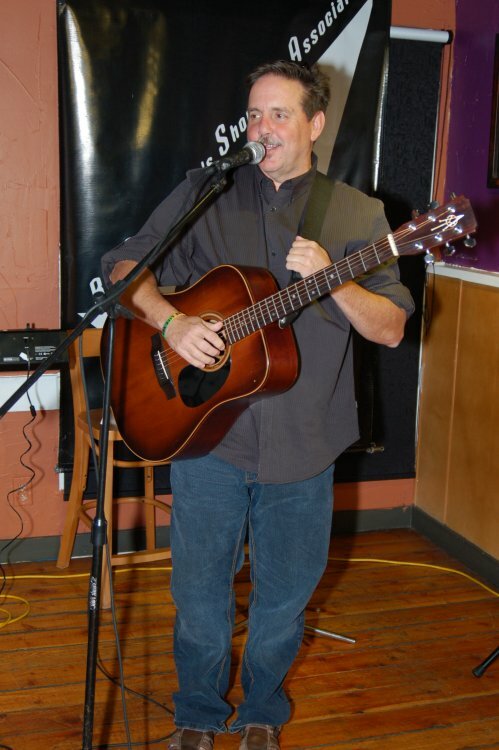 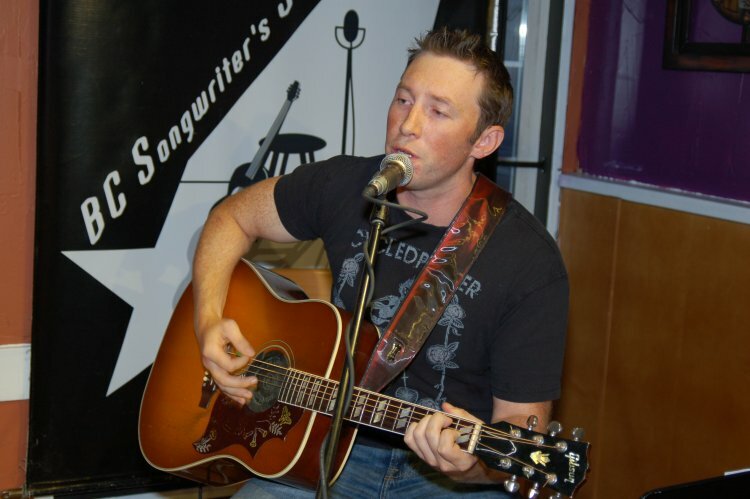 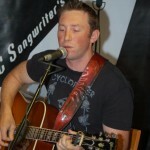 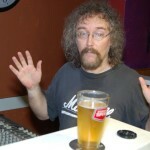 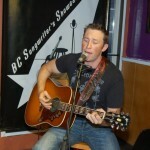 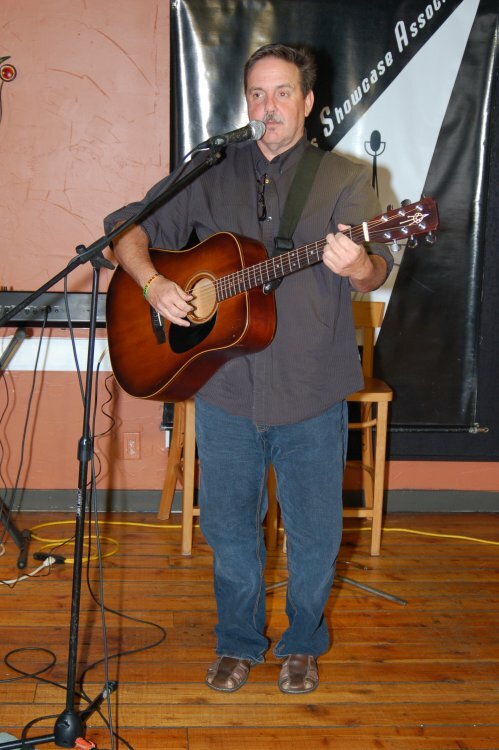 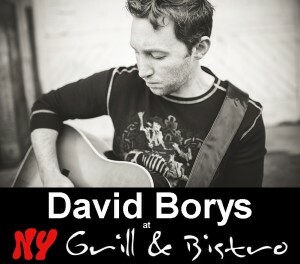 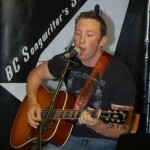 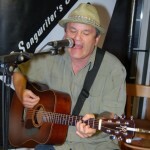 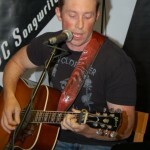 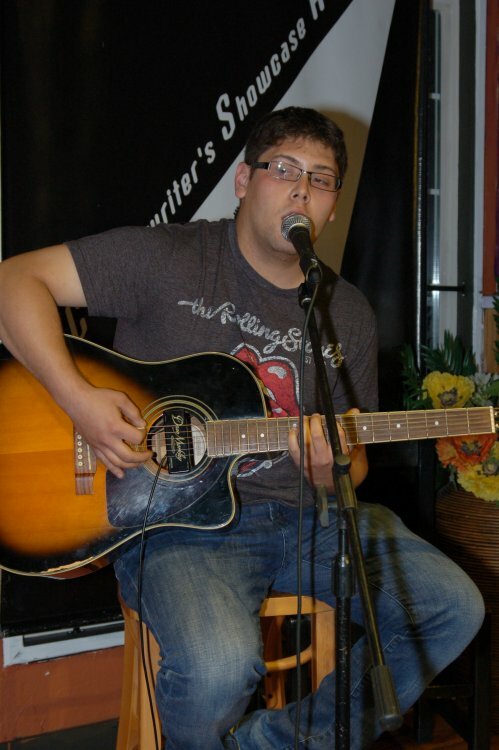 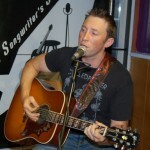 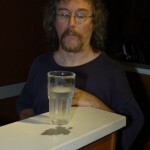 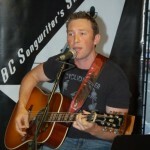 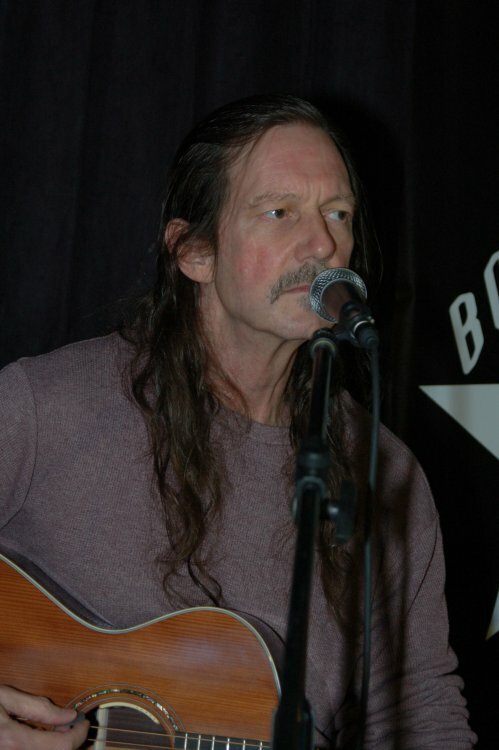 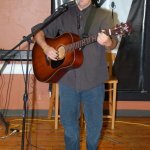 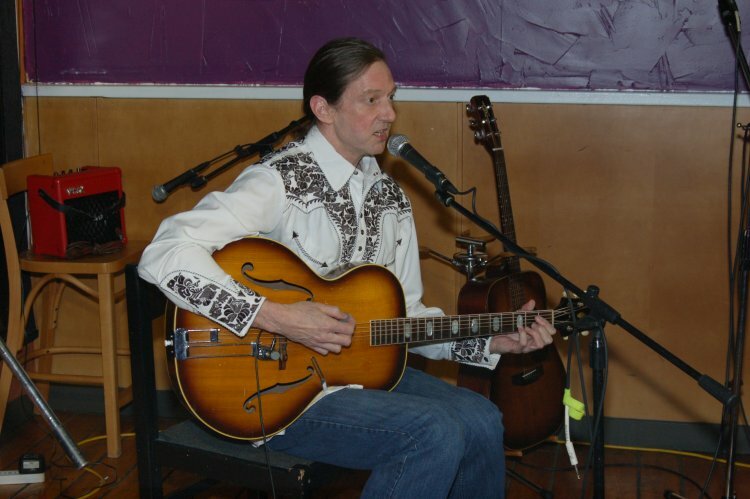 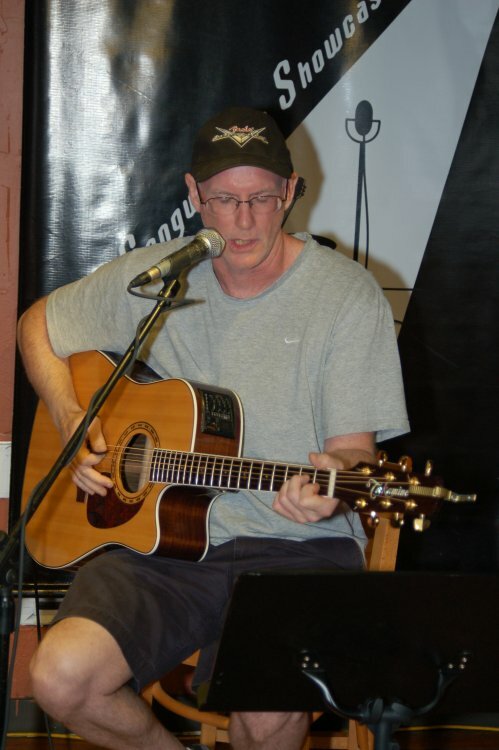 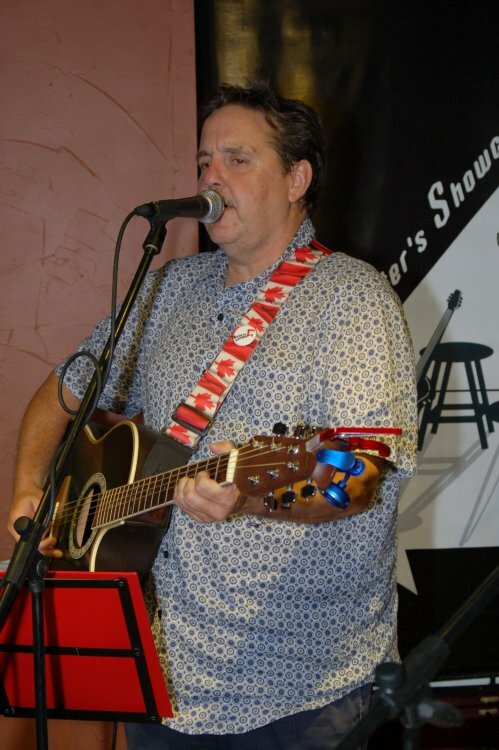 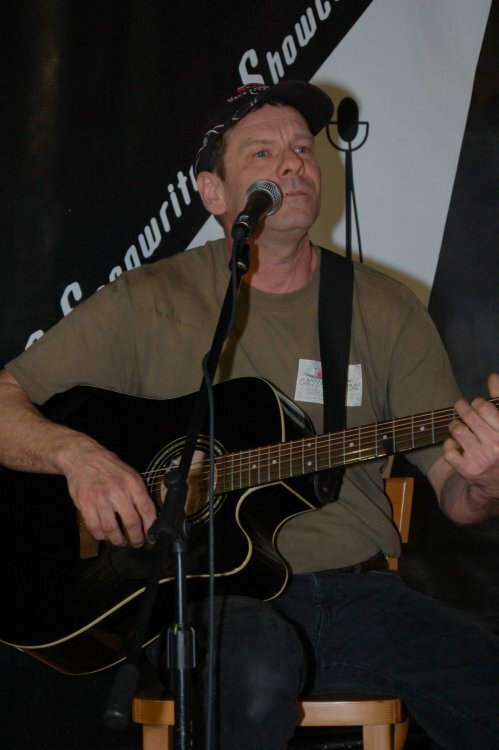 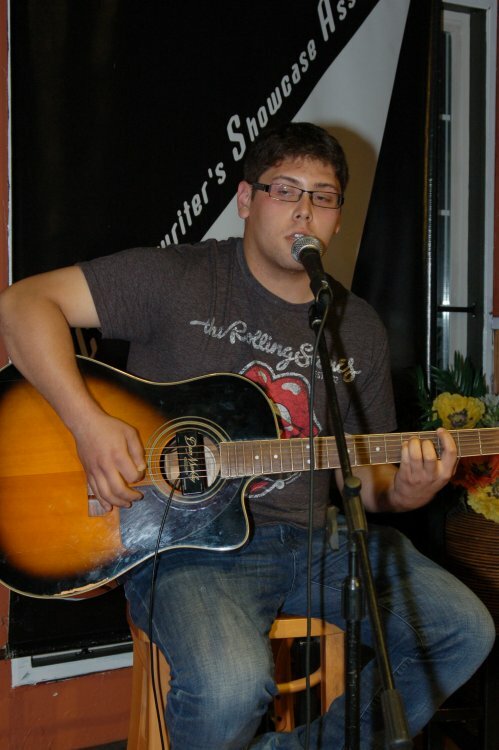 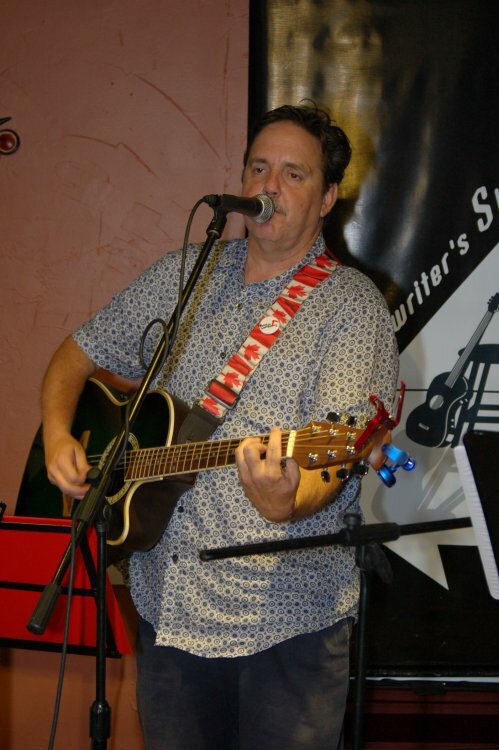 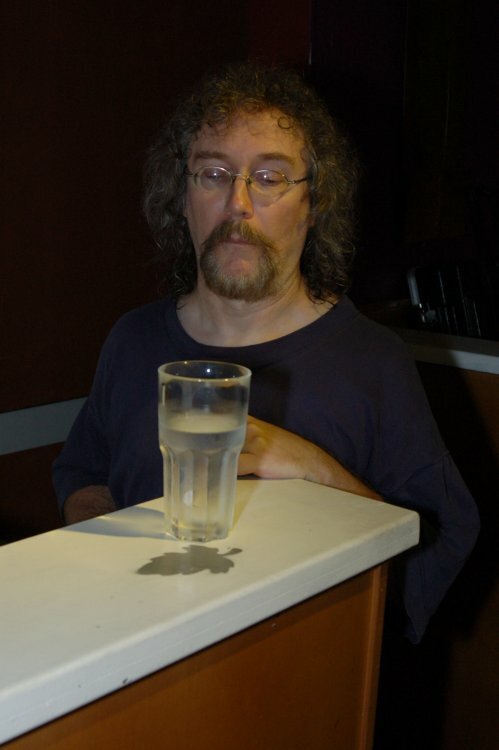 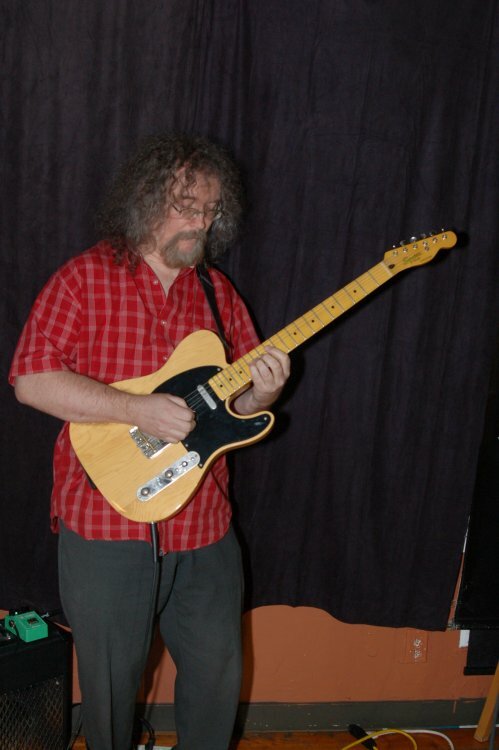 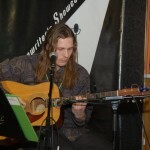 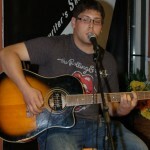 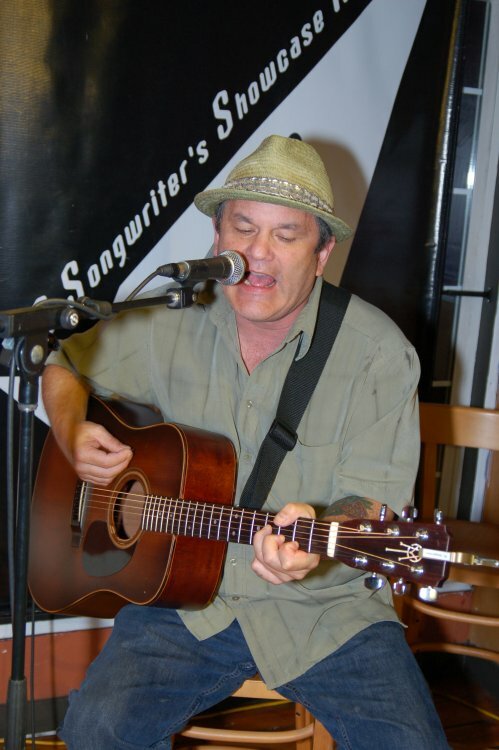 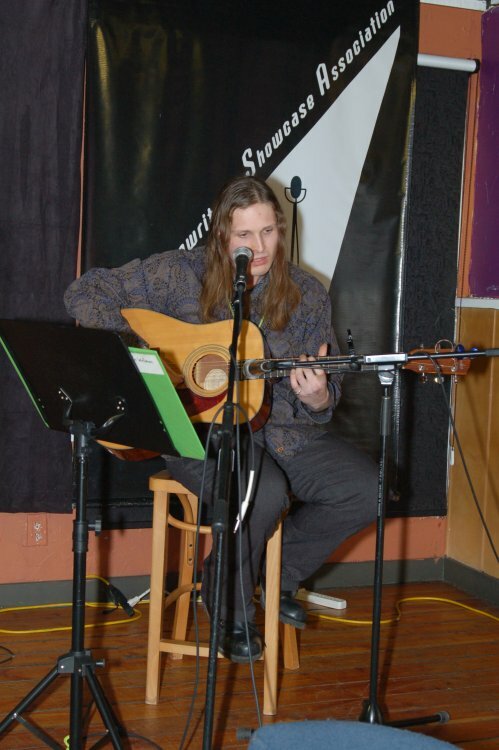 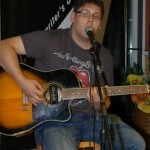 The August 27th BC Songwriters’ Showcase featured singer/songwriter David Borys, performing his original songs. 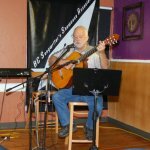 Open Mic followed with Dave Stanley, John Haynes, Delaney Rose & Earl Travis Taylor each playing a couple of their original tunes. 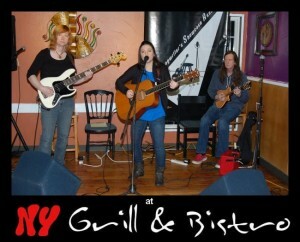 Mani & Christina from NY Grill & Bistro were our gracious hosts, and a great time was had by all! 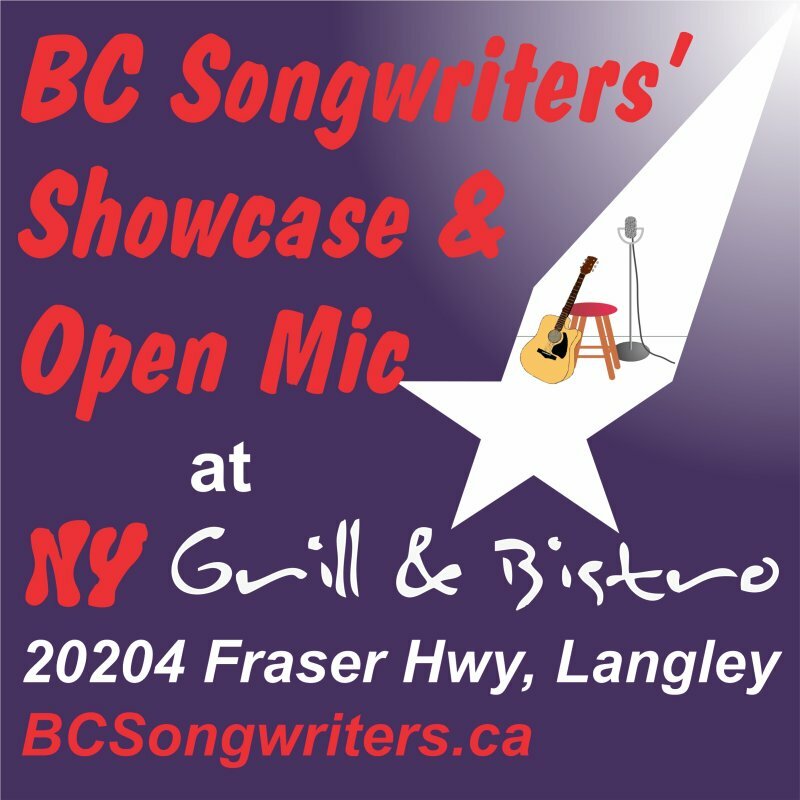 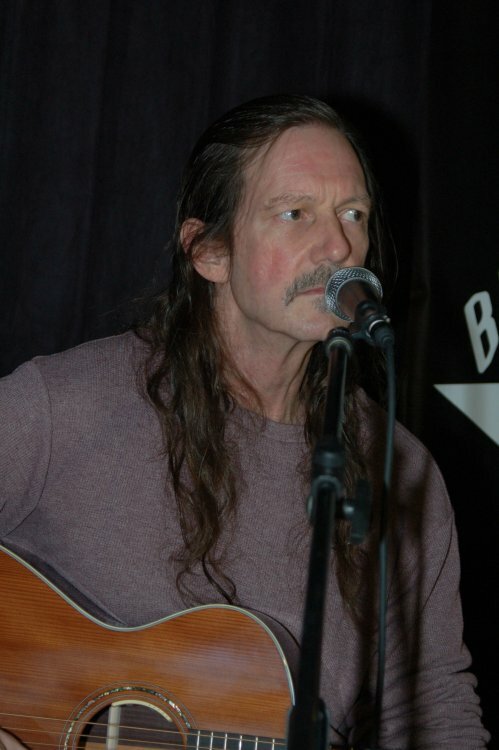 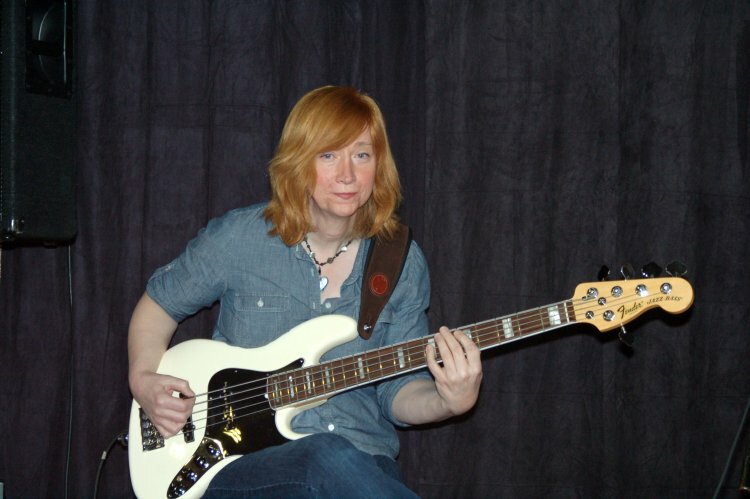 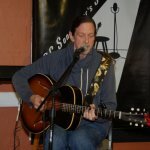 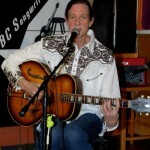 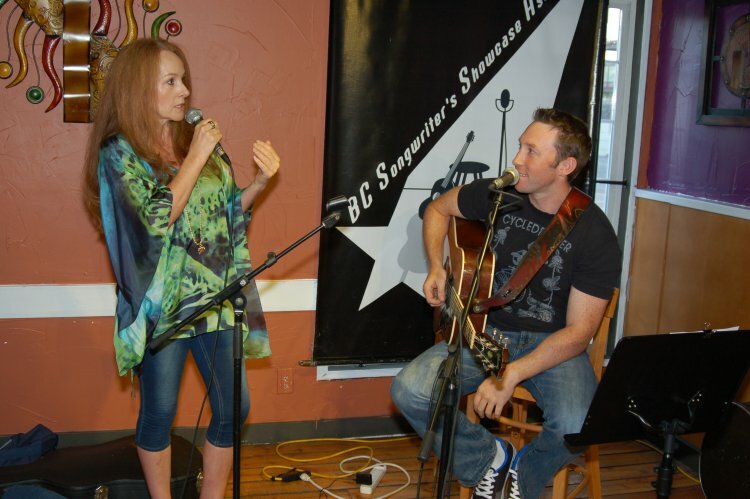 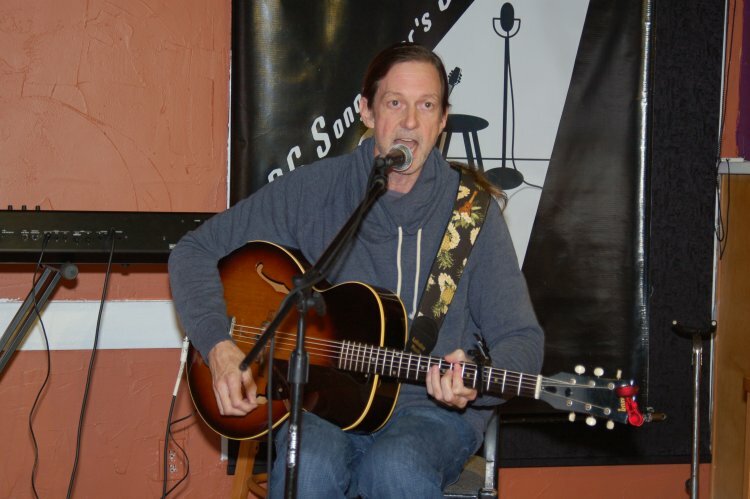 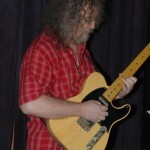 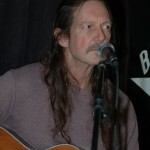 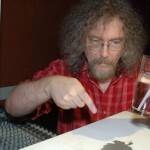 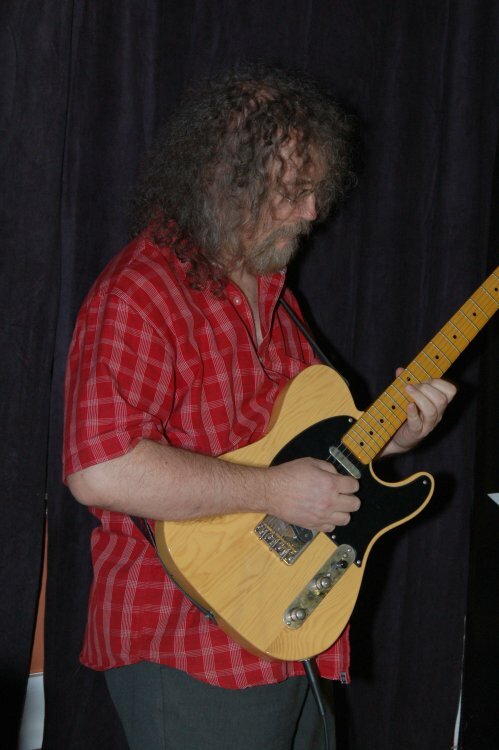 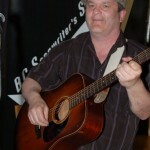 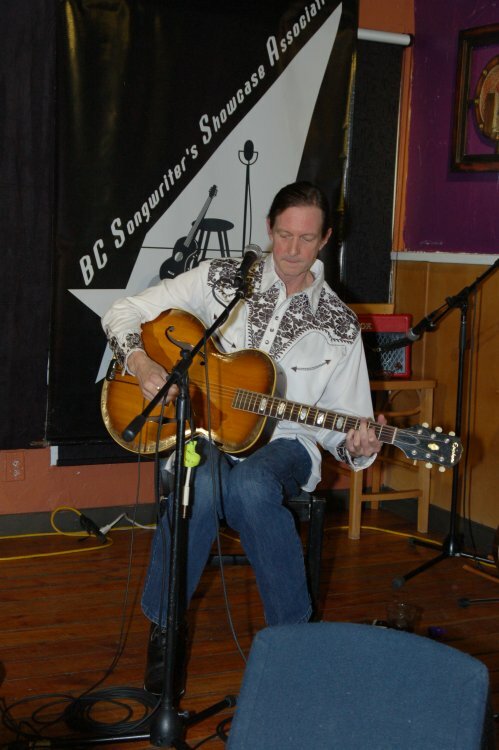 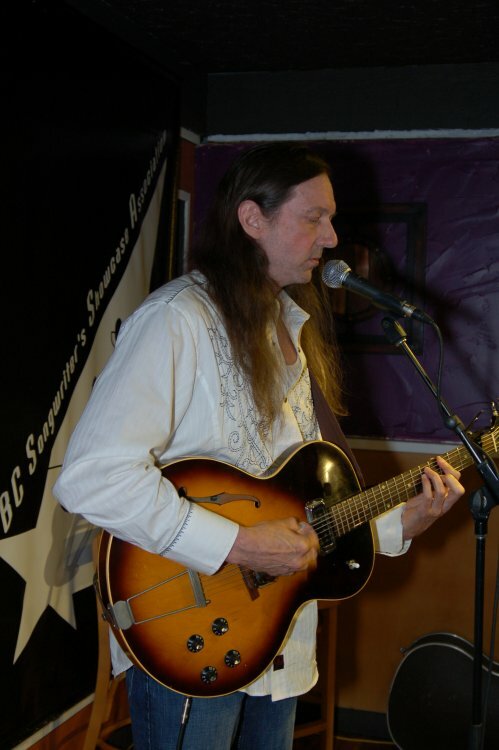 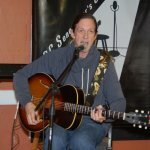 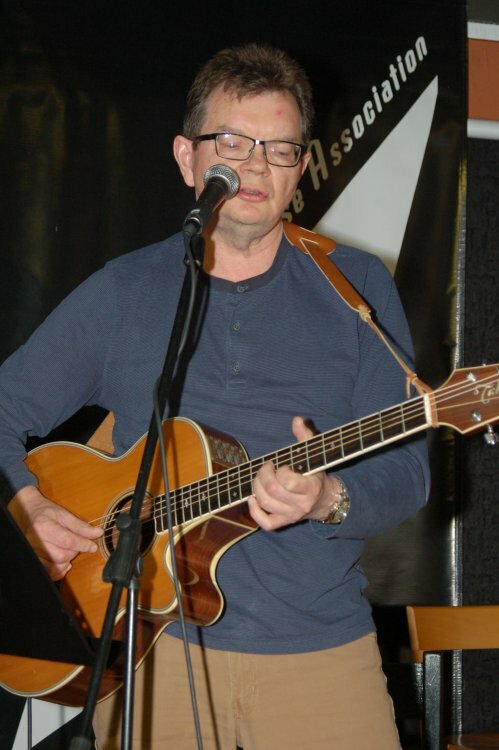 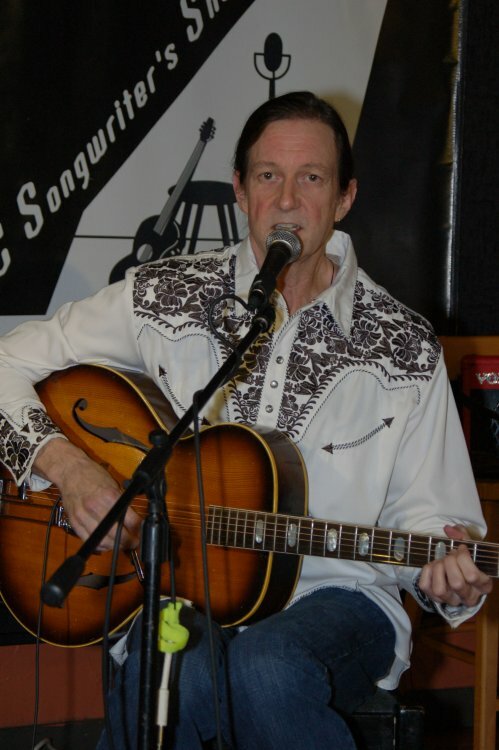 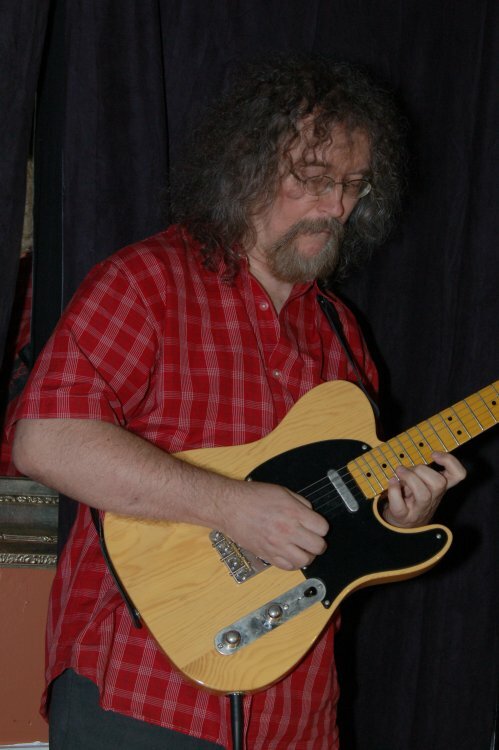 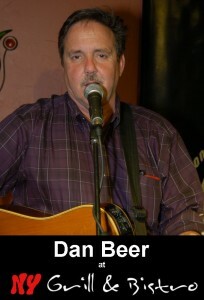 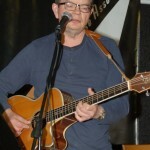 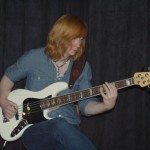 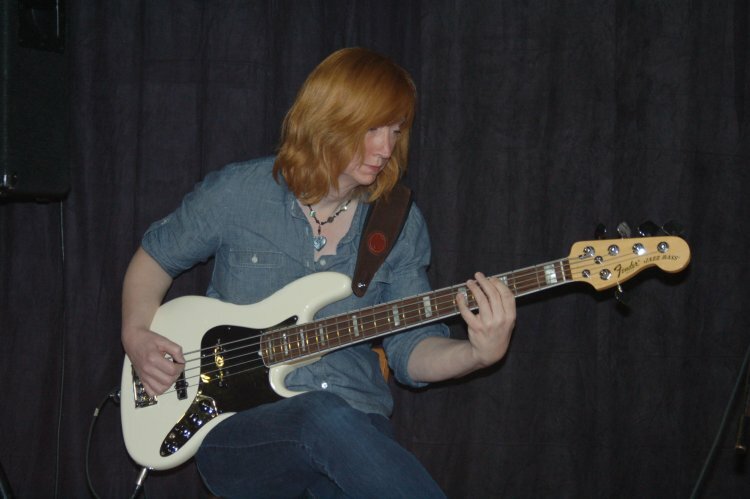 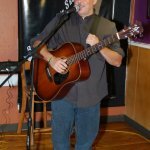 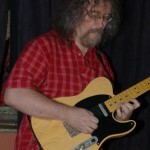 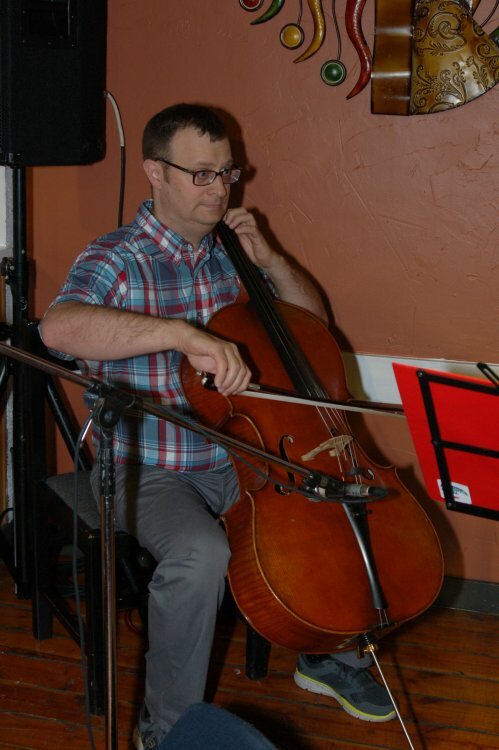 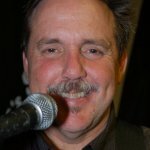 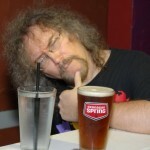 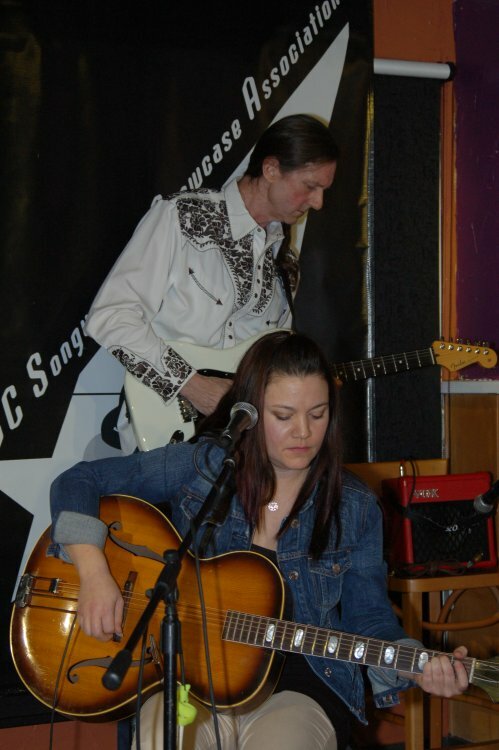 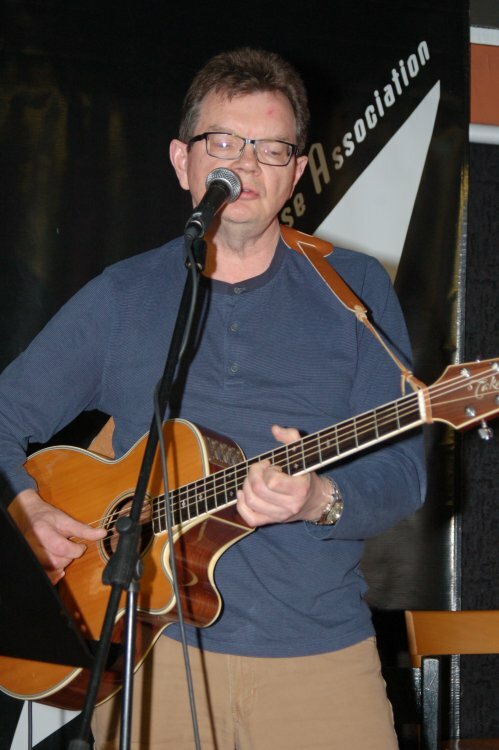 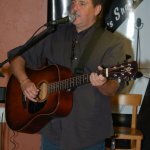 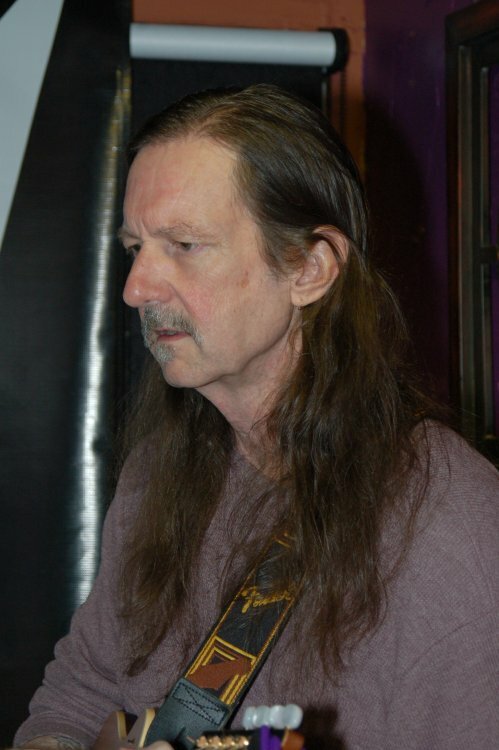 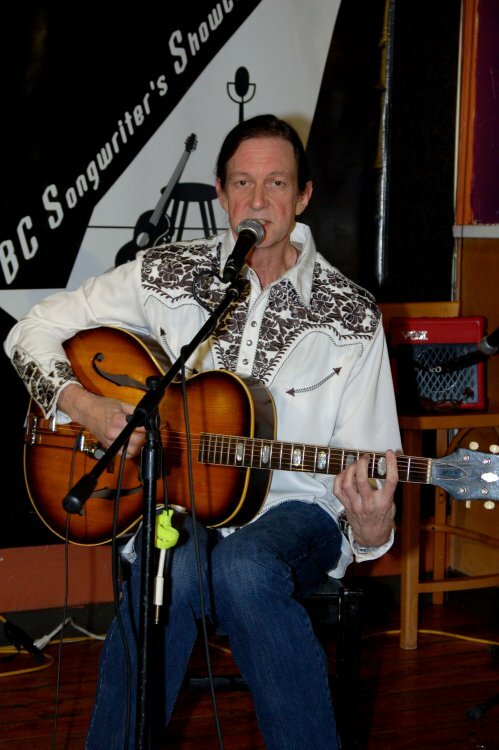 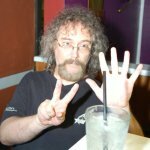 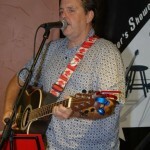 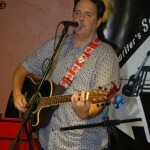 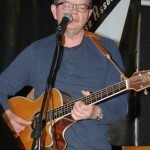 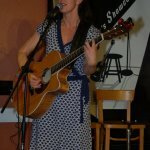 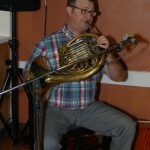 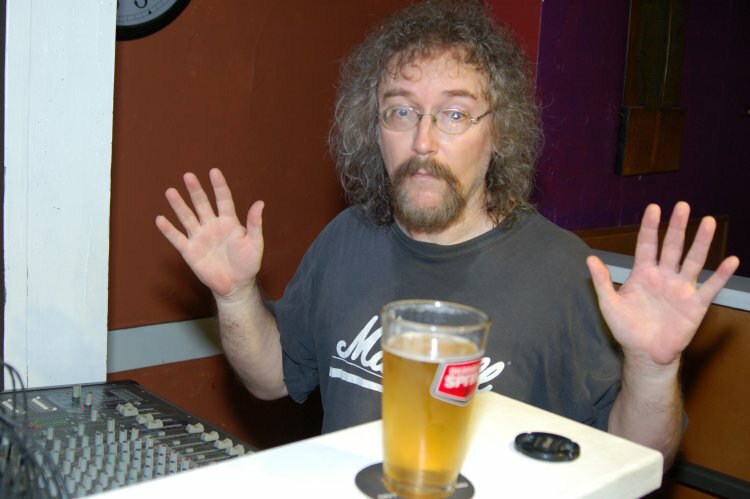 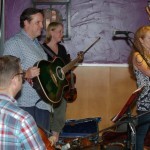 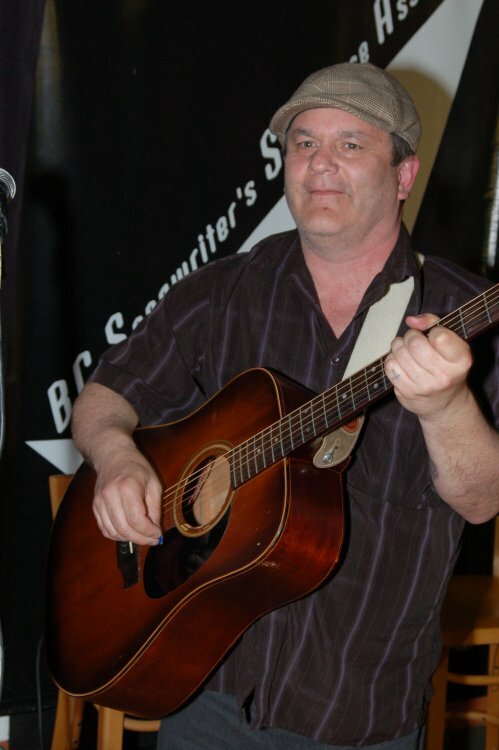 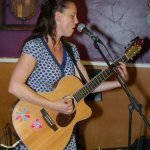 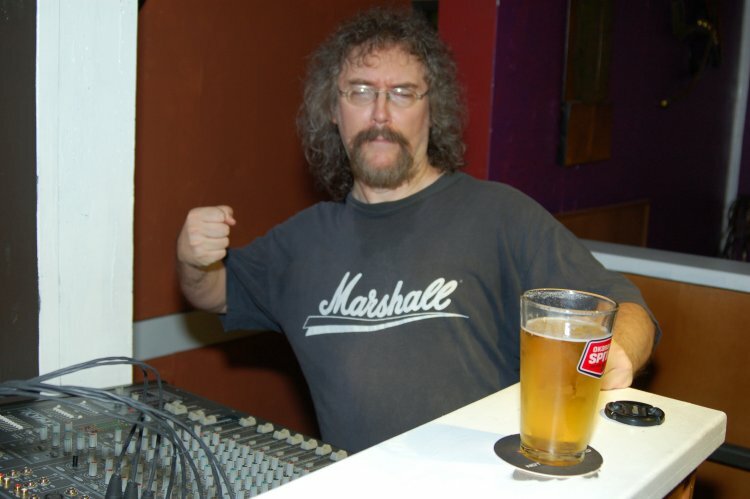 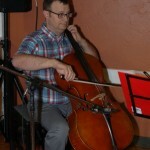 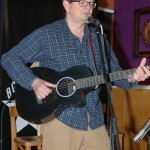 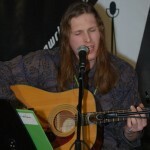 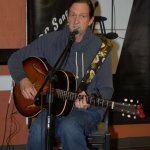 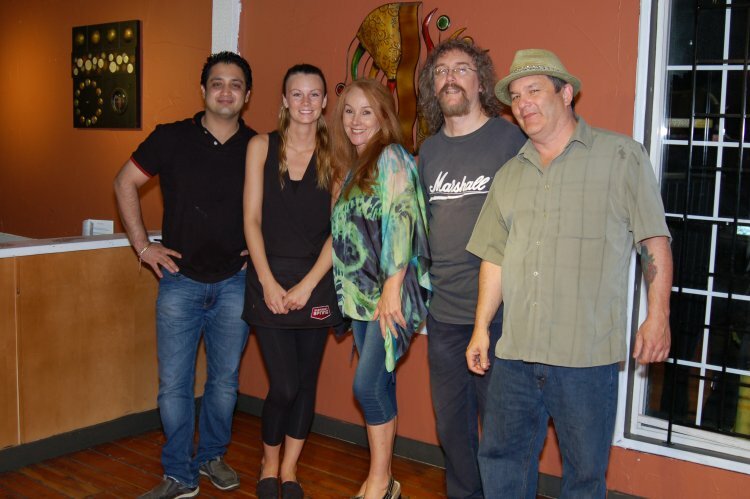 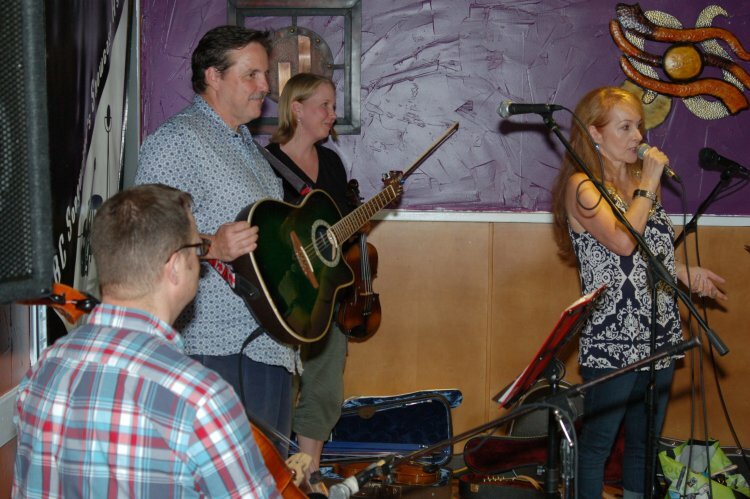 On Wednesday, August 13th, the BCSSA’s Songwriter Showcase at NY Grill & Bistro in Langley, featured Dan Beer, accompanied by Jon & Kat Goheen. 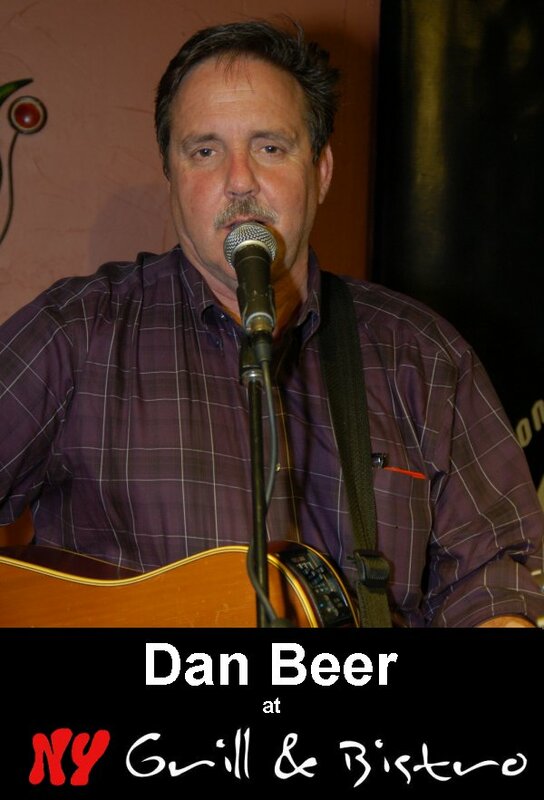 As always when Dan performs, a sing-a-long good time was had by all in attendance! 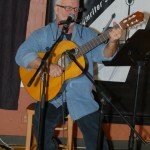 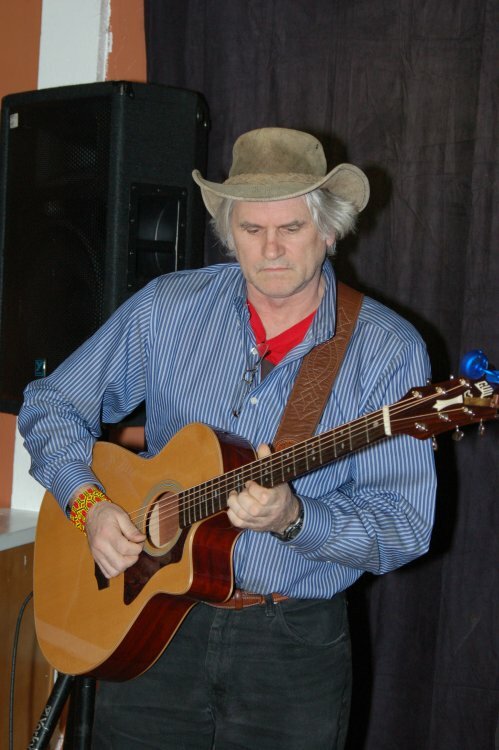 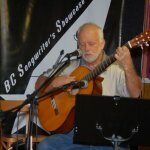 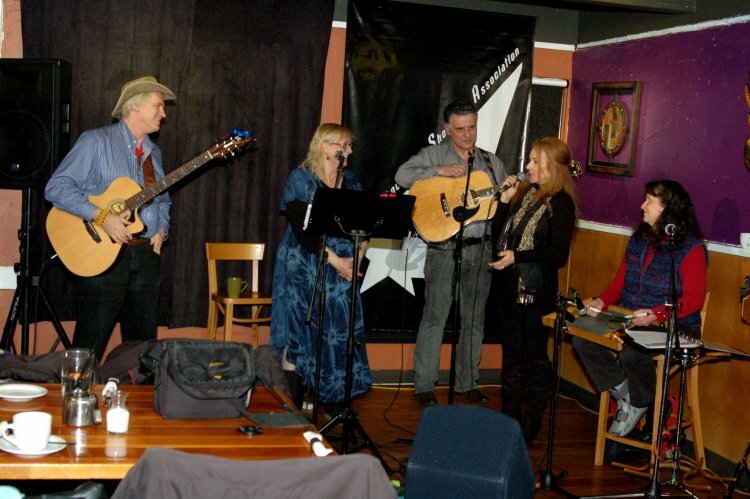 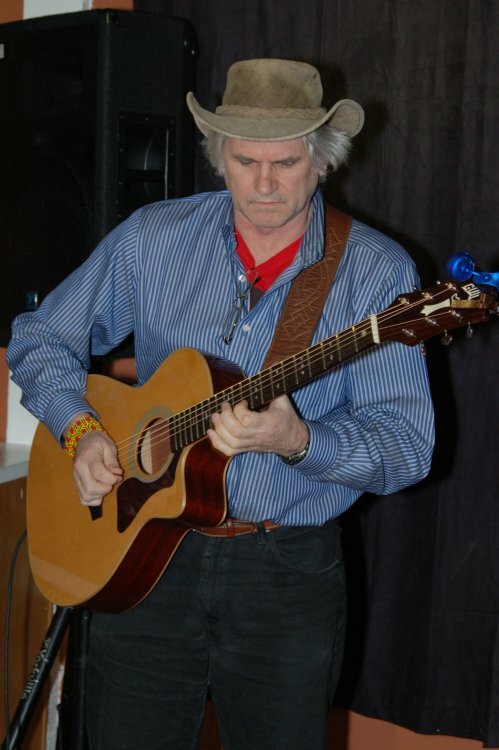 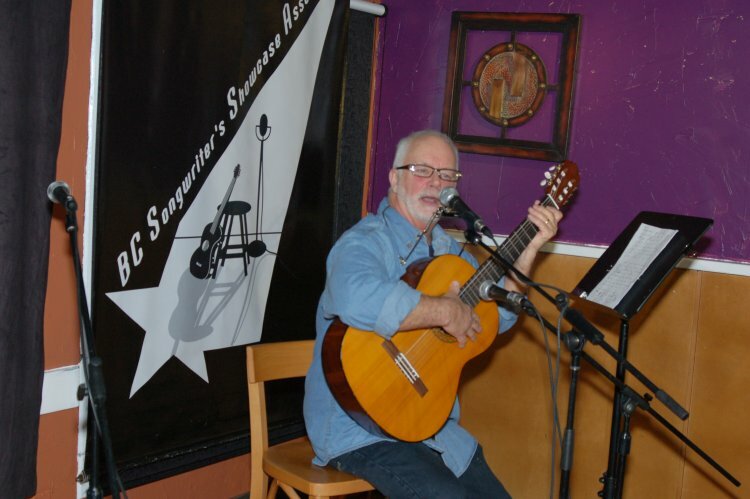 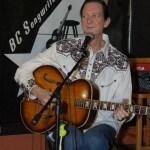 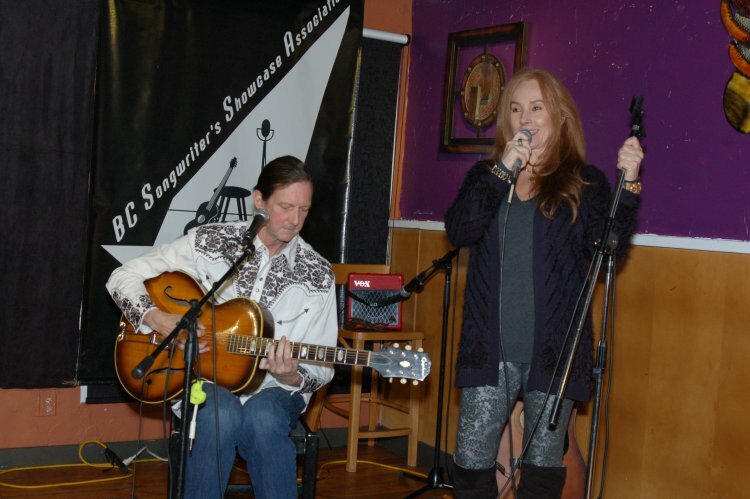 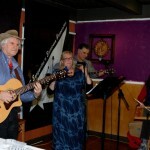 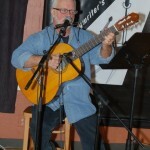 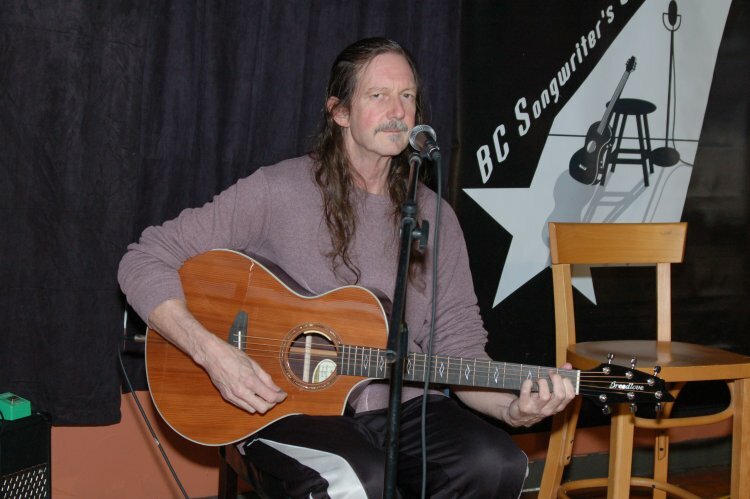 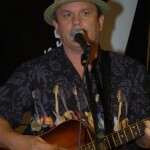 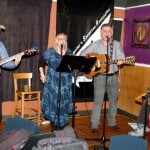 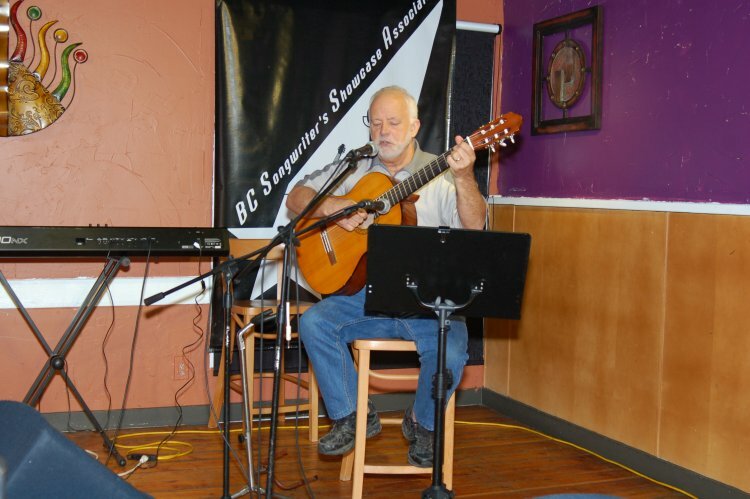 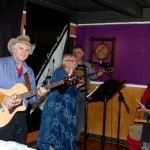 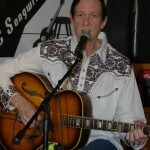 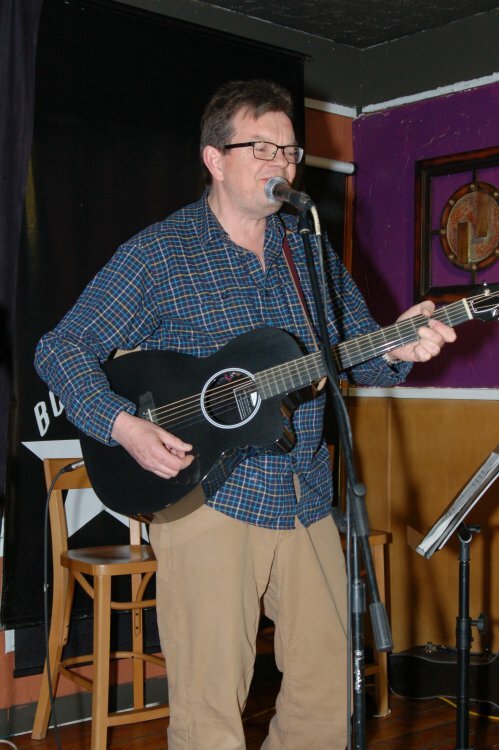 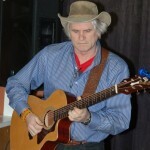 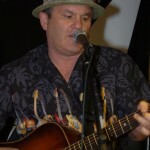 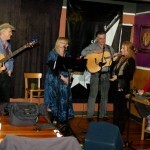 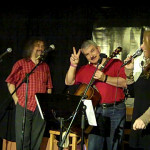 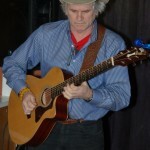 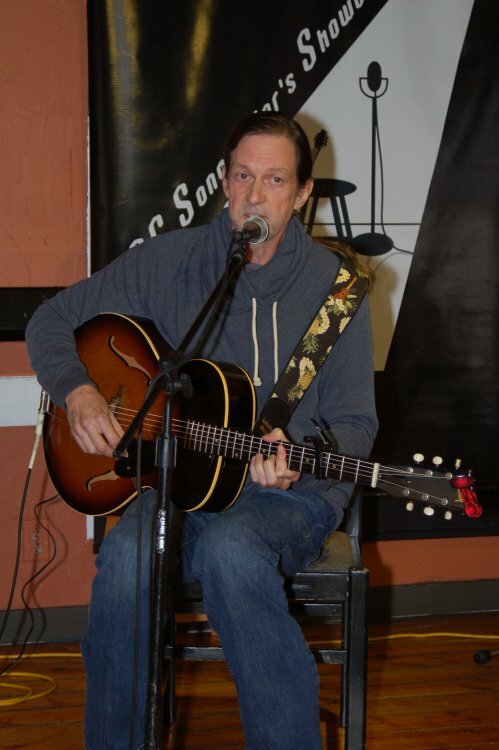 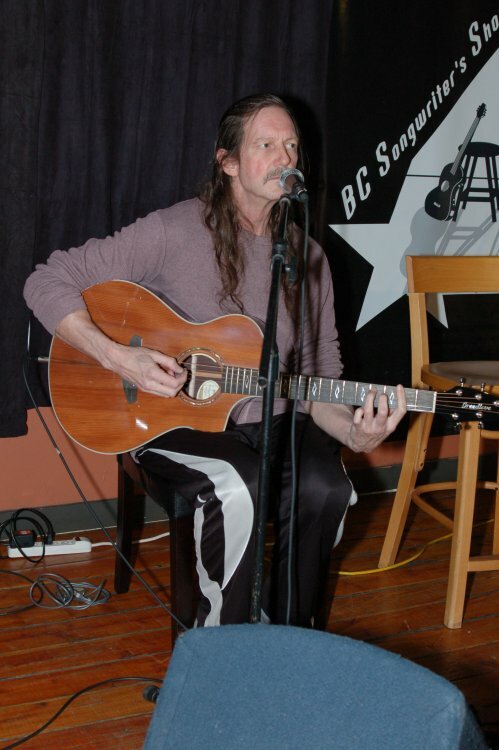 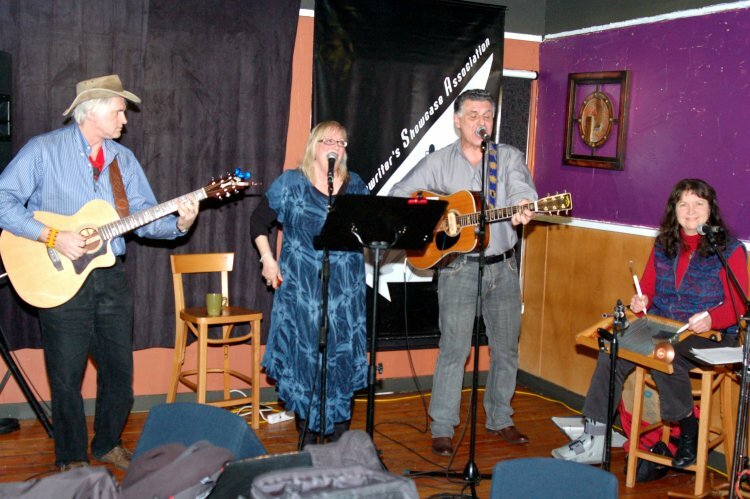 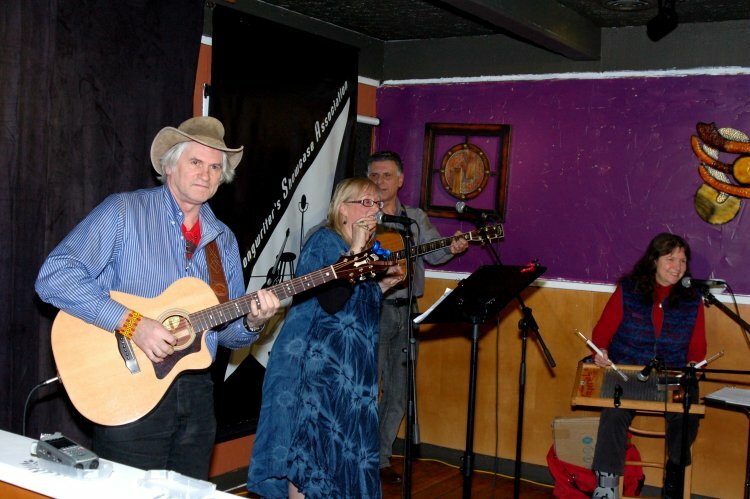 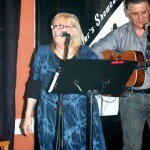 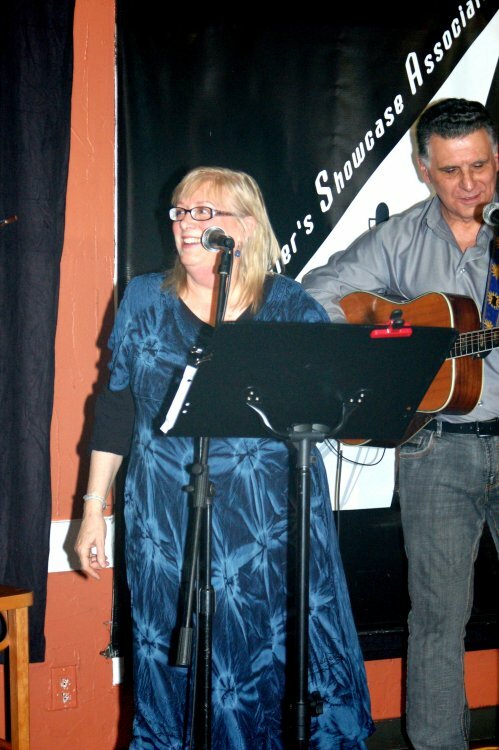 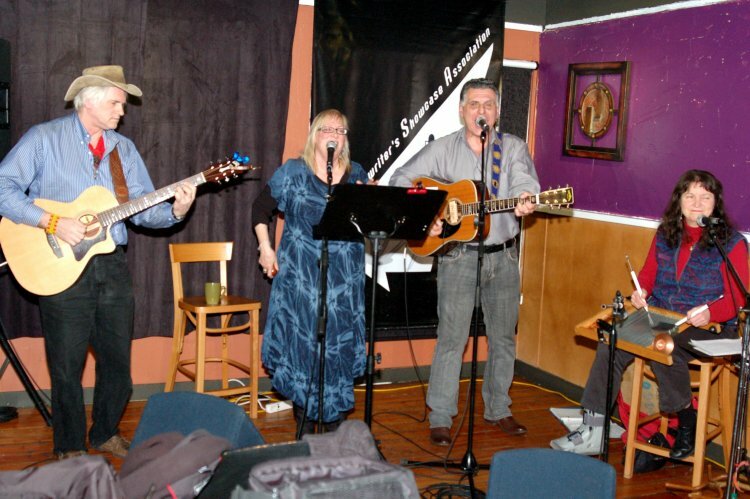 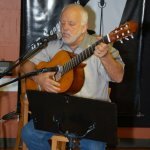 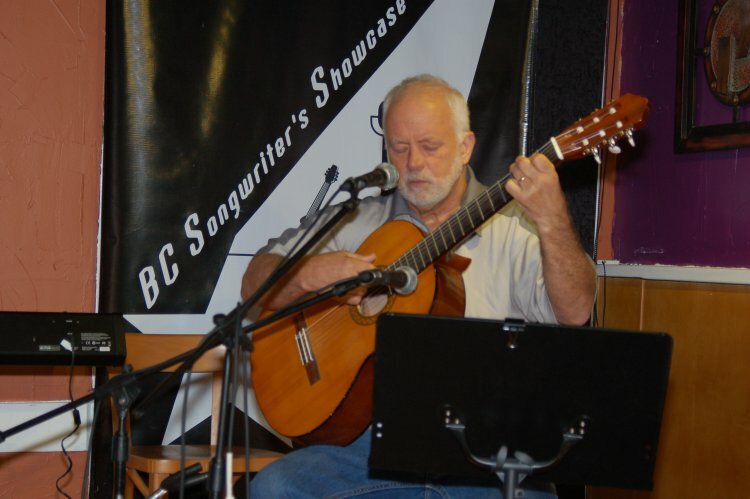 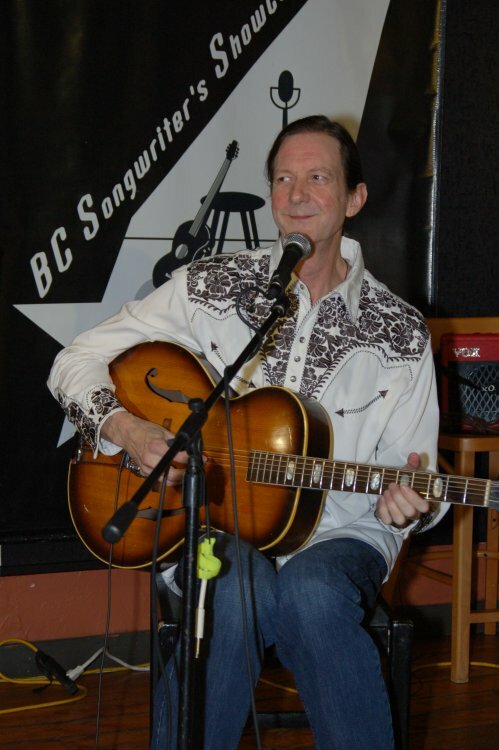 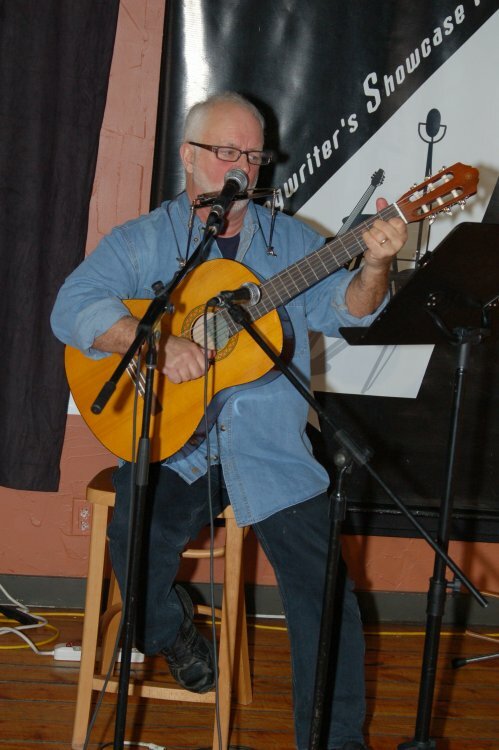 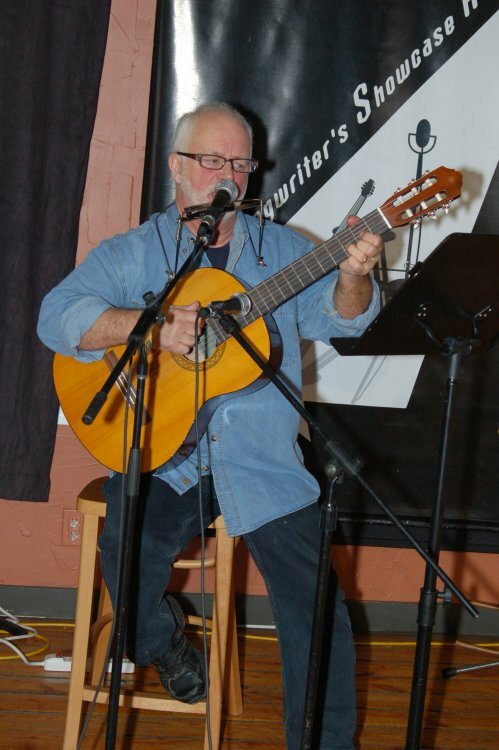 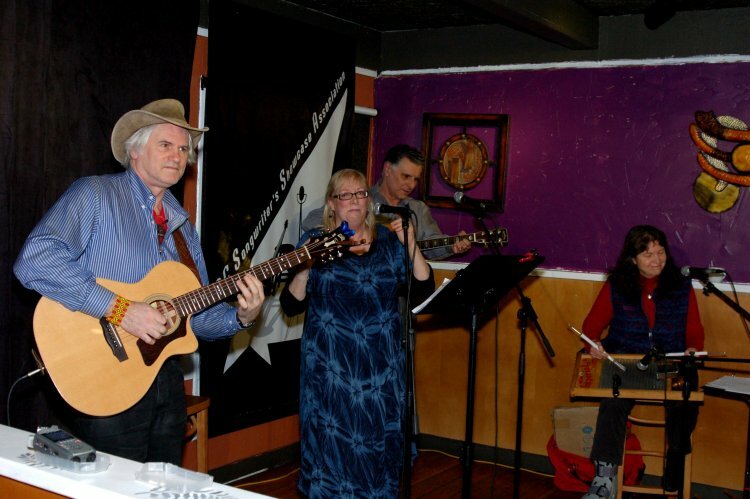 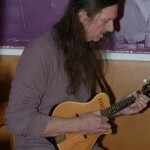 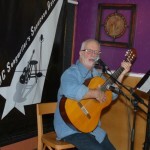 The fun and entertainment continued, as John Haynes, accompanied by Terri Breeze, Mello, Mike Kuwabara and Earl Travis Taylor performed their original songs at the BC Songwriters’ Open Mic. 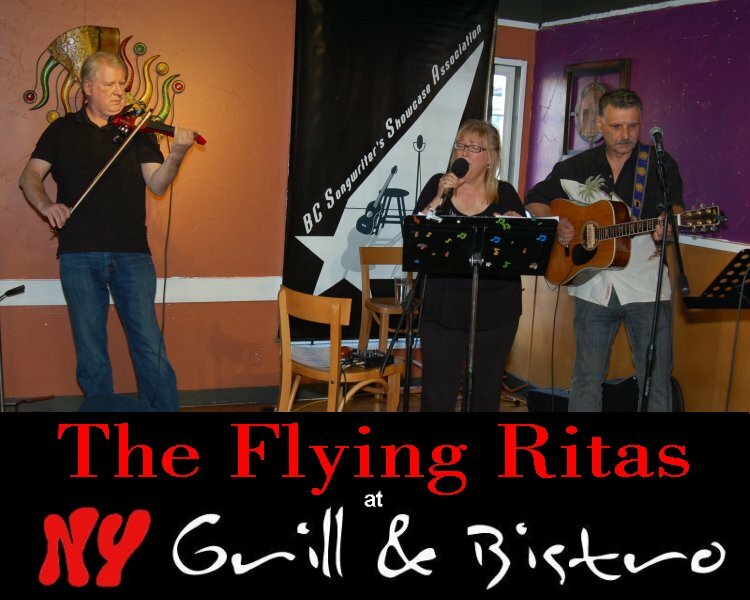 All the while, Mani and Christina from NY Grill & Bistro, made sure that glasses and tummies were full… and a great evening was had by all!